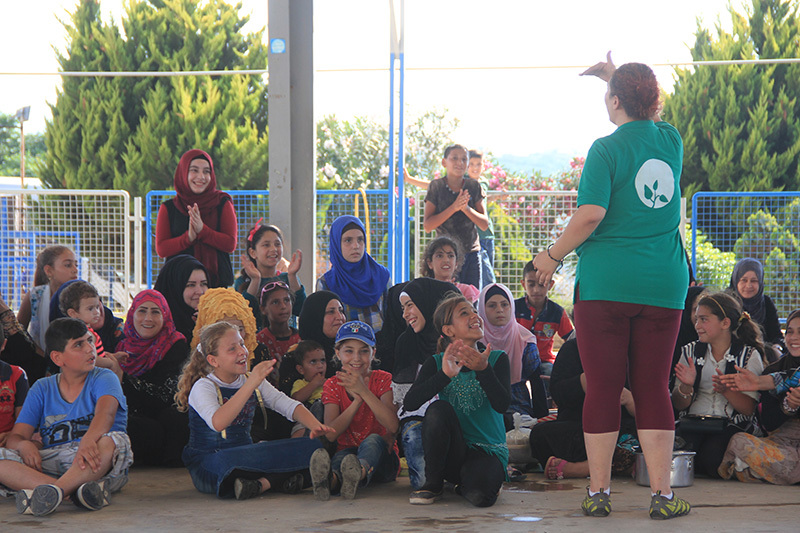 CRCs are the first and most well-known activity of Action for Hope, and they mark the start of our work in a certain community. 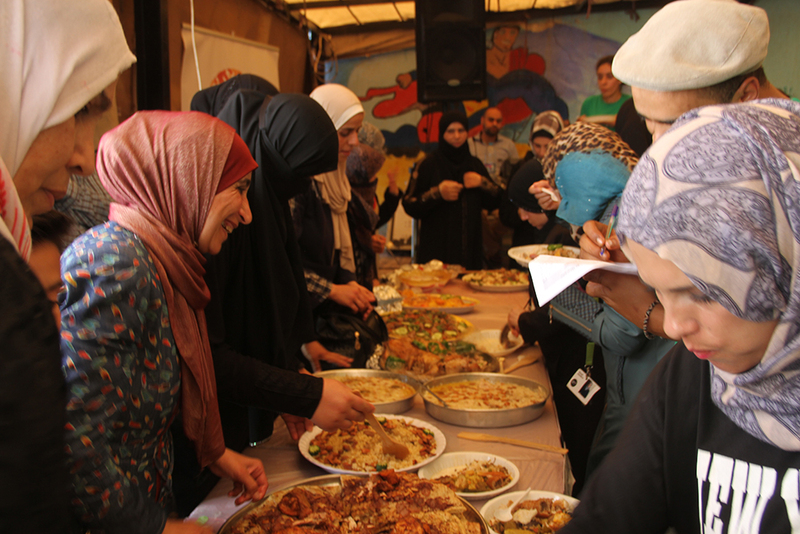 By the end of 2017, we had conducted 8 CRCs, and have thus developed our work methodologies and tools for organizing the convoys to achieve impact on targeted communities and prepare for follow up activities. 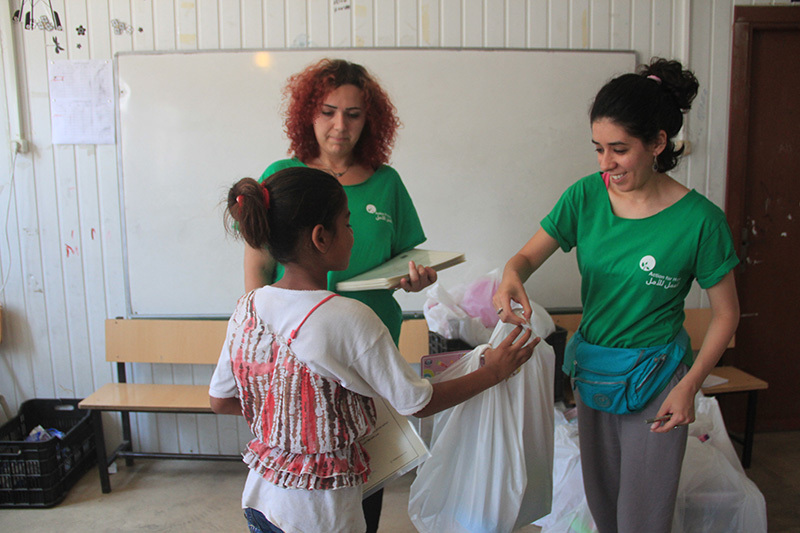 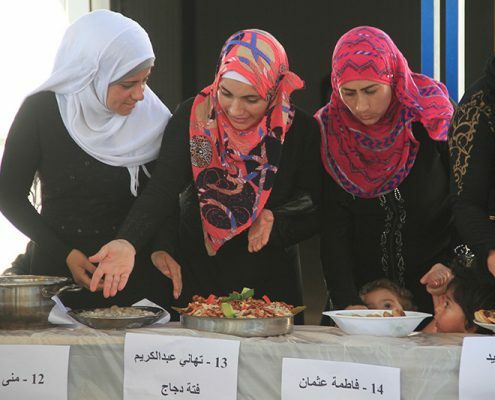 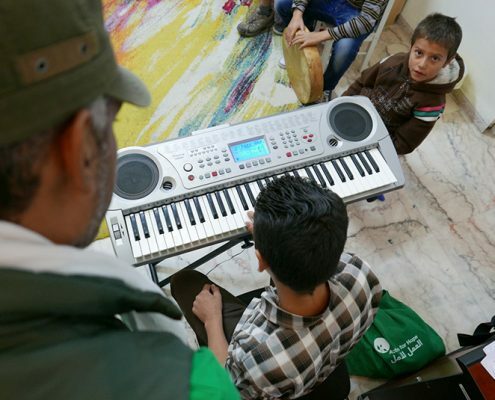 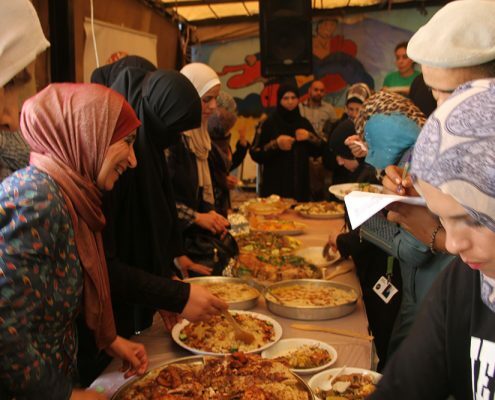 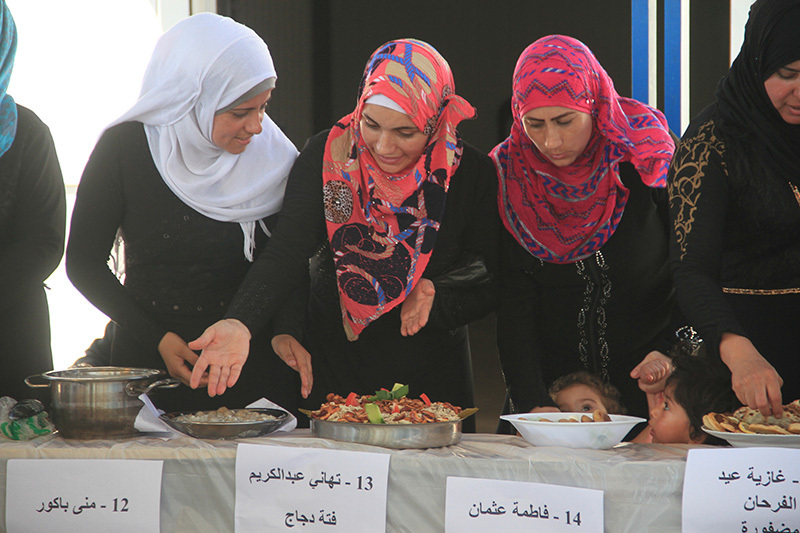 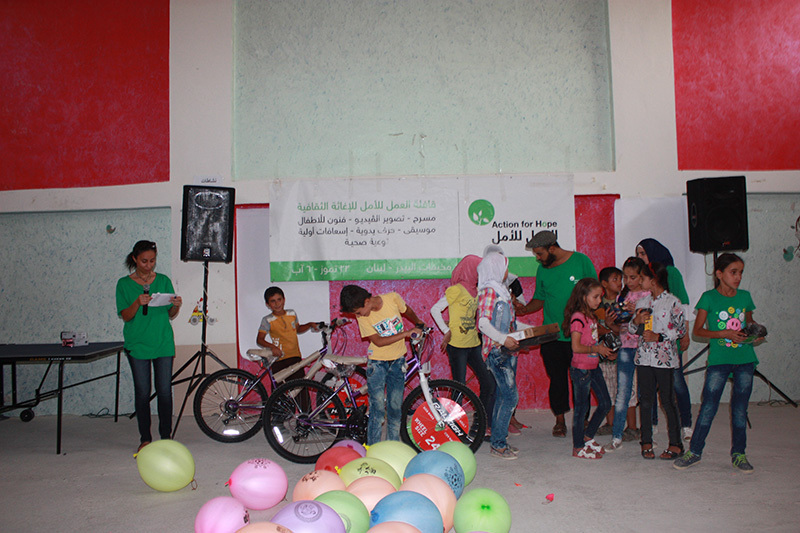 The main activity in all convoys is arts training, but we also respond to the other needs of the community such as medical services and sometimes food. 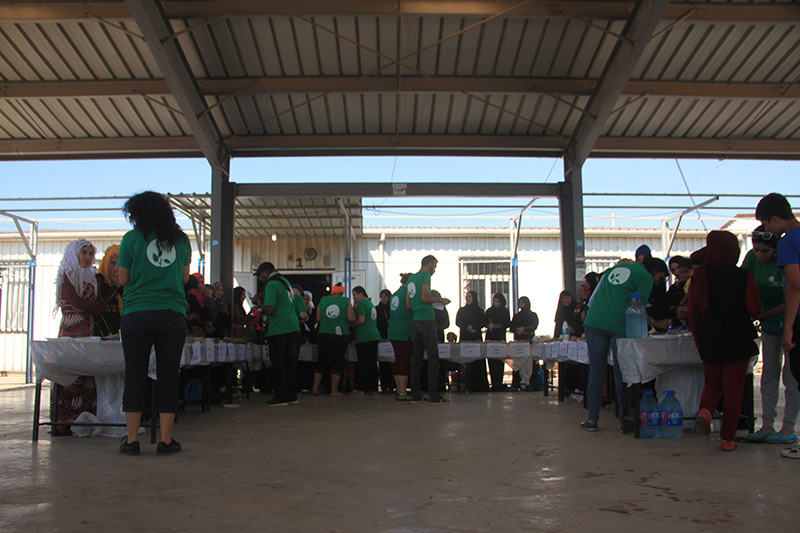 Each convoy is preceded by a short introductory workshop for participating volunteers, and is followed by an assessment of activities and future plans. 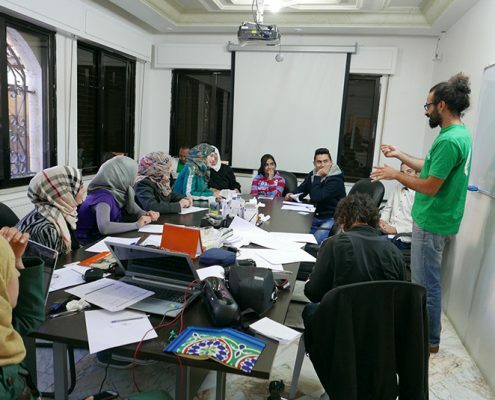 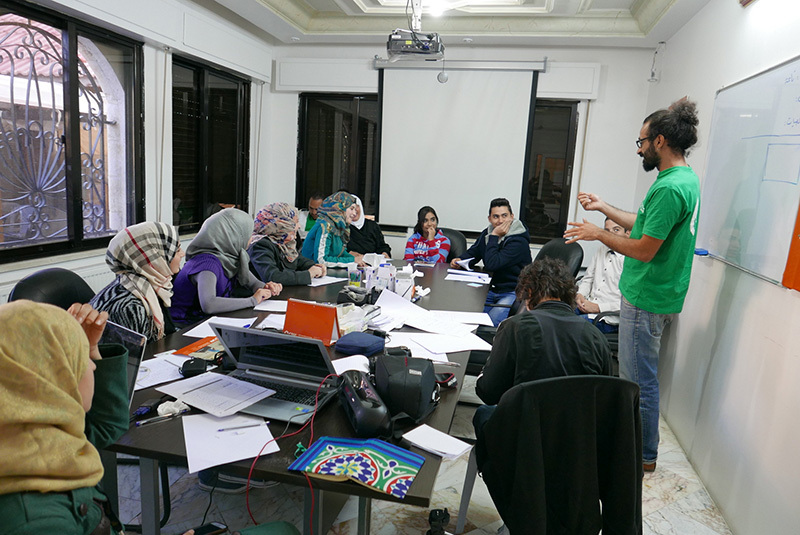 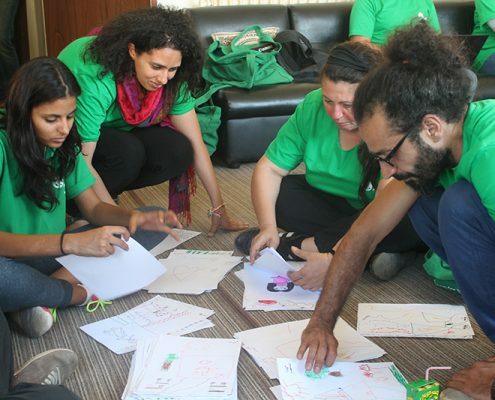 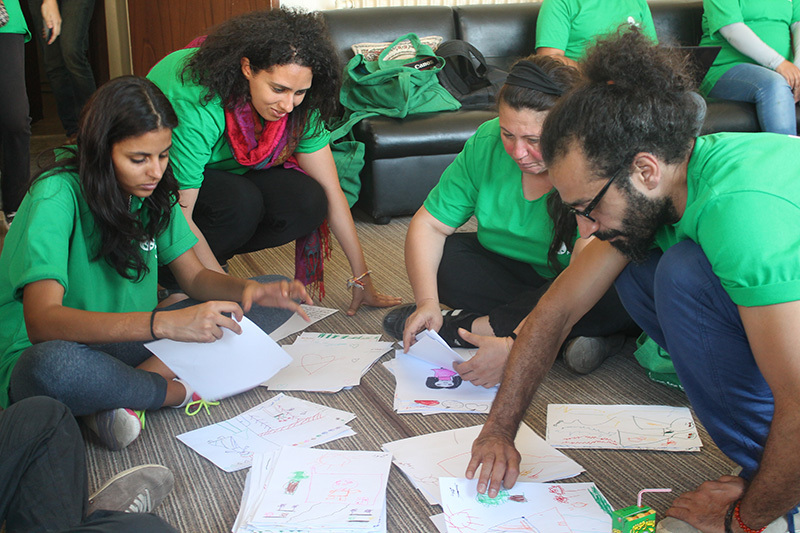 An Egyptian theater director and cultural activist, who also works as a trainer in advocacy, youth leadership and creative activism in ActionAid, MENA Office, Jordan. 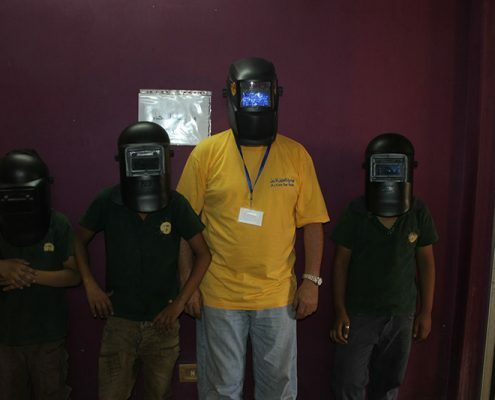 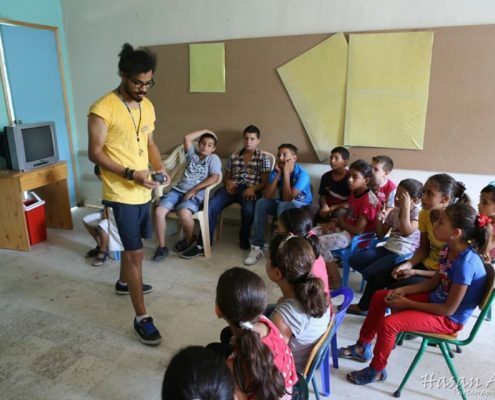 Abdelsamee has experience in art and development and has contributed effectively to several projects with local, regional, and international organization . 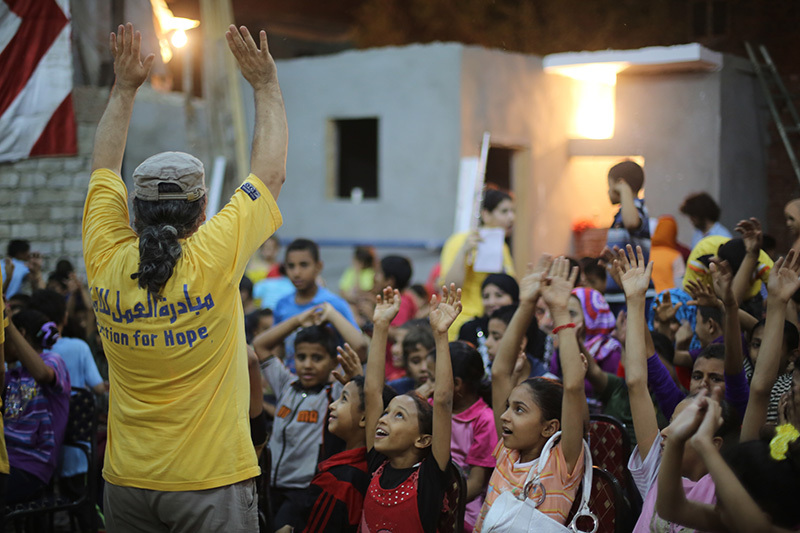 He studied theater, and has led, wrote, and acted in several plays. 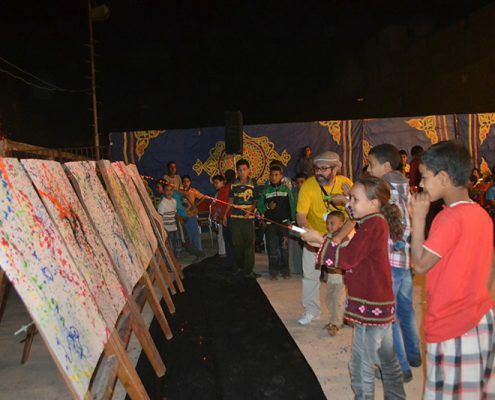 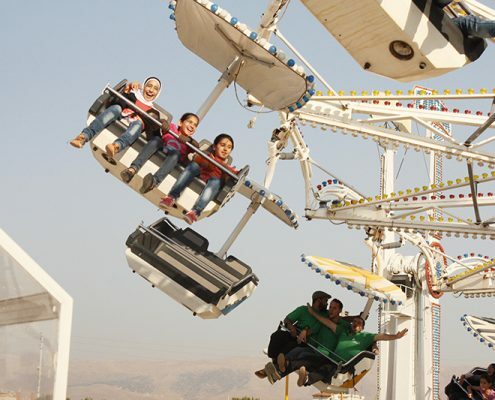 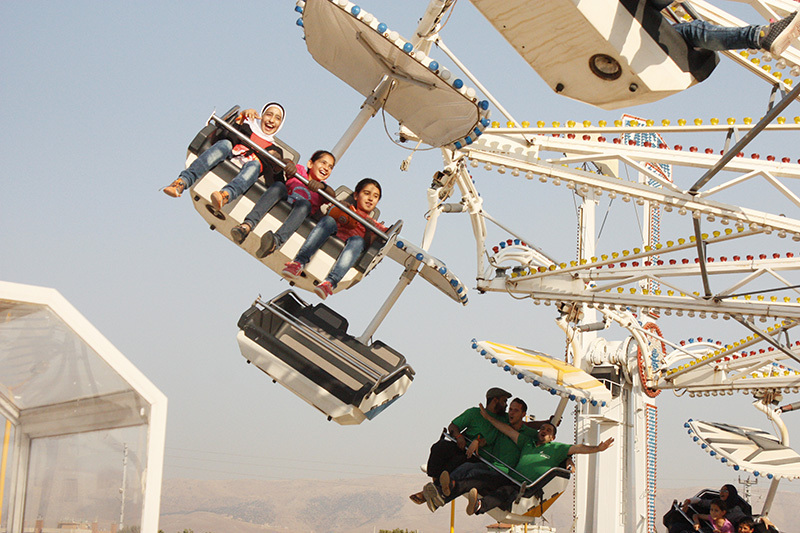 Abdelsamee founded In 2008, “Bahhara” for Arts as an independent group for art and development. 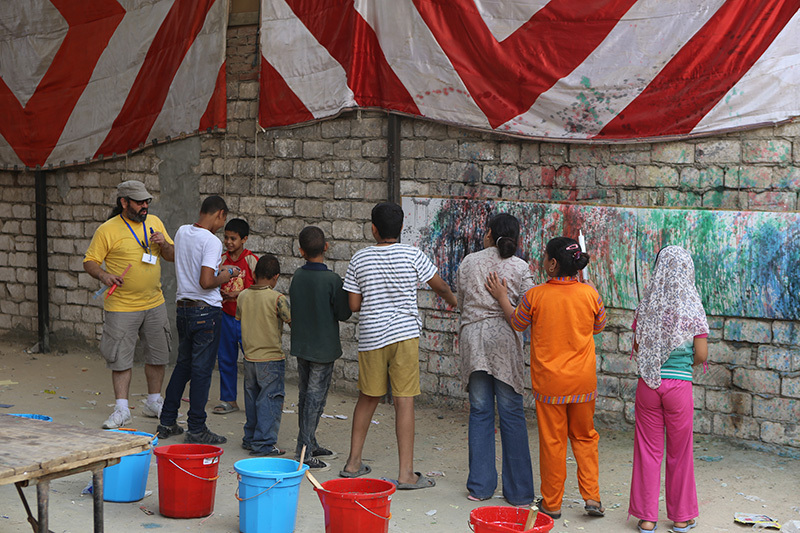 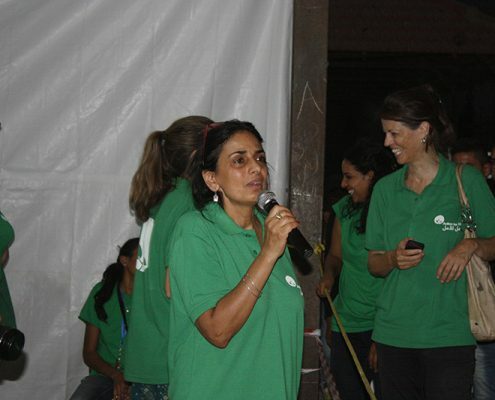 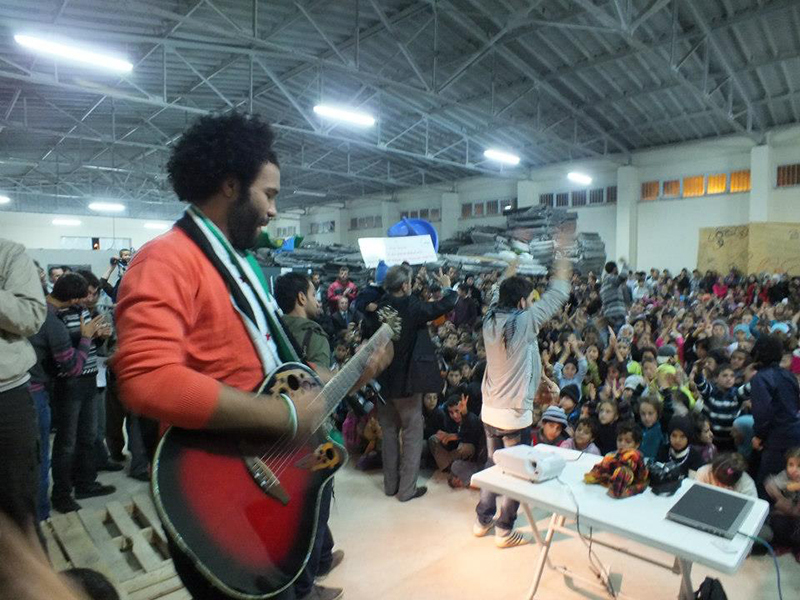 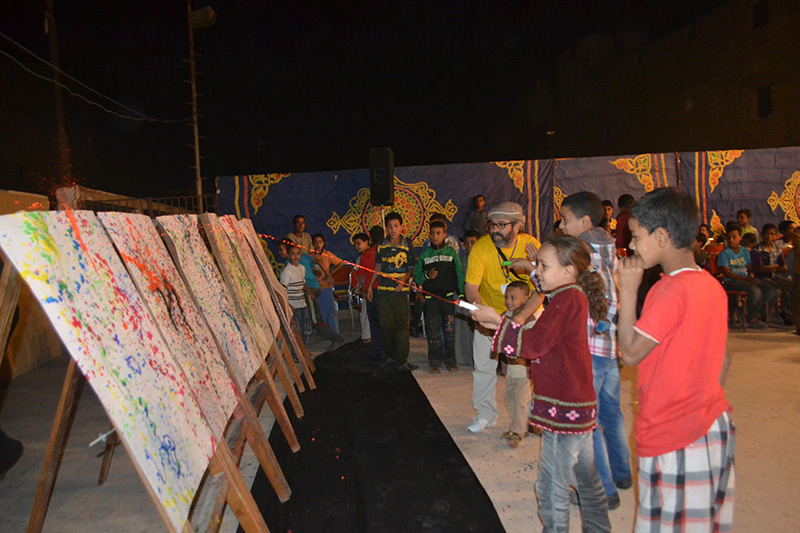 Under his leadership, the group implemented several projects that connect art and social development. 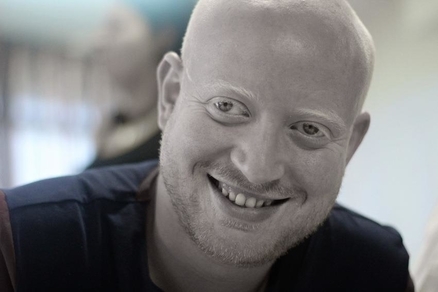 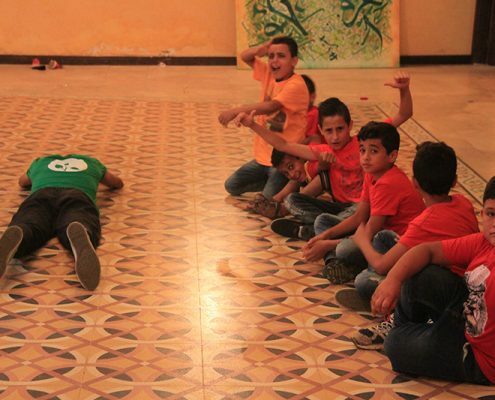 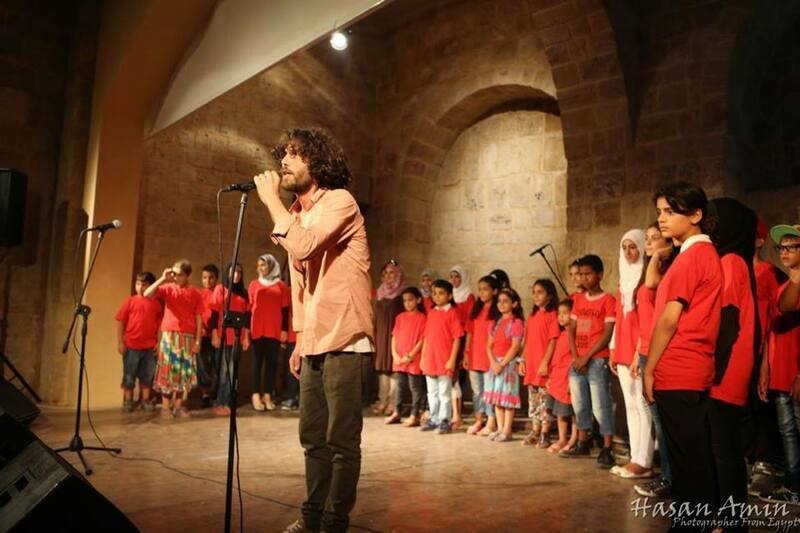 In addition to that, He co-founded “Atabet Fann for Arts, Media and Training” in Palestine in 2013. 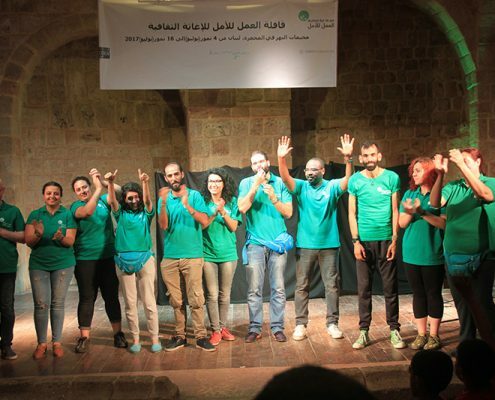 He is a member in many regional and international cultural networks such as Cultural Innovators Network (CIN) founded by the Goethe Institute. 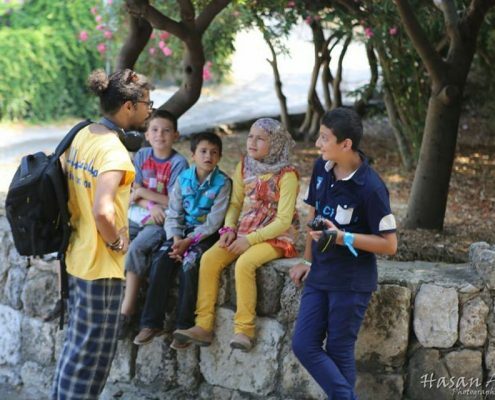 Abdelsamee took part in Akkar convoy. 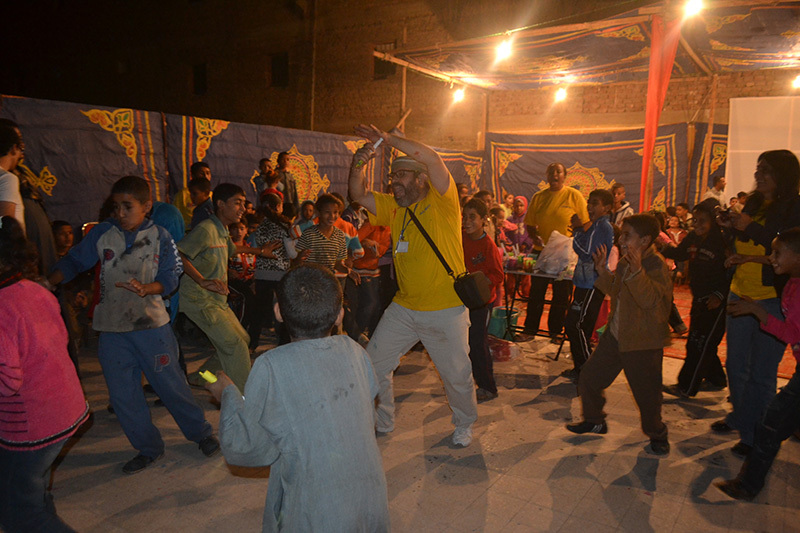 A Tunisian artist who started working in the cultural field in 2002 as an actor in the amateur theater. 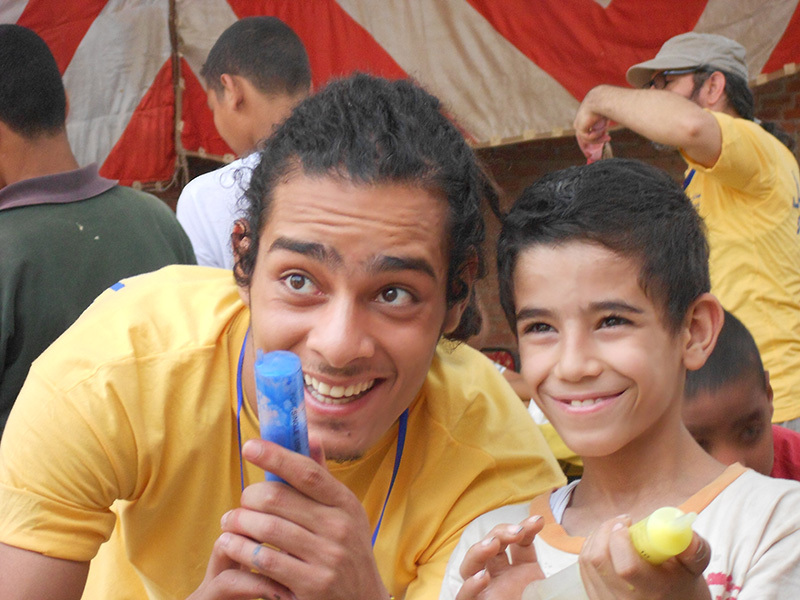 His first professional experience was in 2006. 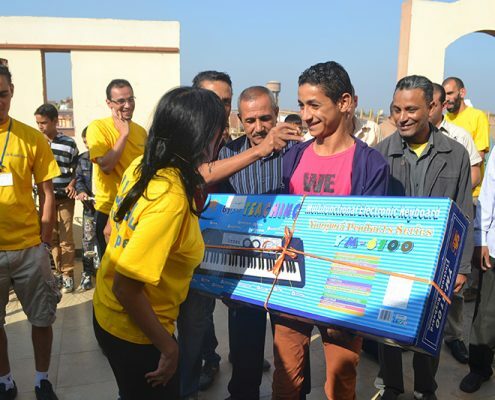 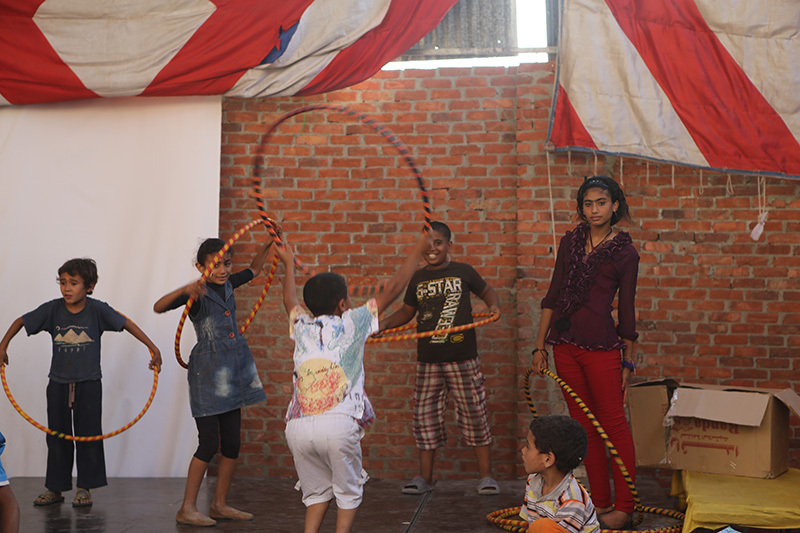 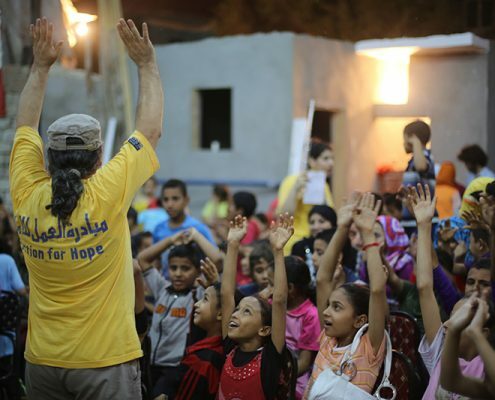 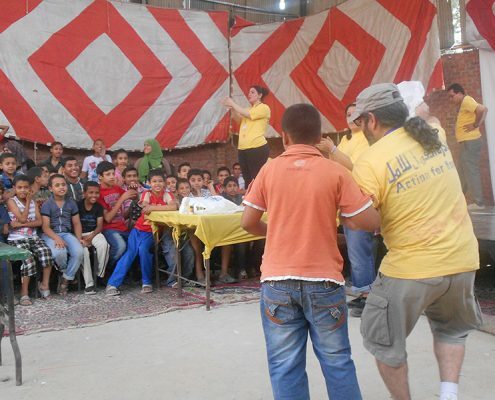 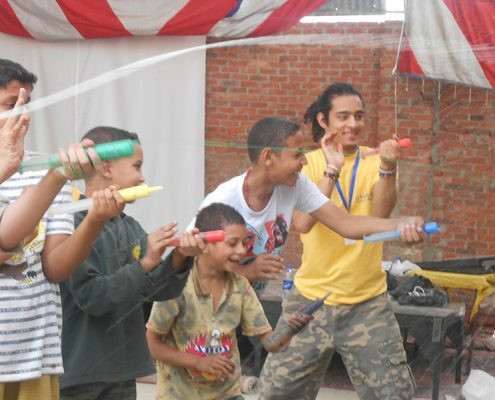 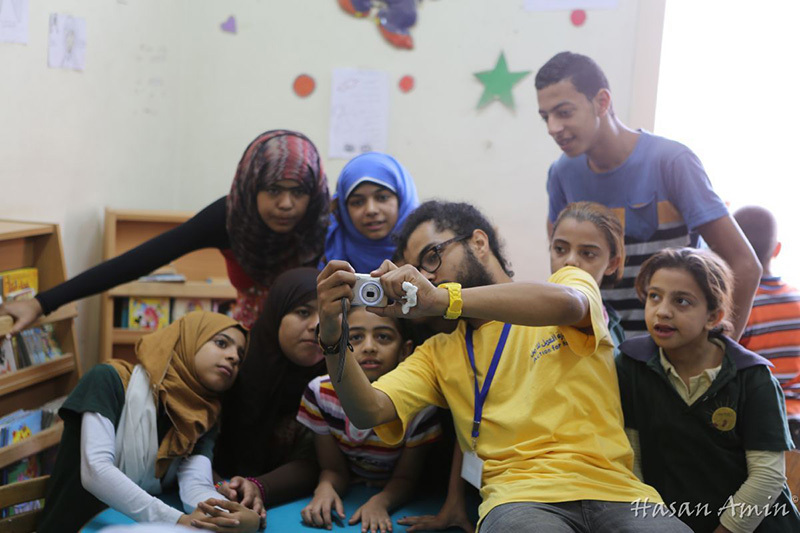 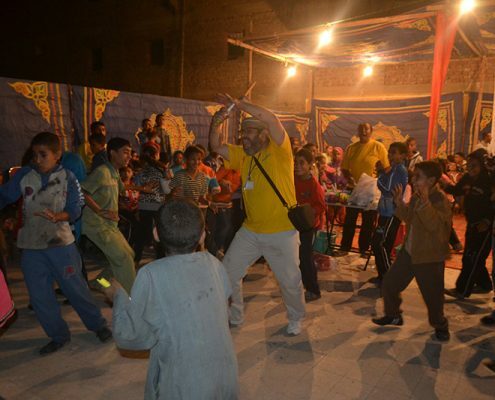 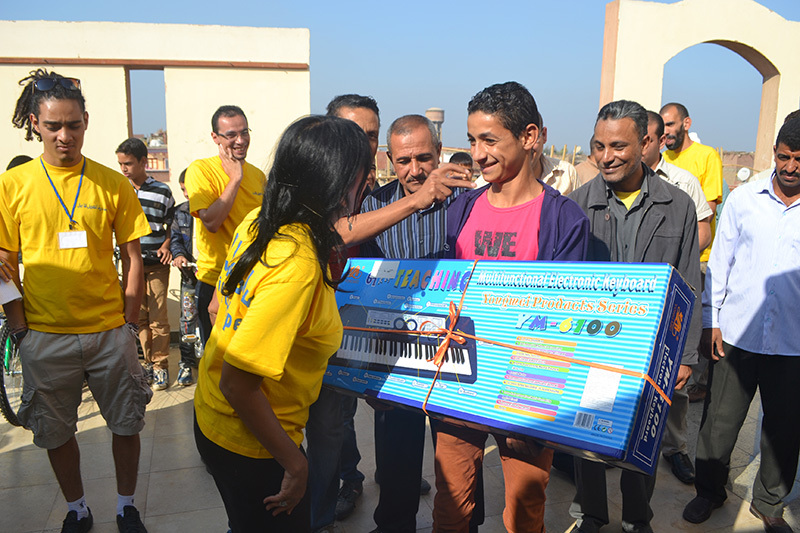 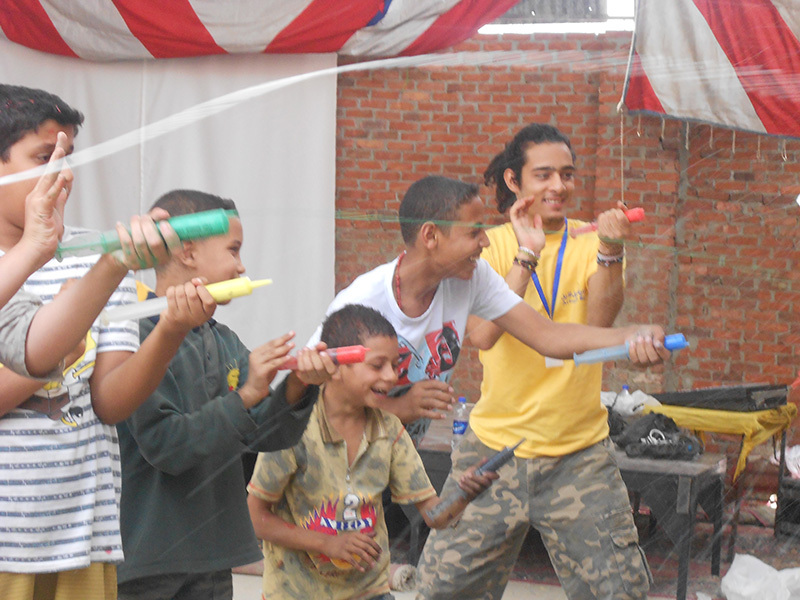 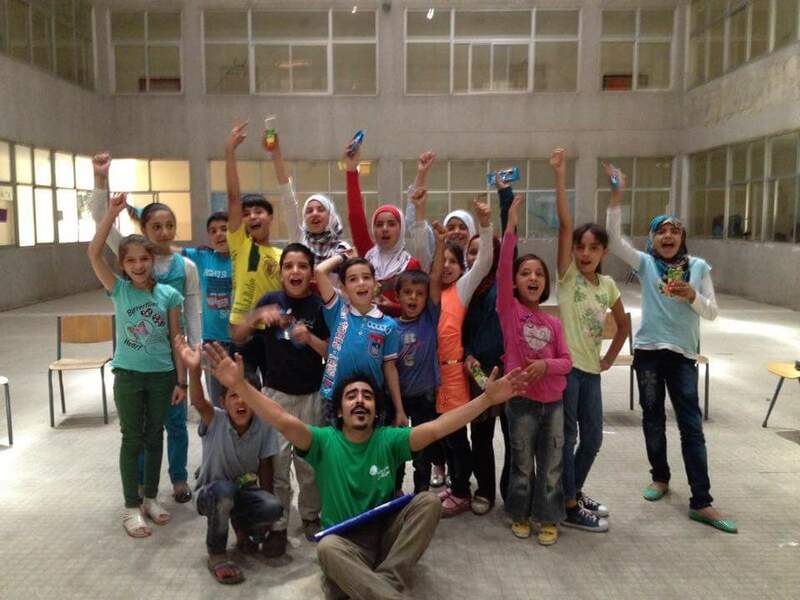 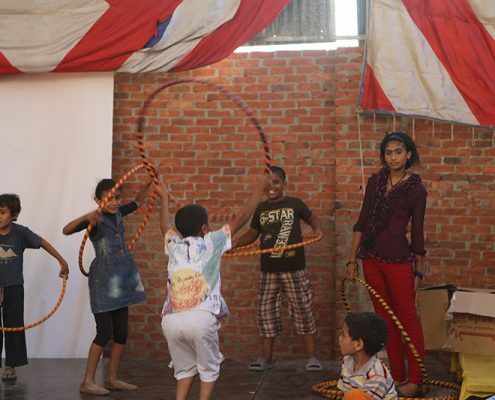 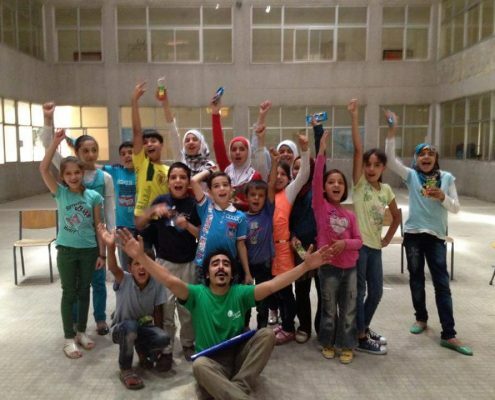 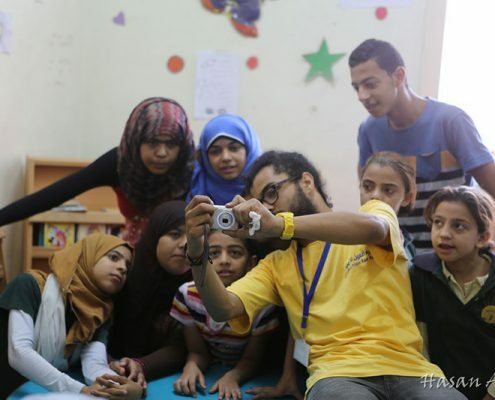 Atef participated in many training courses in the arts and human rights, and worked with children as a theater trainer and director. 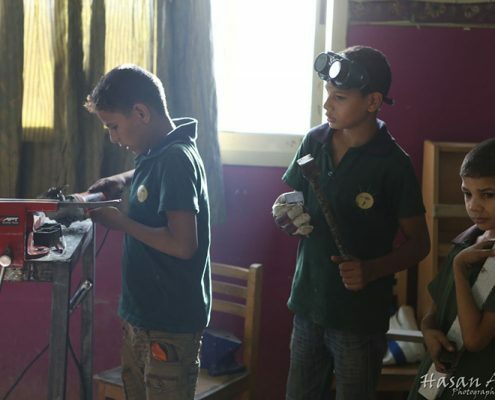 Atef took part in Baidar Camps convoy in Lebanon and the two Jordan convoys. 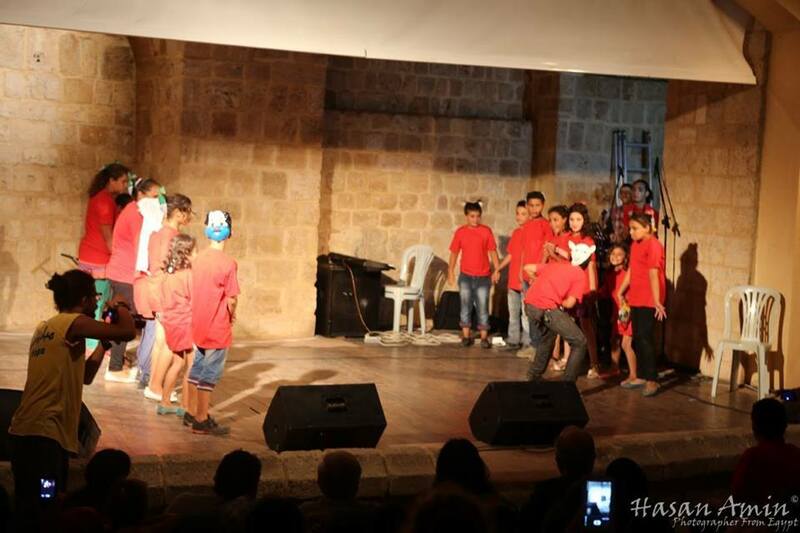 Since her graduation from the Higher Institute of Dramatic Arts in Damascus, Fairouze Nastass has been active in the Palestinian artistic and cultural scene in particular and in the Arab world in general. 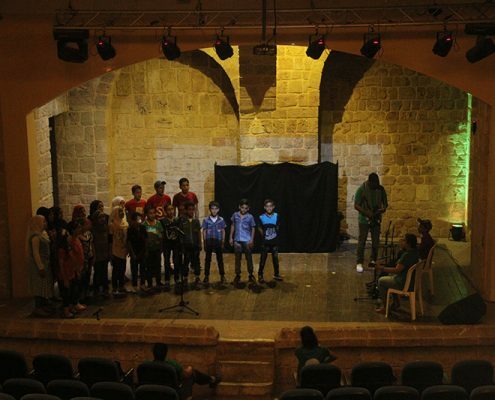 She has worked as a scenography designer for several local companies such as Alharah Theater, Alkassaba theater, Sareyyet Rammalah dance group,The Palestinian Circus School and others. 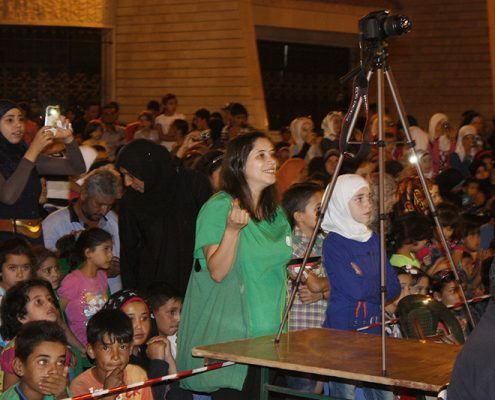 On the regional level, she collaborated with Masrah Al Madyna Al Saghira in Morocco and with the Syrian director Wael Qaddour in the play Faraway. 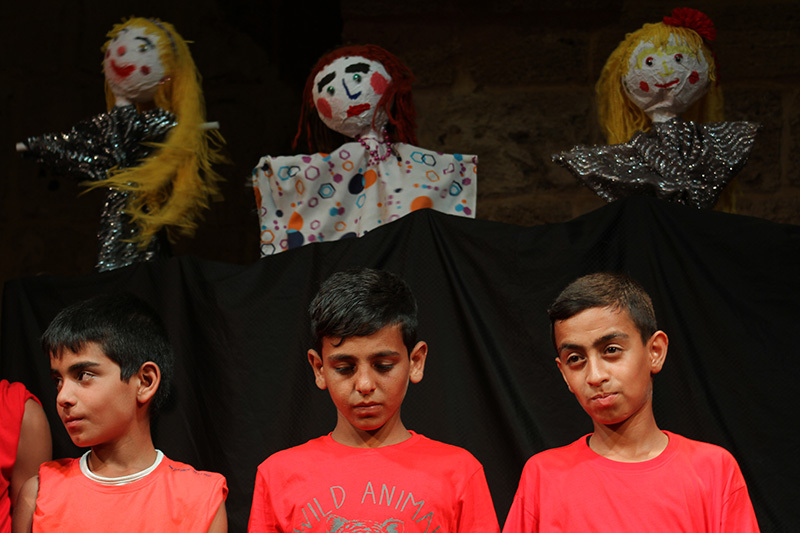 Fairouz fell in love with the puppet world and joined several international workshops in her quest to develop her art and talent. 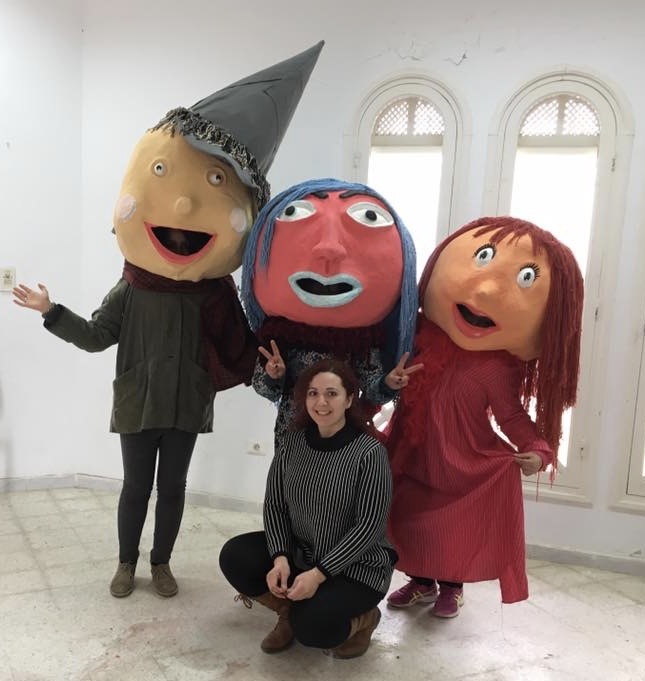 She completed several intensive training courses in the puppet industry, with a focus on giant puppets, with Les Grandes Personnes, France, and string and table puppets in the Czech Republic and Slovenia. 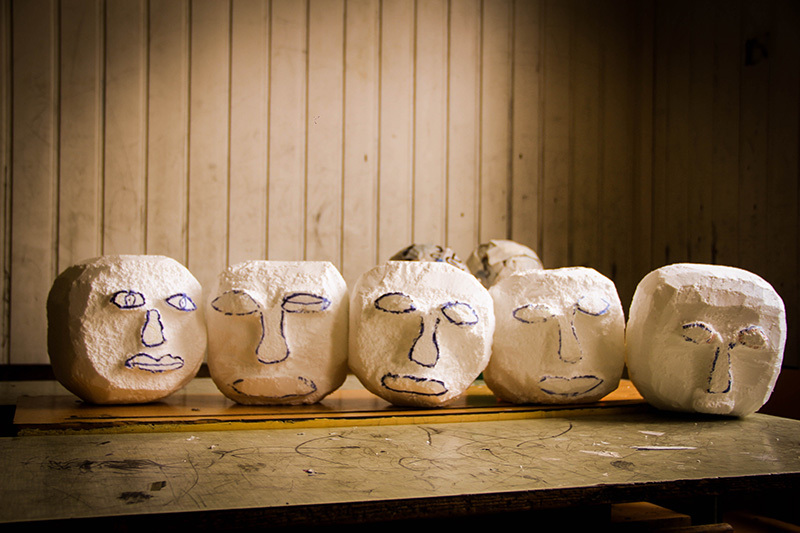 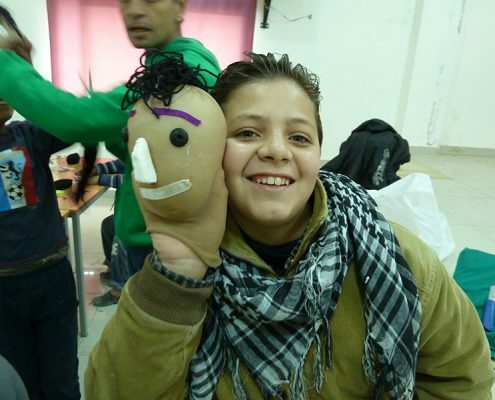 She held several workshops in puppetry and masks in Palestine, Tunisia and the United Arab Emirates. 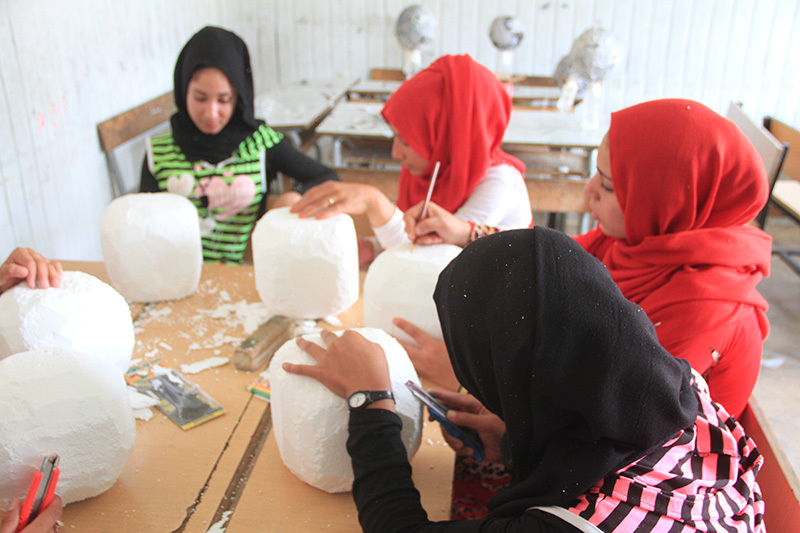 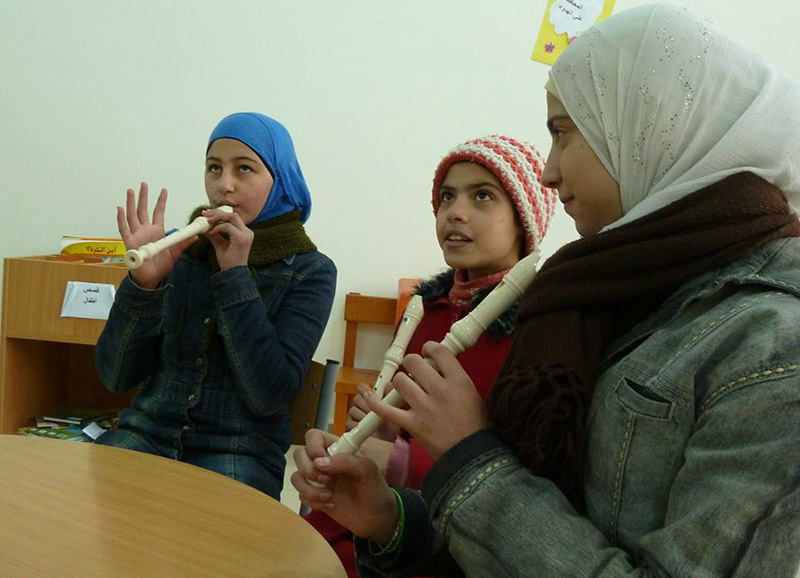 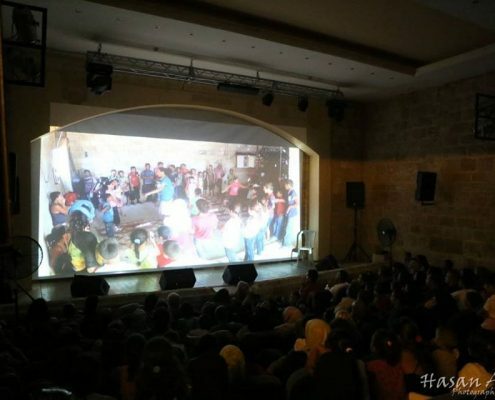 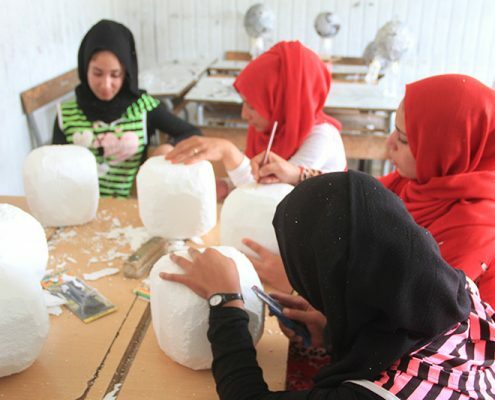 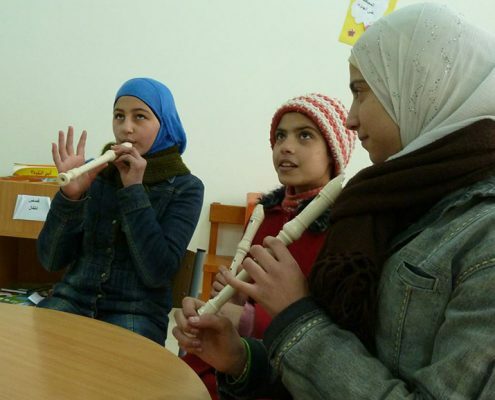 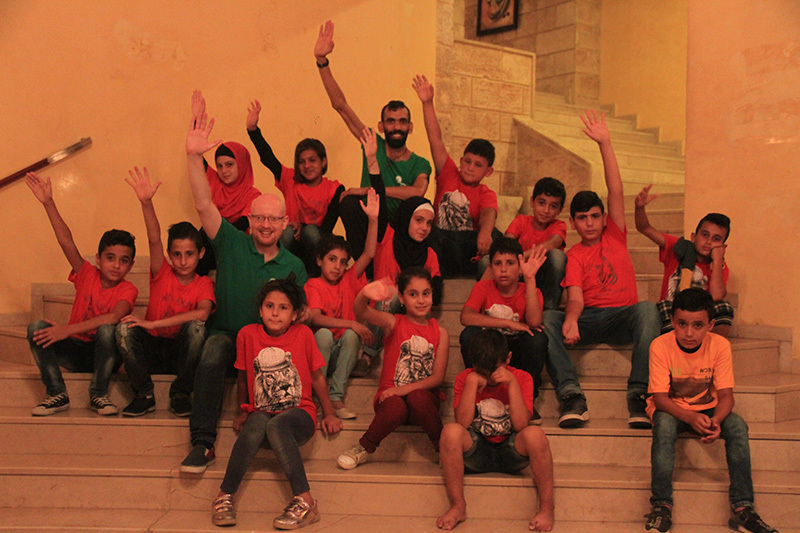 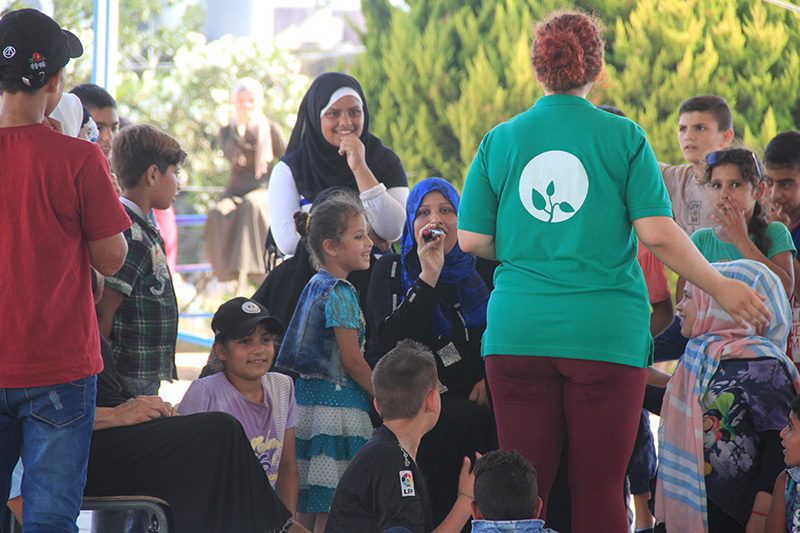 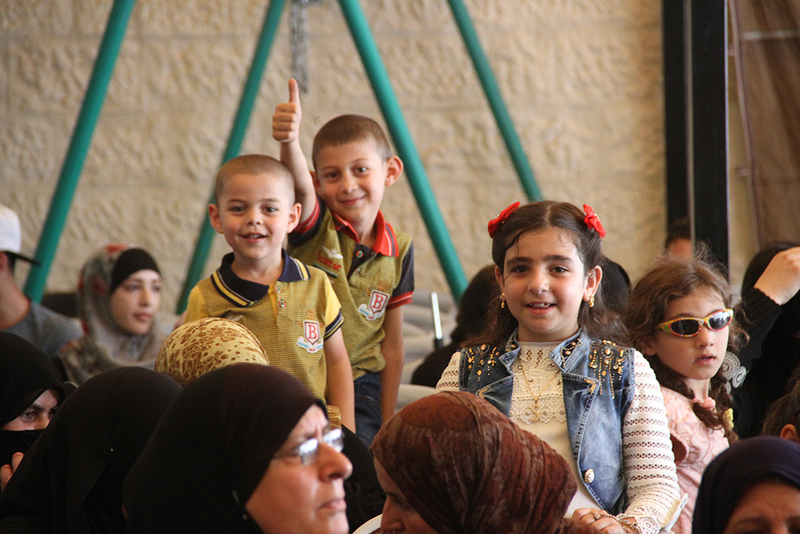 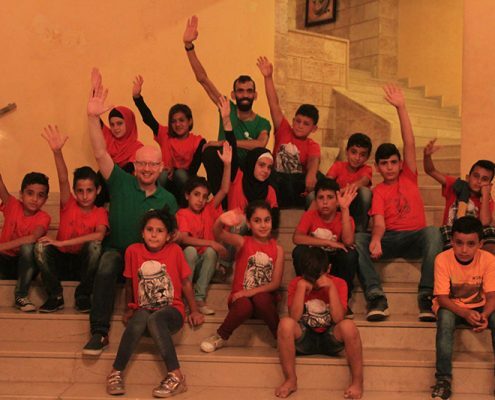 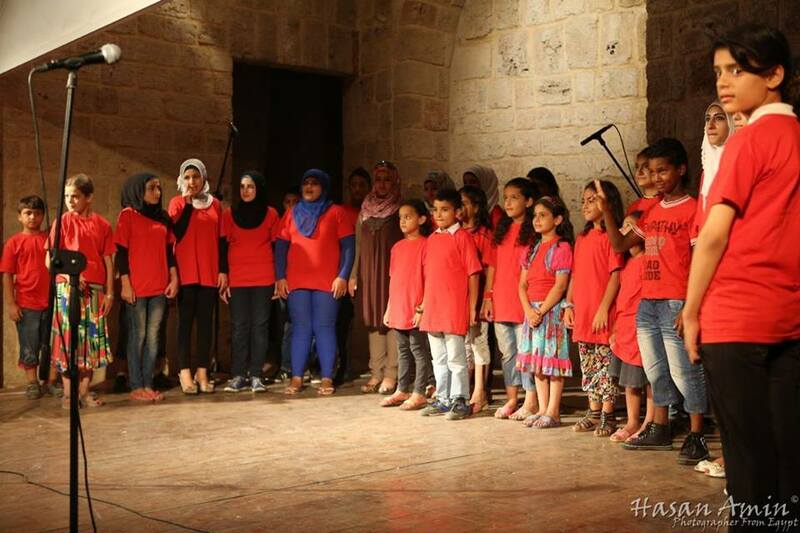 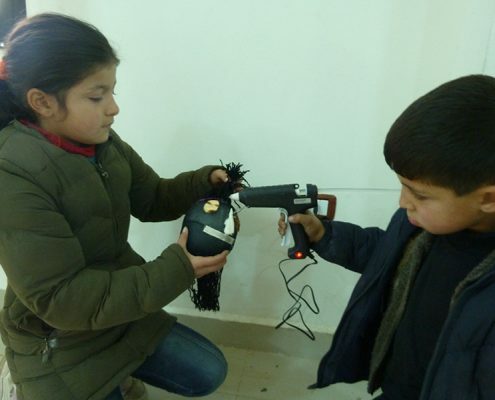 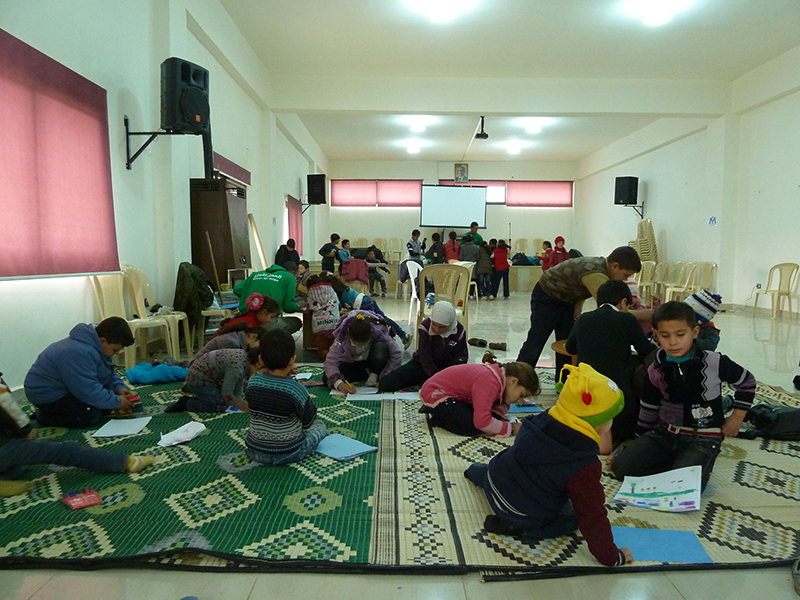 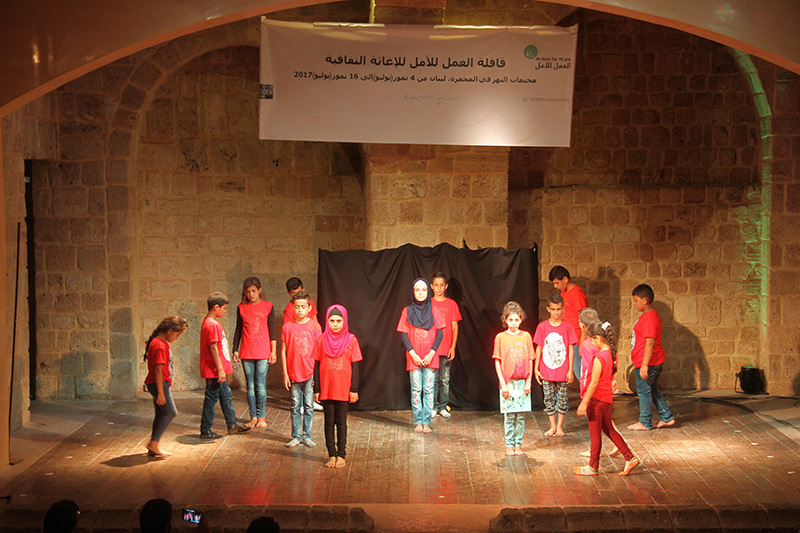 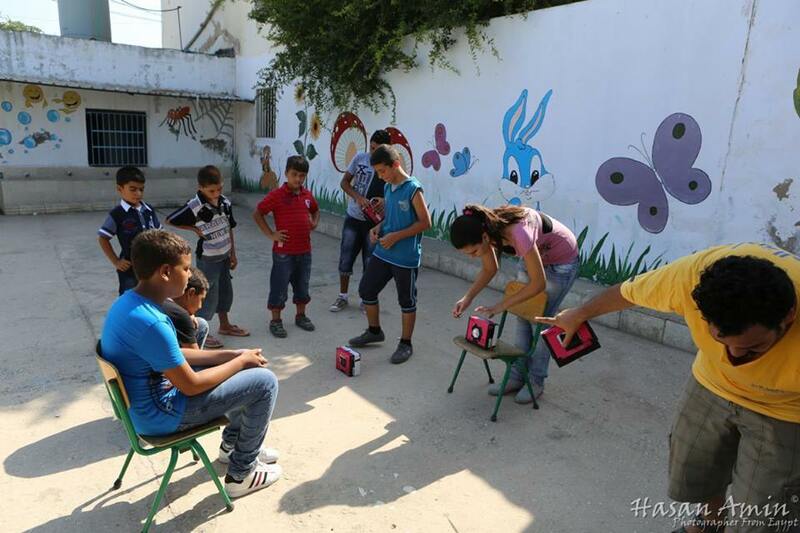 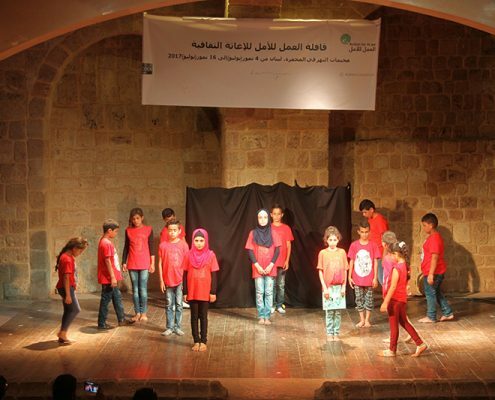 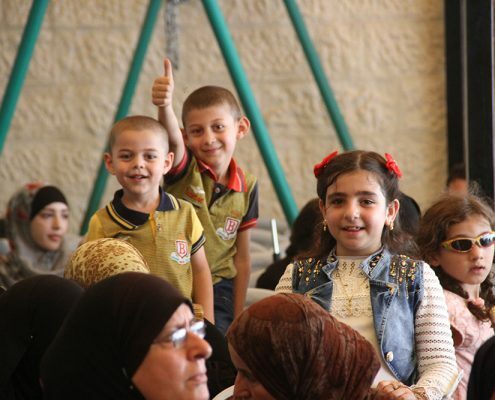 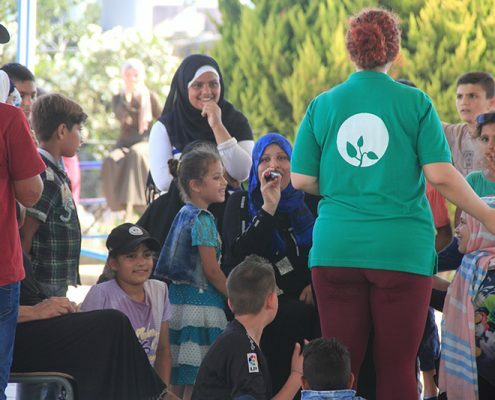 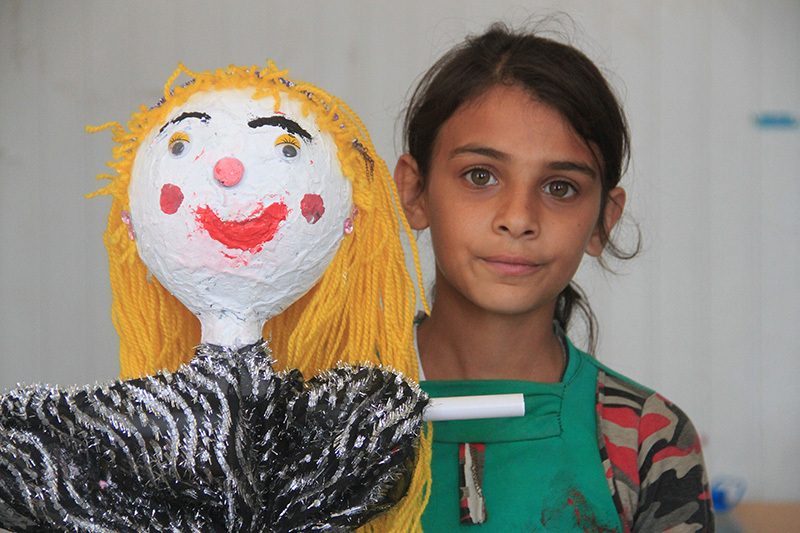 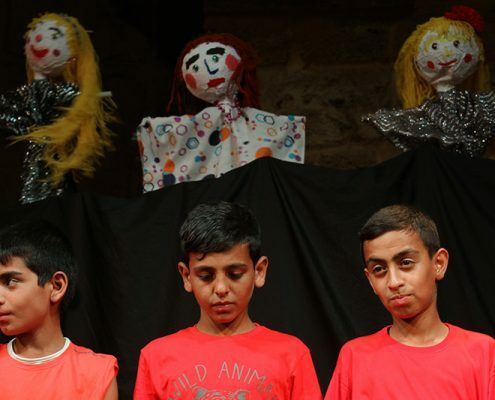 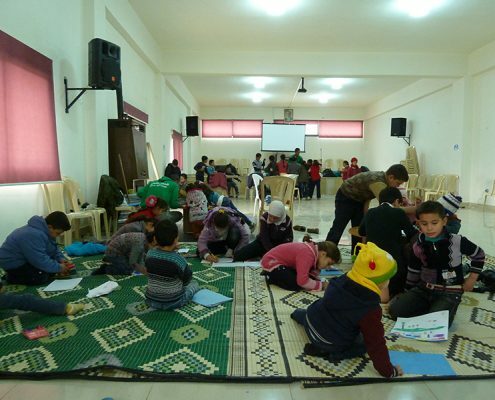 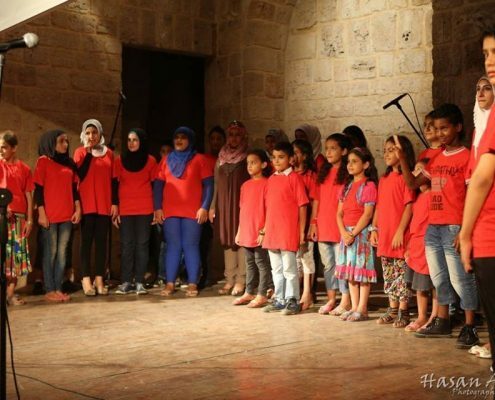 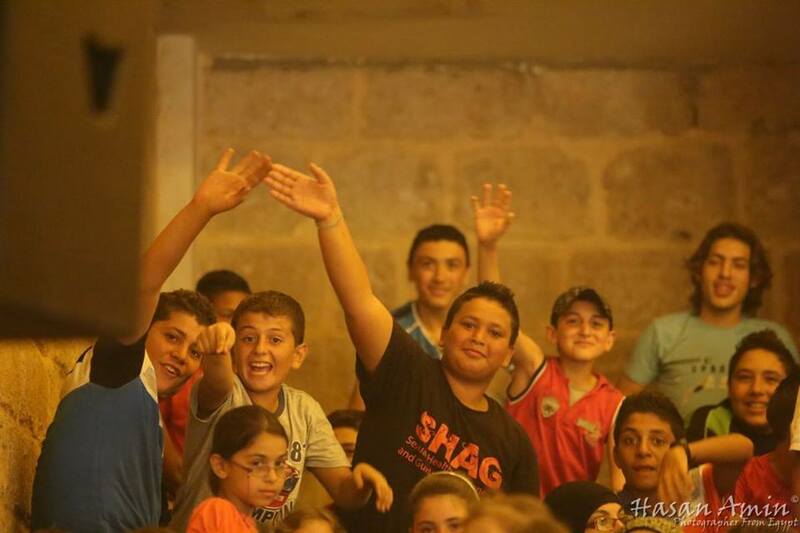 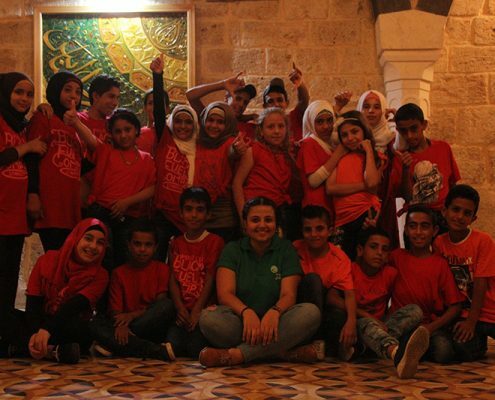 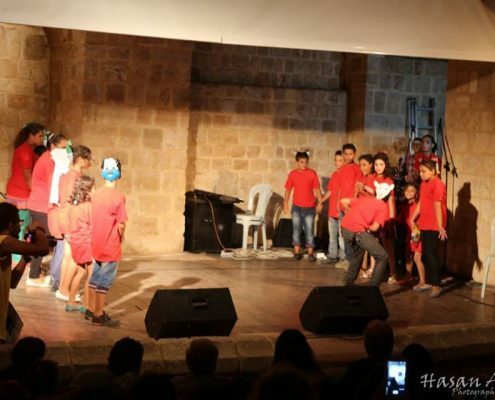 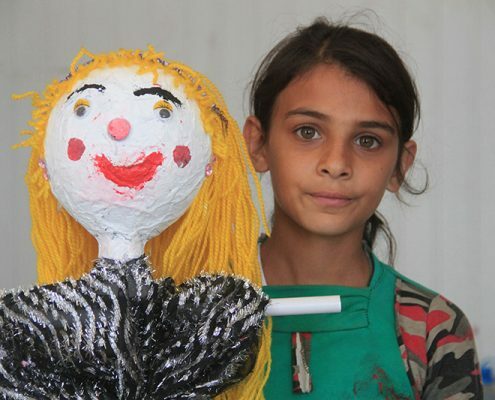 and produced her first puppet play entitled "Home, Oh sweet Home…" funded by the Palestinian Cultural Fund. 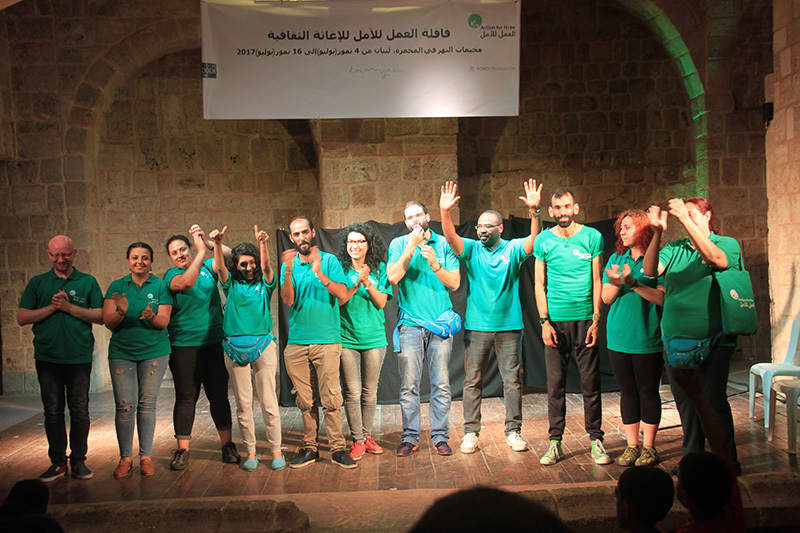 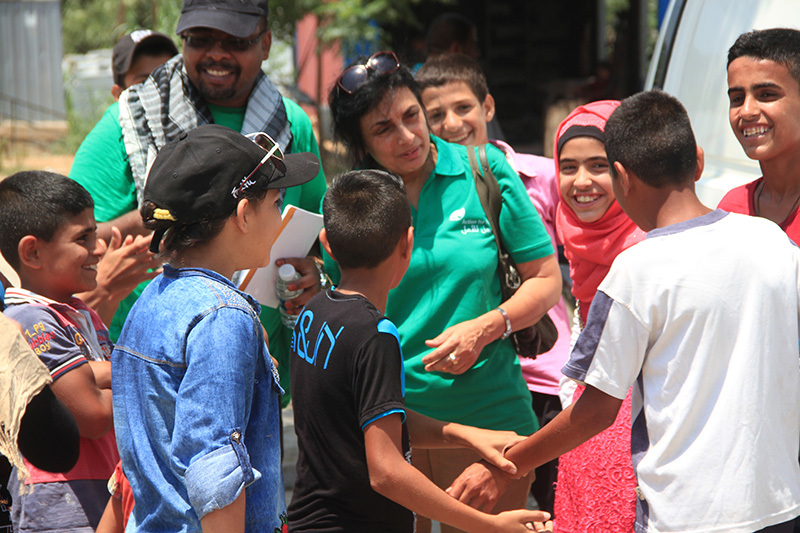 Fairouze took part in Akkar convoy. 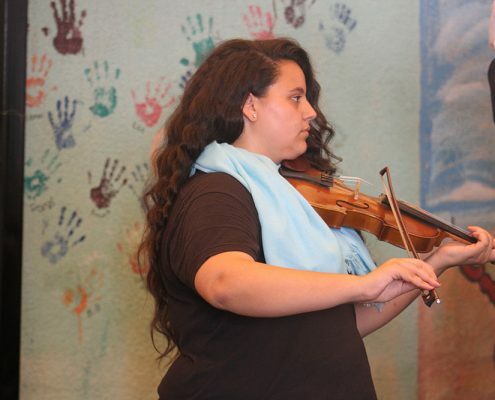 A Lebanese musician, who holds a bachelor’s degree in Musical Education (2014), and is currently completing her master studies at the Antonine university. 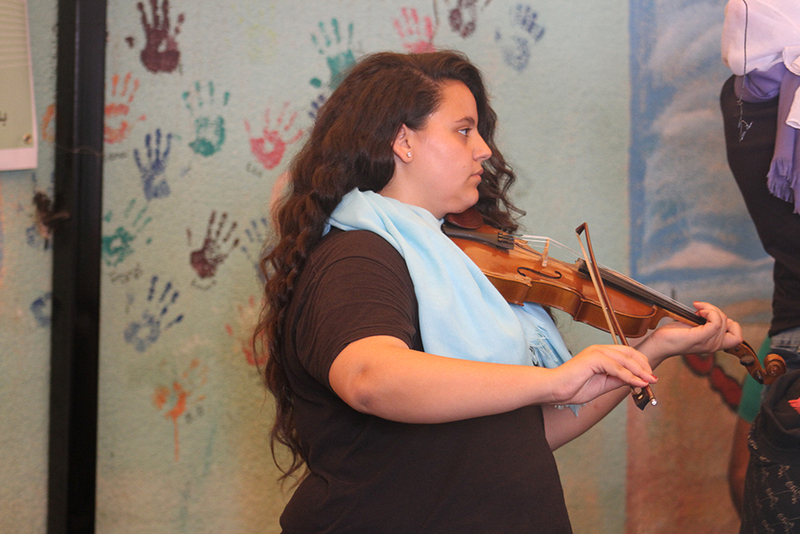 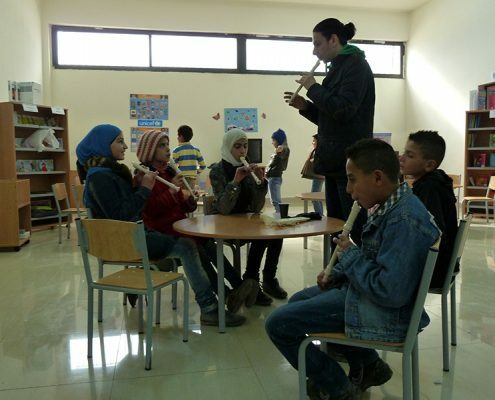 Started studying music at “Beit el Musiqa” institute, where she chose Riq as her first instrument, then changed to Buzuq, and now she is studying Oud. 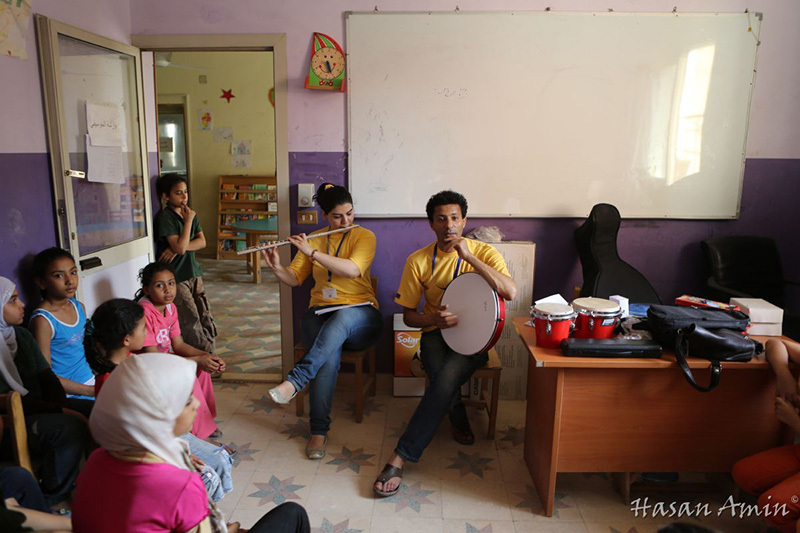 Farah worked for three years in teaching principles of music and then Joined “Action for Hope” as a teacher of Buzuq, music history and music theories. 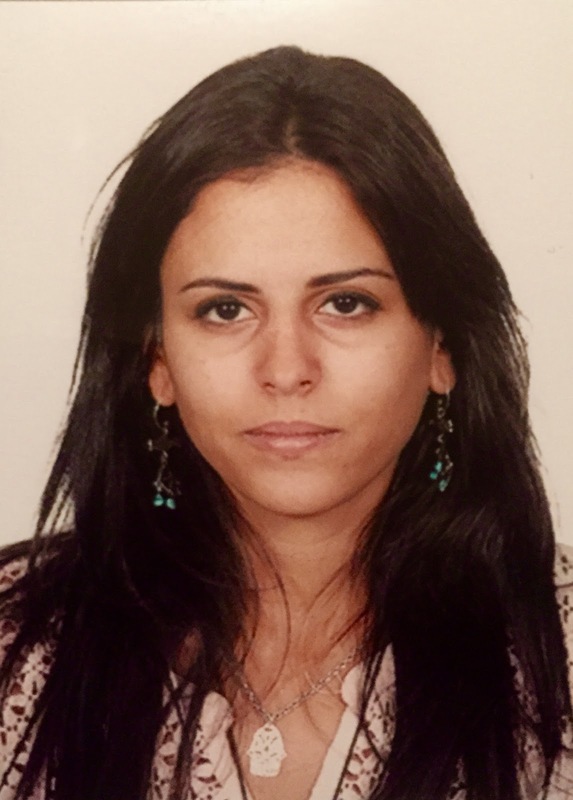 She joined Assil Ensemble for classical Arabic music as an Oud player in 2014 and has participated in various festivals in Lebanon and abroad. 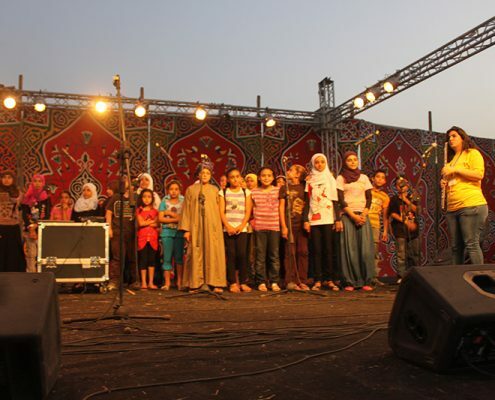 She also works with various music groups in Lebanon, performing classical and traditional music of the Levant and Egypt. 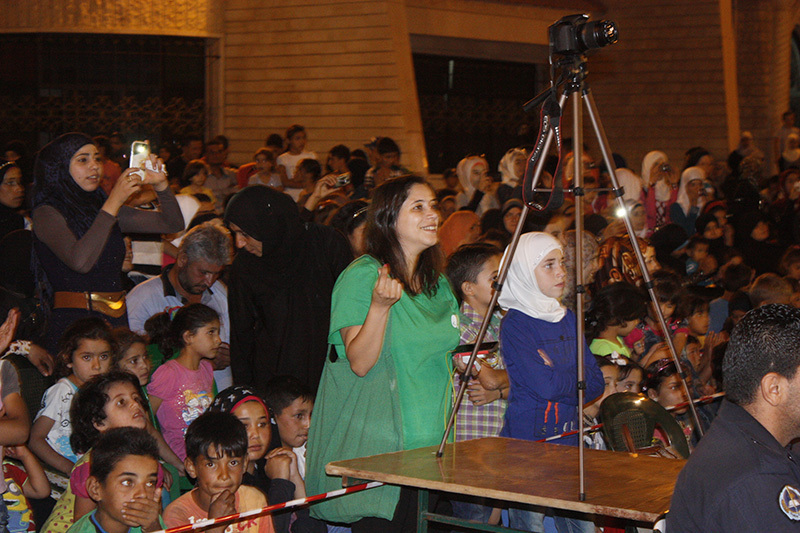 Farah took part in Akkar convoy. 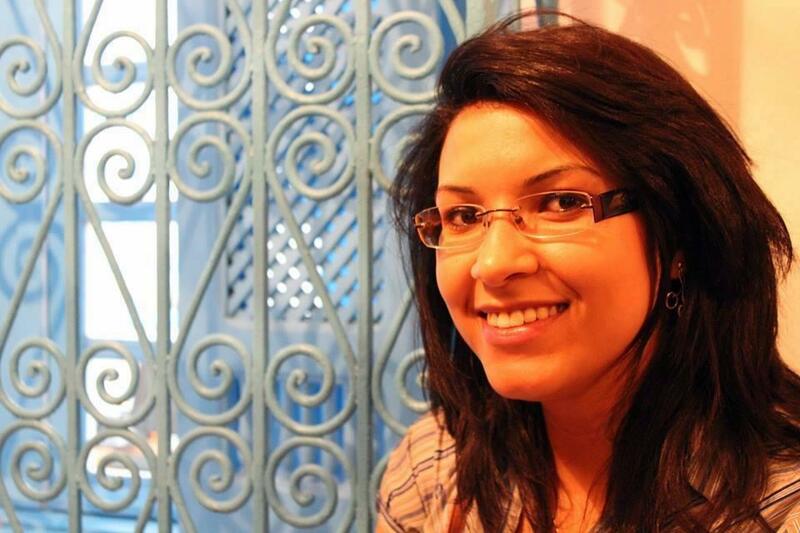 A Tunisian medical doctor, graduated from the Faculty of Medicine of Tunisia . 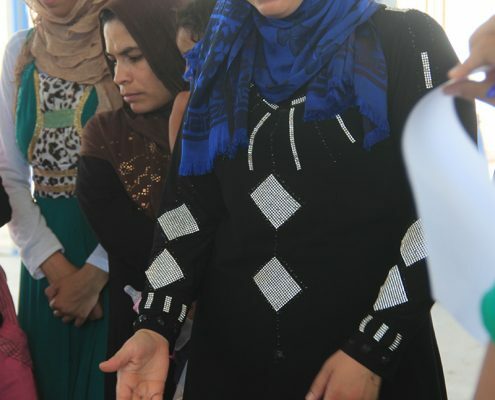 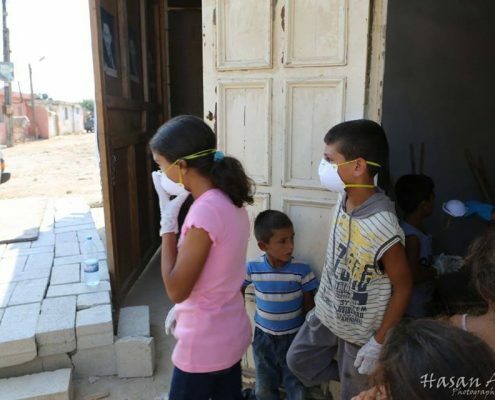 She works as a resident doctor at Pediatrics department of the Military hospital in Tunis. 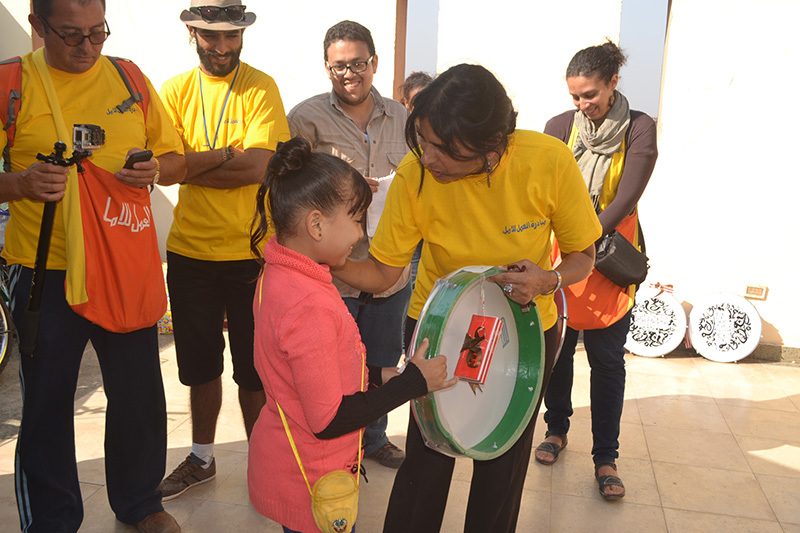 Besides her scientific activities, she studied music and played the Oud instrument at the Institute of Music and Folk Arts in 2002. 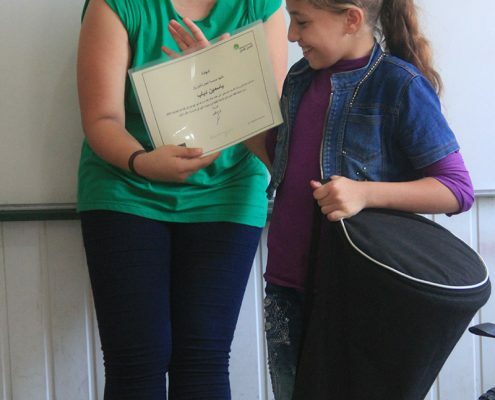 She got a Diploma of Arabic Music in 2007. 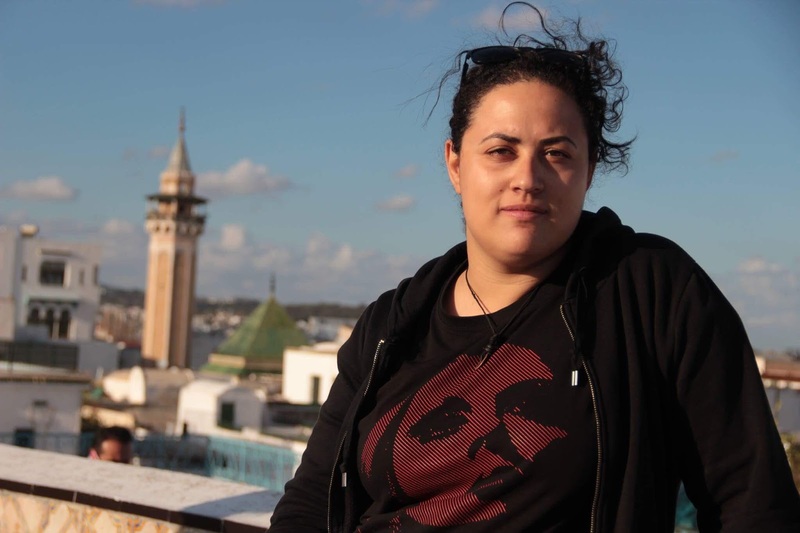 She joined the Tunisian Federation of Film Societies in 2009, and she became the President of Tunisia Cinema Clubs Association in 2012. 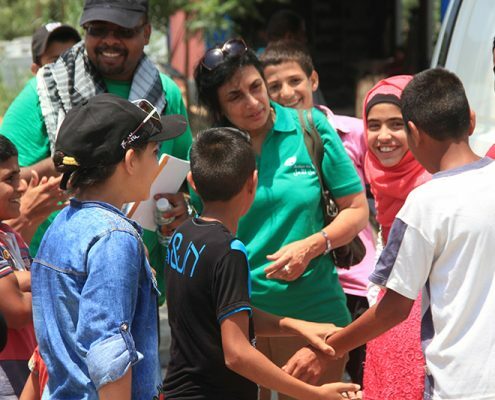 Fatma took part in Akkar convoy. 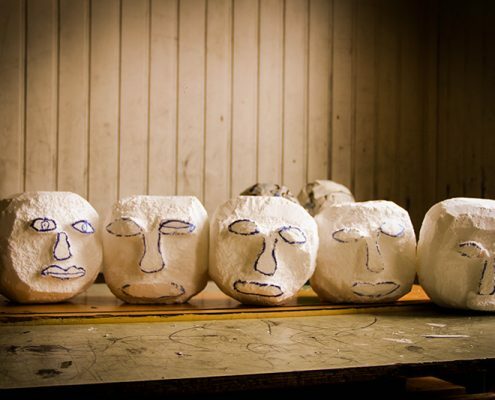 A theater and film artist who studied at the College of Fine Arts and the Cinema Institute. 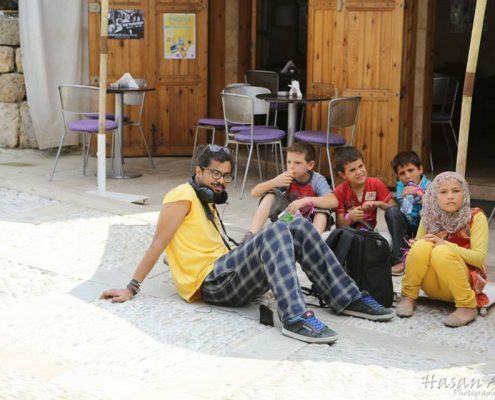 One of the founders of “Fanni Roghman Anni” for street theater, one of the leading artistic groups in Tunisia. 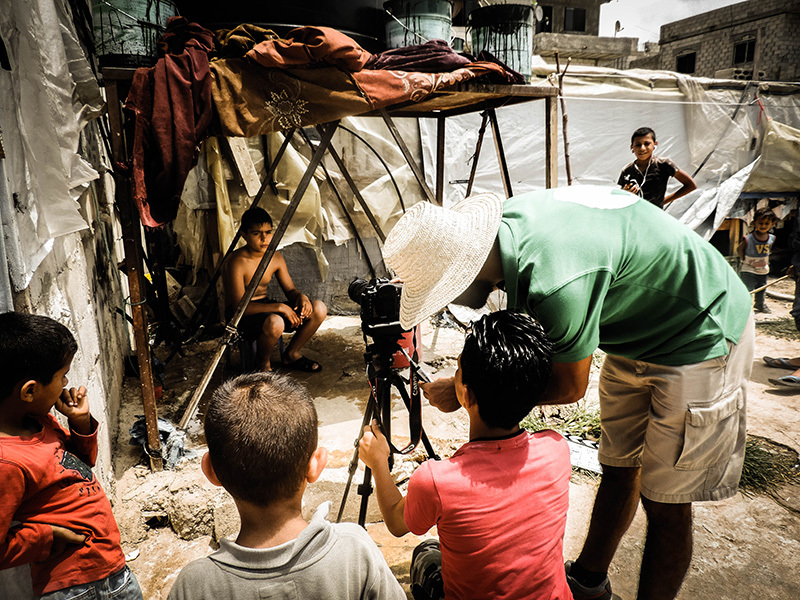 He works in both independent cinema and street theater. 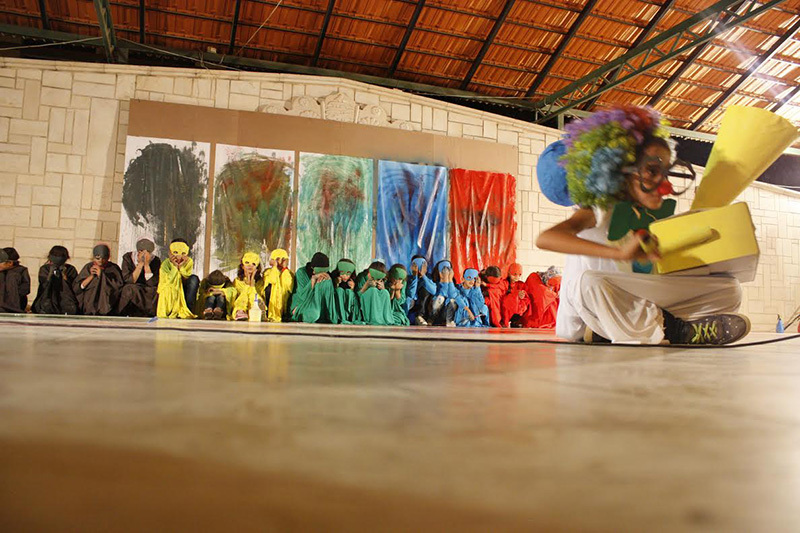 He produced many theater shows and directed a number of movies. 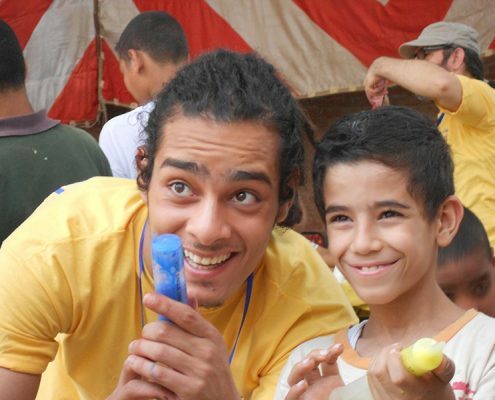 He participated in many international and local festivals such as Carthage Film Festival 2012 and Arab Short Film Festival in Beirut. 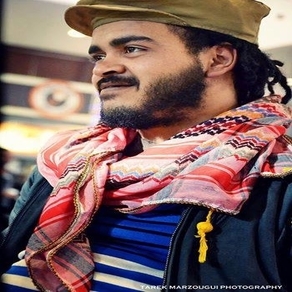 He produced several theatre and street performances with the FRA group such as (JHANNA, WC, They killed him, So we don't forget, Free me) Besides, Hamdi produced a few documentaries between 2010 and 2014 such as ( 10 to the capital, Alboubia, expressional labor, underground) and an experimental film called Red/Black .He also produced and directed a TV show on the cultural and artistic scene in the Arab World that was aired on Maghreb 24 Tv in addition to a few music videos in Tunisia. 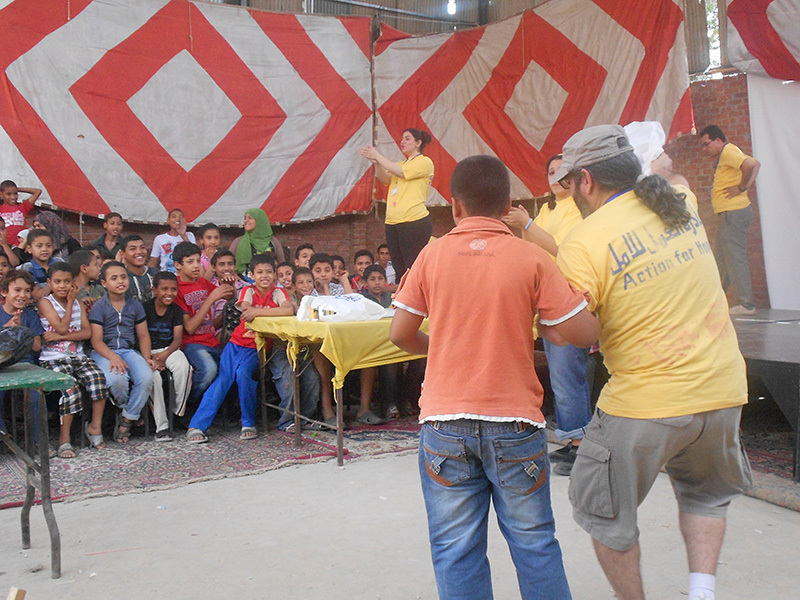 Hamdi took part in AlMarj camp and Akkar convoys in Lebanon, Assiut convoy in Egypt and one convoy to Jordan. 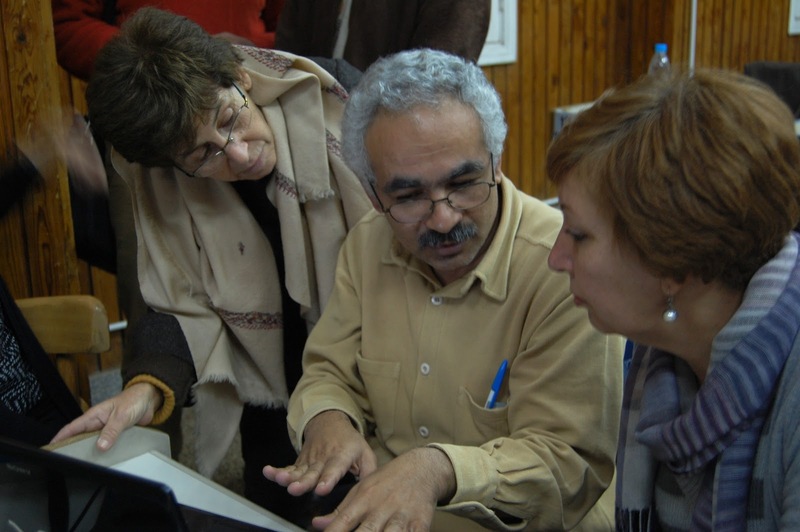 An Egyptian university teacher who has worked as a mathematics lecturer and researcher since he graduated from Faculty of Science in 1981. 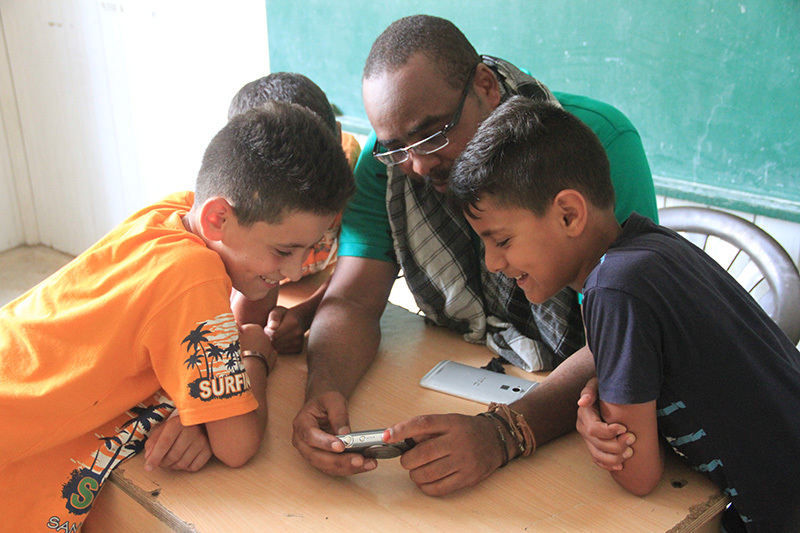 Hany received his PhD in mathematics from Grenoble University in France, and worked in Cairo university, Grenoble University (France), and the University of Bangui (Central African Republic). 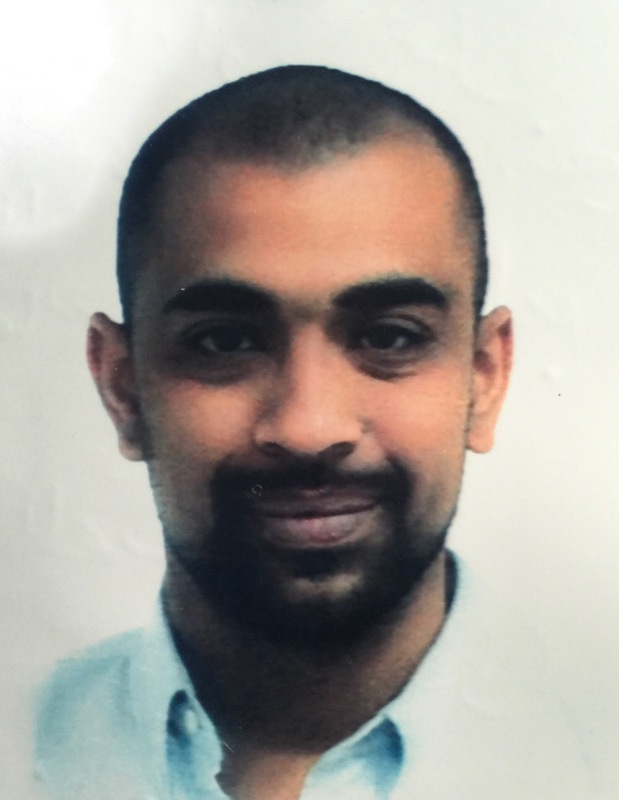 His interest is focused on working with students who are talented in mathematics and politics/management in universities. 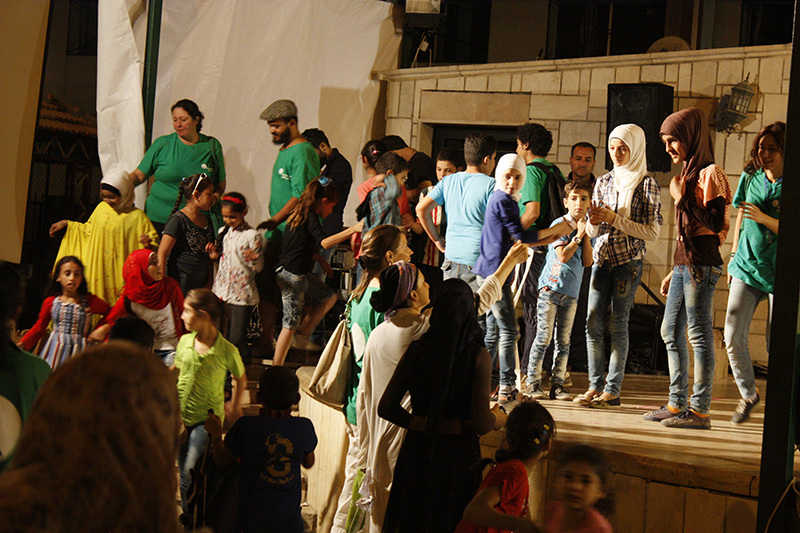 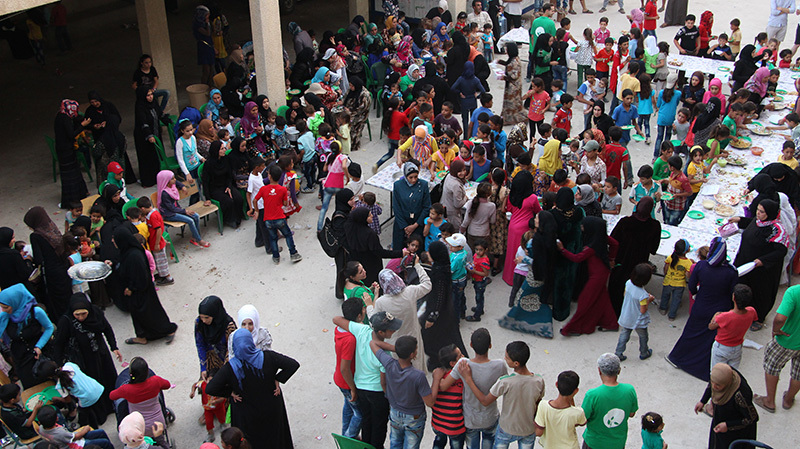 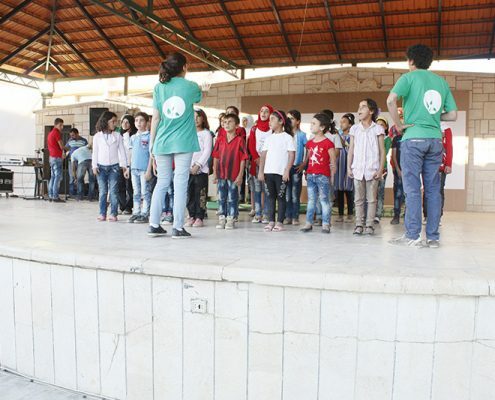 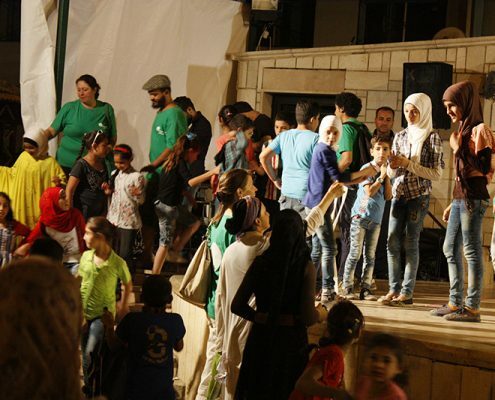 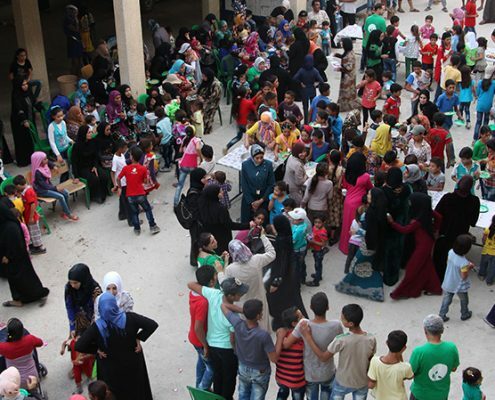 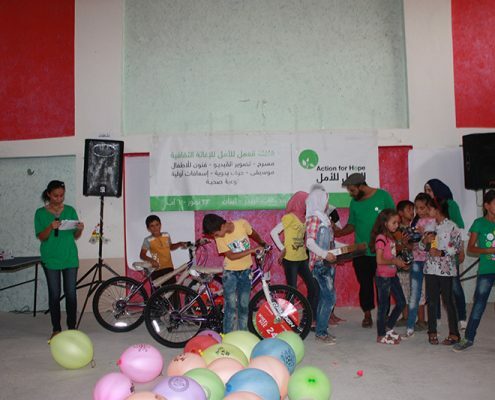 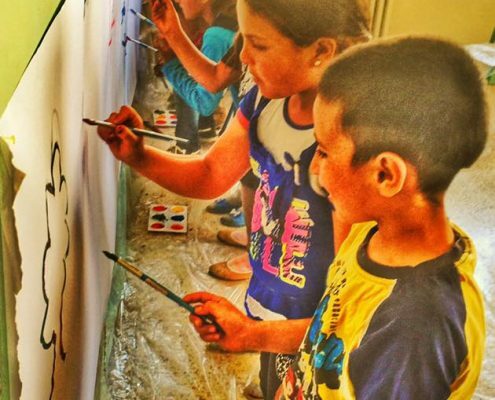 Hany took part in Baidar camps convoy in Lebanon. 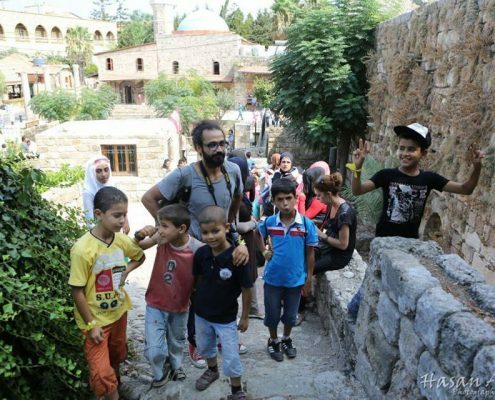 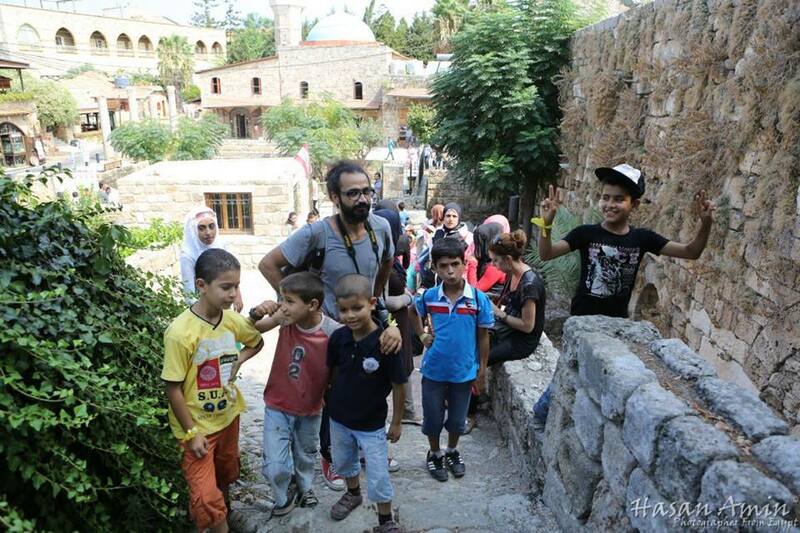 Hasan is from the city of Tartus on the Syrian coast. 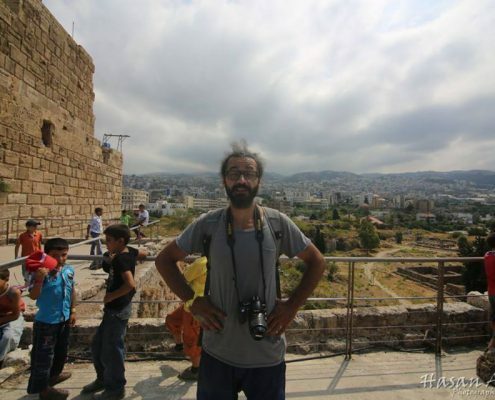 He studied Fine Arts in Damascus, specializing in painting and studied scenography at the Higher Institute of Dramatic Arts in Damascus. 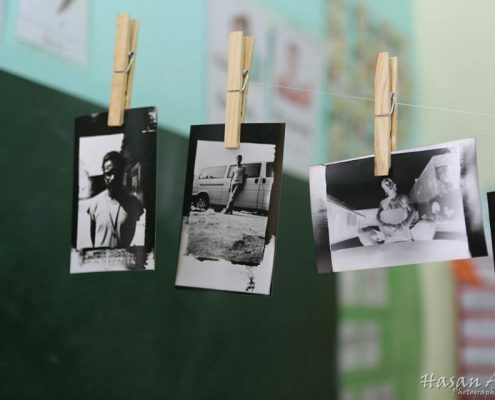 He worked mostly in theater, television, and cinema. 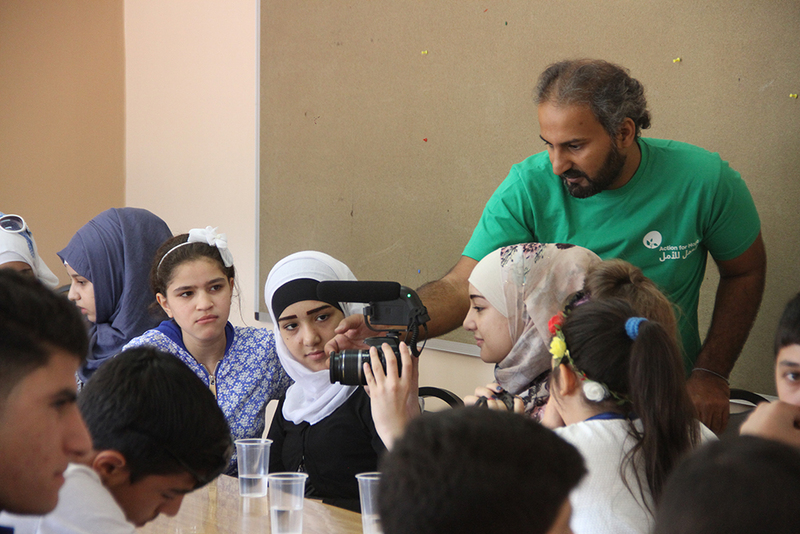 He has a lot of experience working in directing and producing video films. 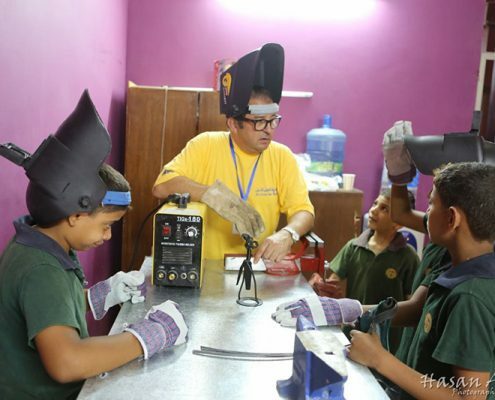 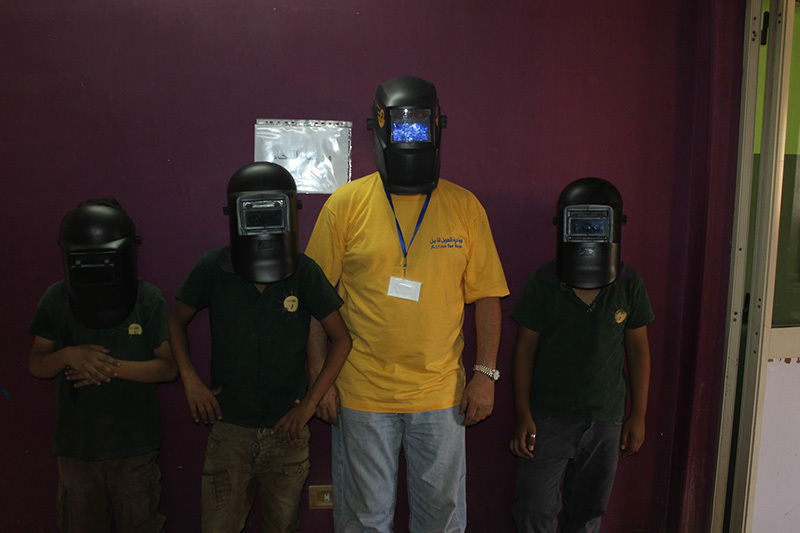 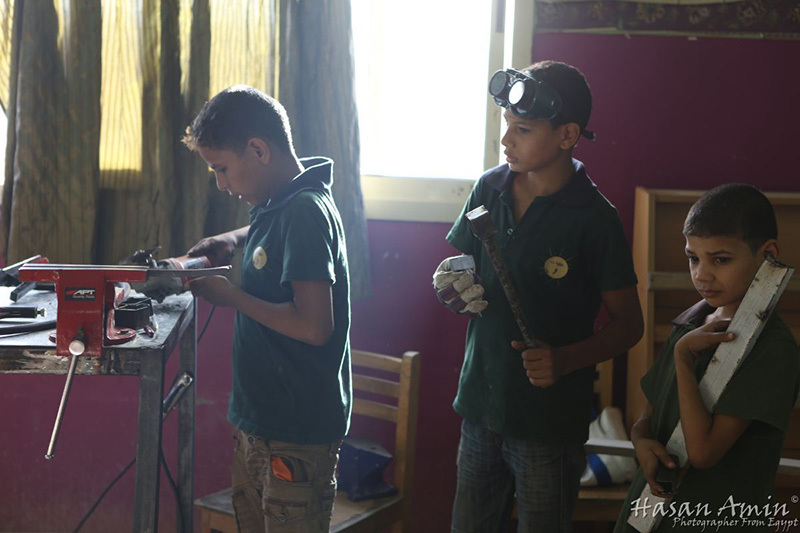 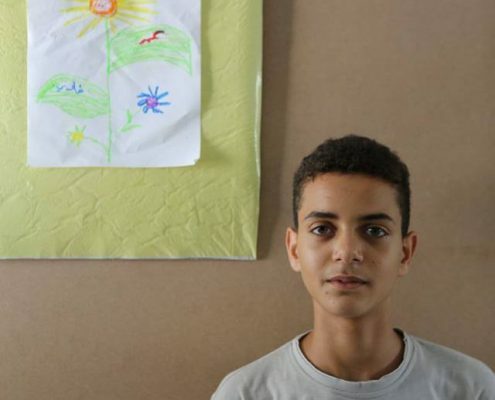 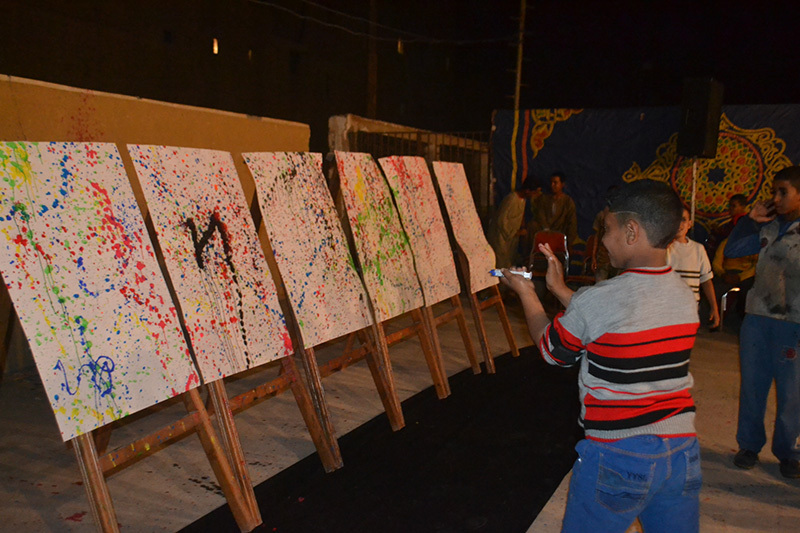 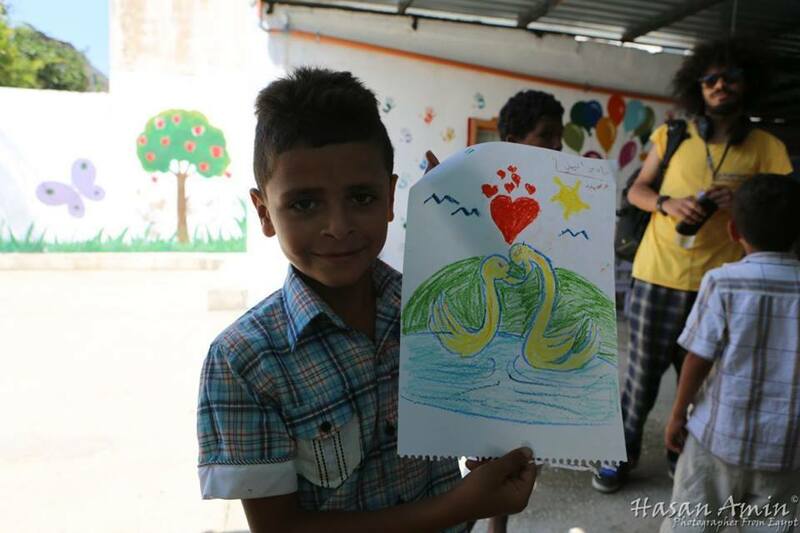 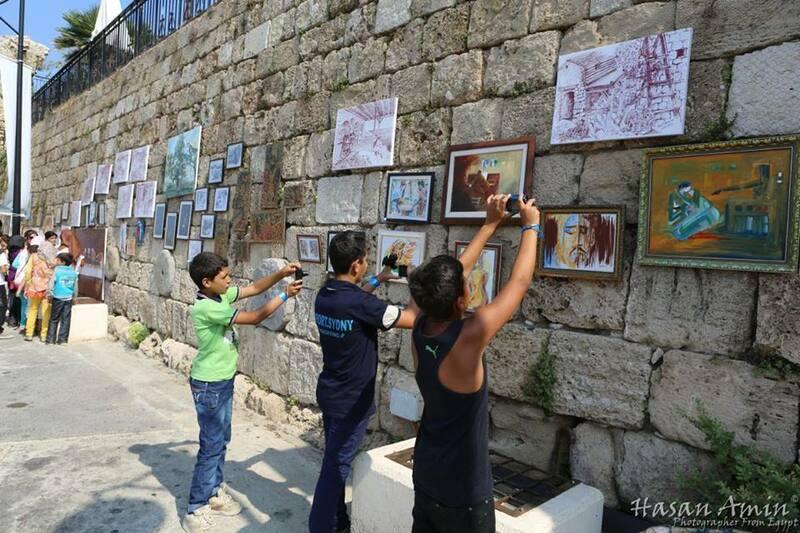 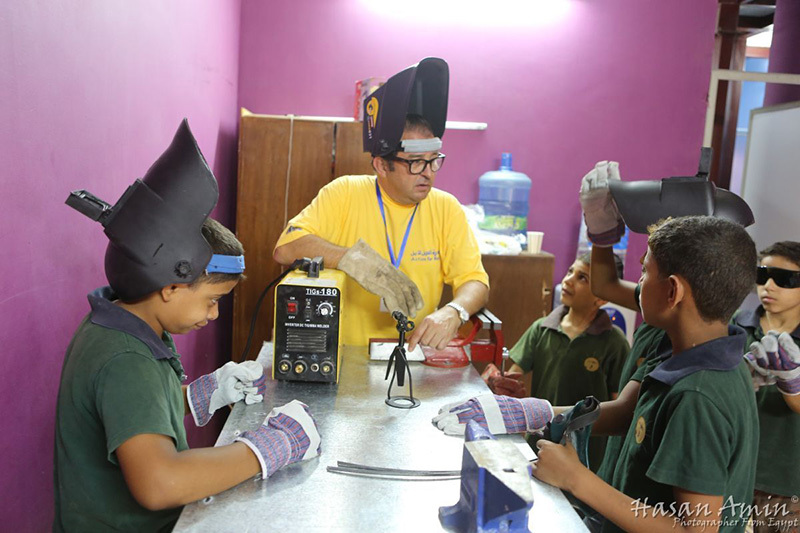 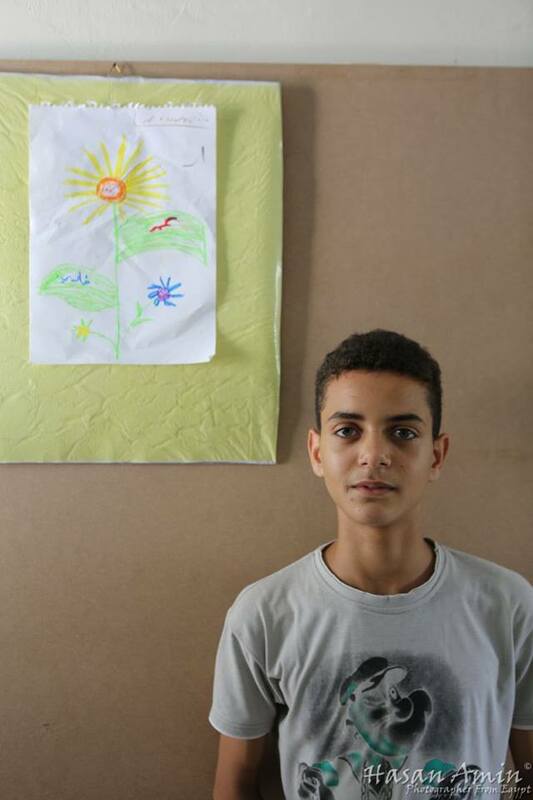 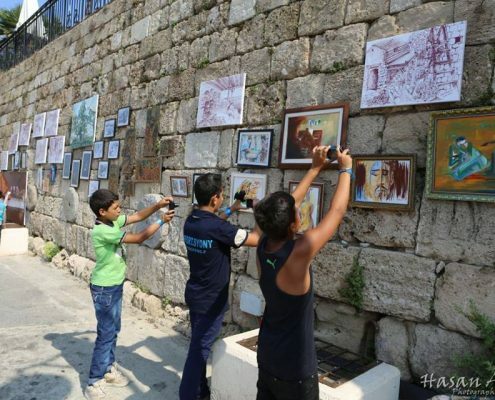 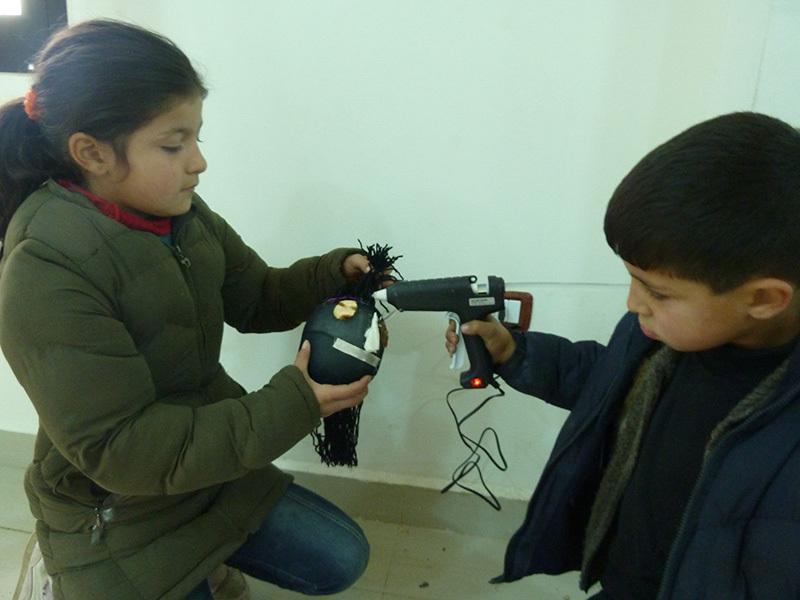 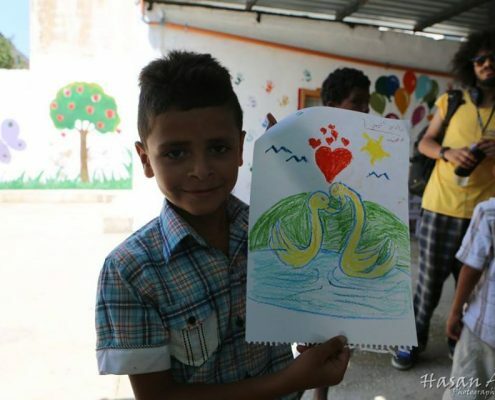 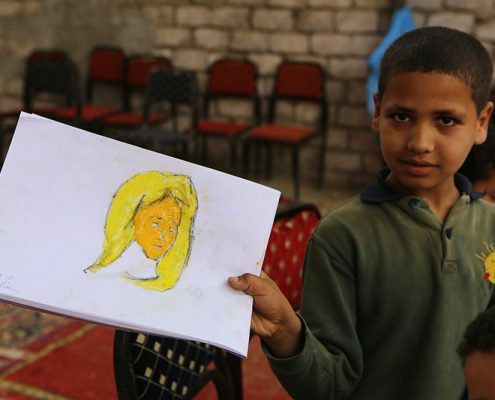 Hassan is also interested in making works of art using discarded objects from the surrounding environment. 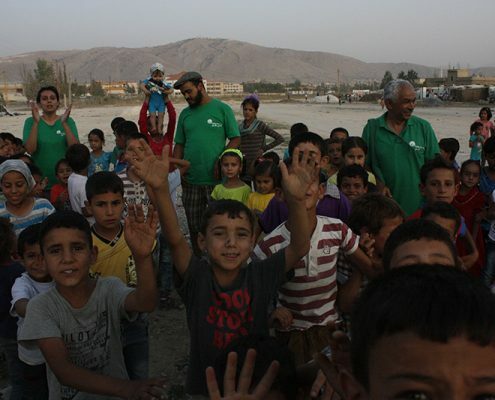 Hasan took part in Stable Antar convoy in Egypt, Tripoli and Baidar camps convoys in Lebanon and one convoy to Jordan. 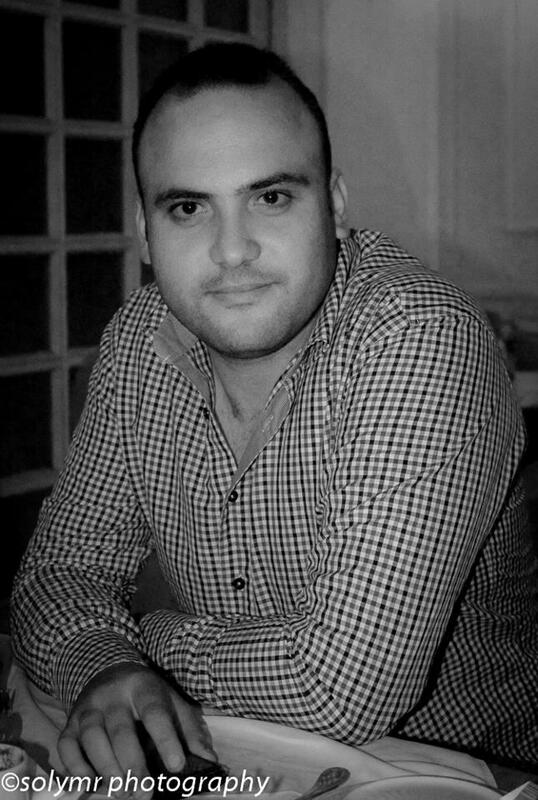 An Egyptian freelance film director who studied Applied Arts and started working in filmmaking and TV series since 2005. 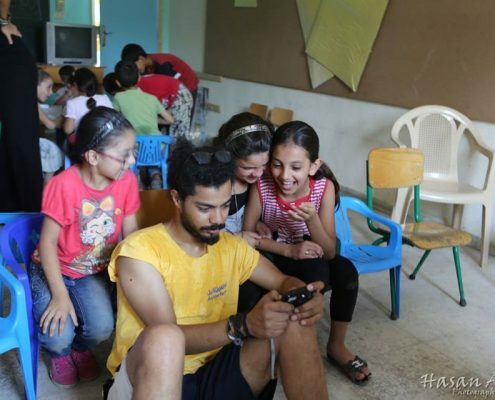 Hossam worked on many commercials, feature films, and TV series as an assistant director such as: The Pledge, Ibrahim El Abyad, The Brotherhood series, No Mentioned Names series, and currently he is working on his directorial debut: Istifa series, which was aired in Ramadan 2015. 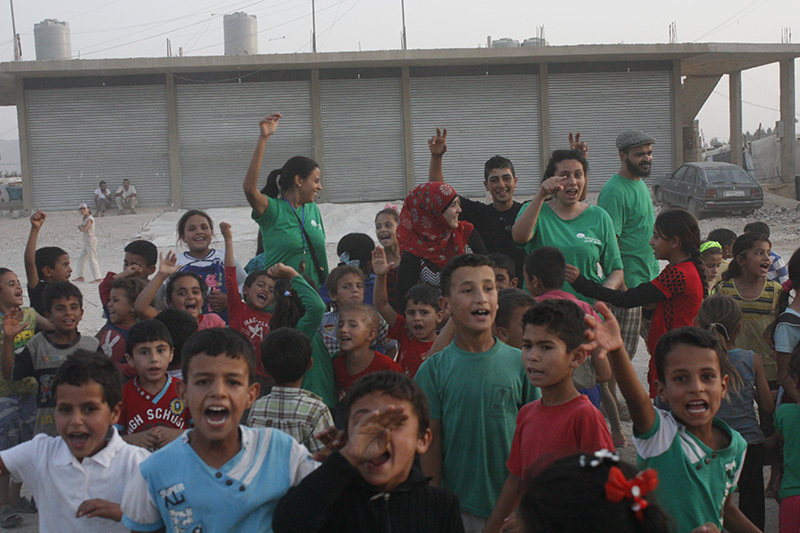 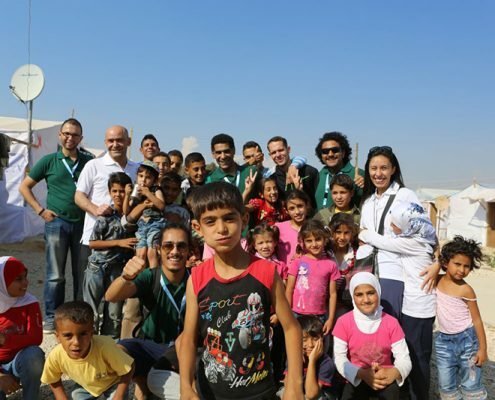 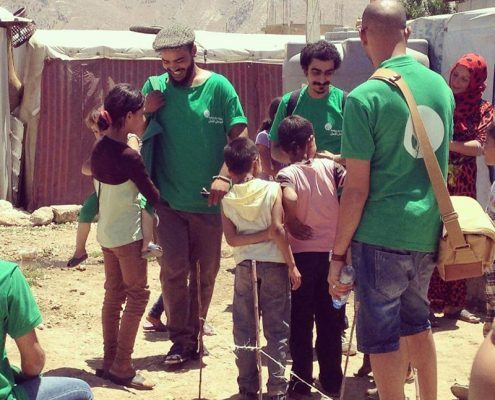 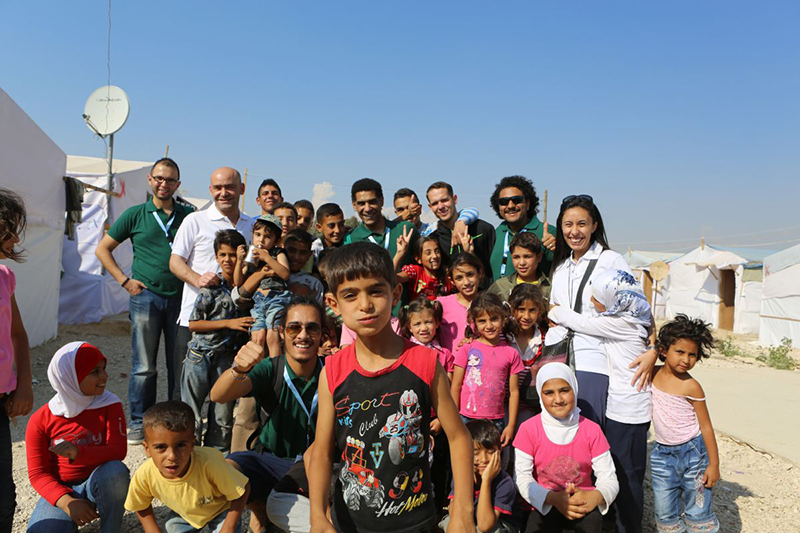 Hossam took part in Baidar camps convoy in Lebanon. 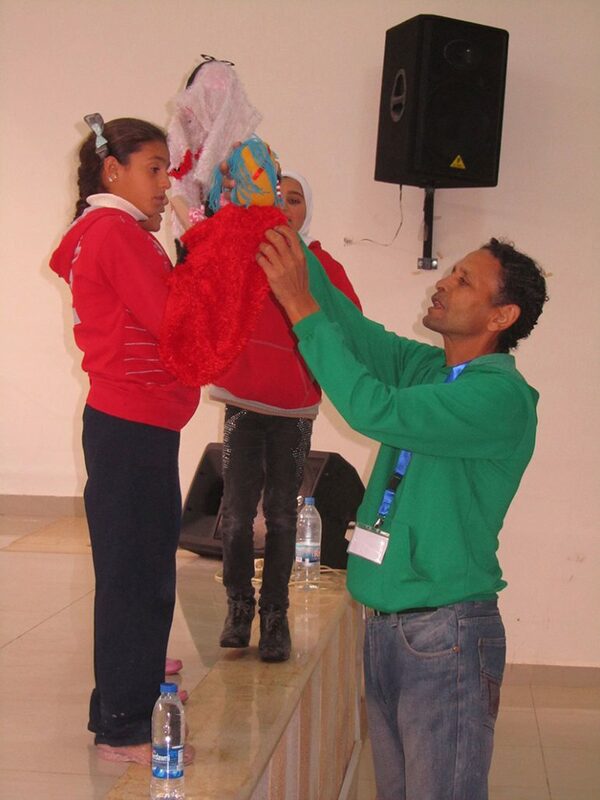 A Moroccan scenographer and theater lighting technician from the northern city of Tetouan. 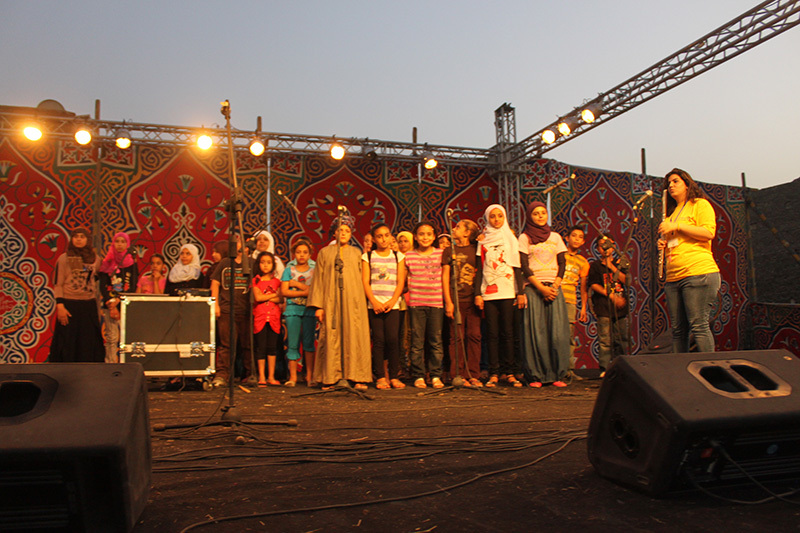 He also works as a backstage director for the international festival of Oud. 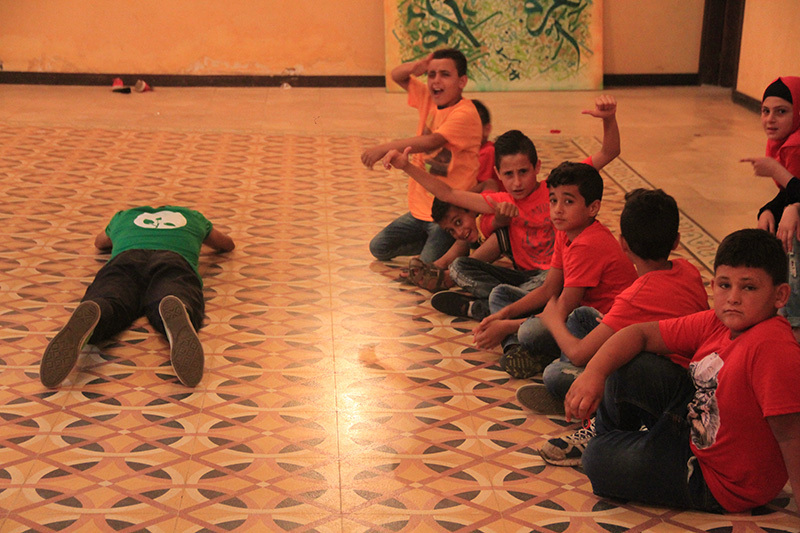 He just completed his first theater directing work. 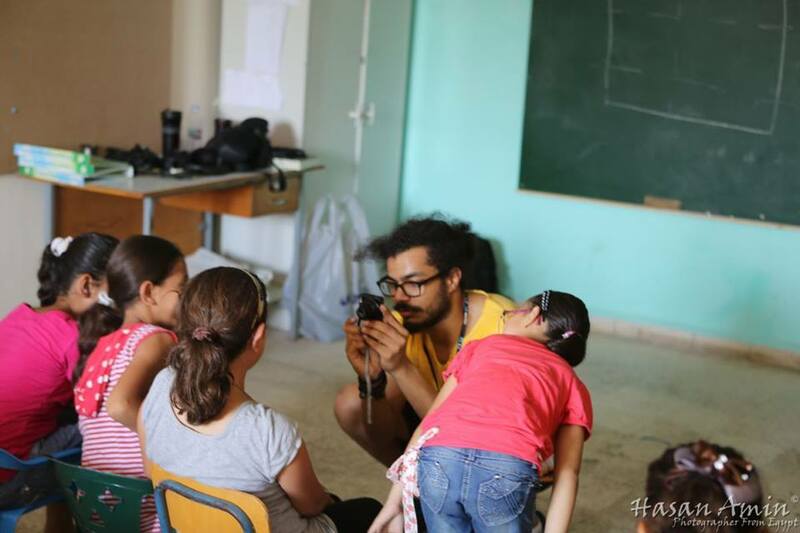 Previously, he worked in set design in cinema and as a stage technician in several international festivals held in Morocco. 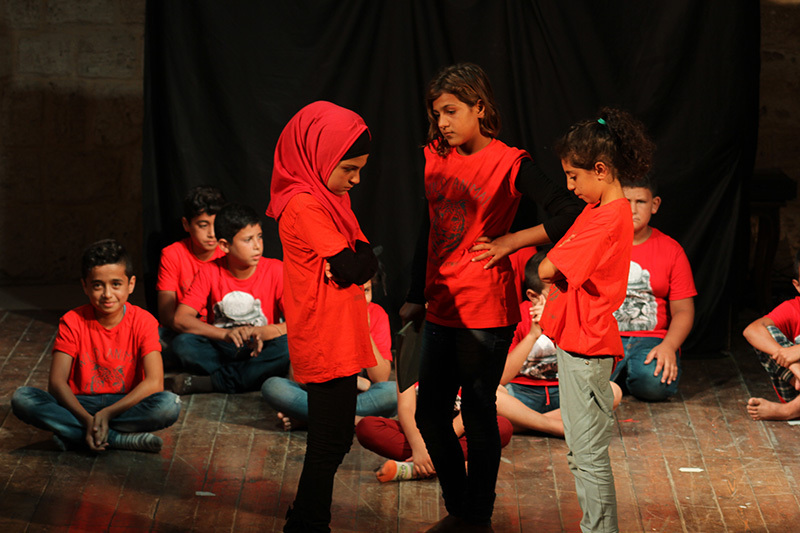 He participated in various plays in many international festivals, and in many theater workshops either as a participant or as a trainer. 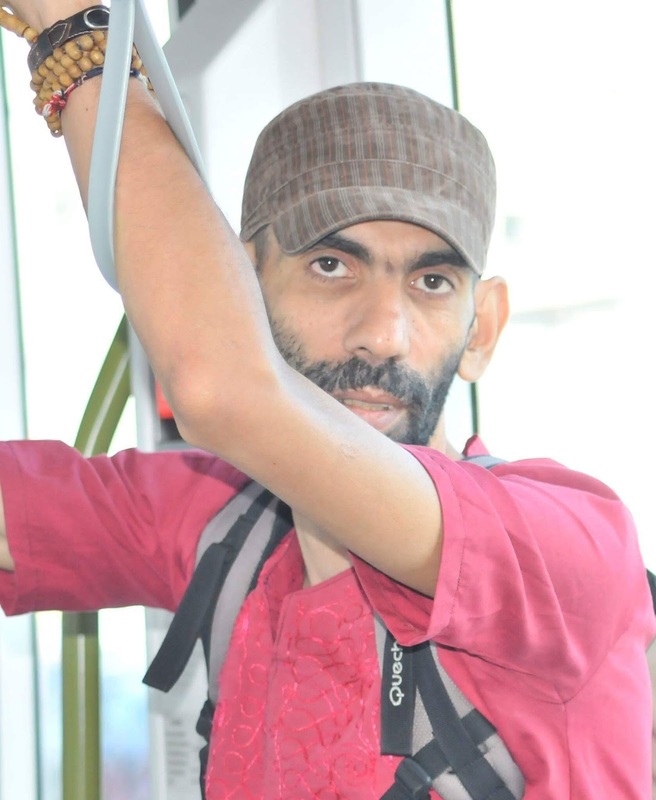 He organizes mountain-hiking trips. 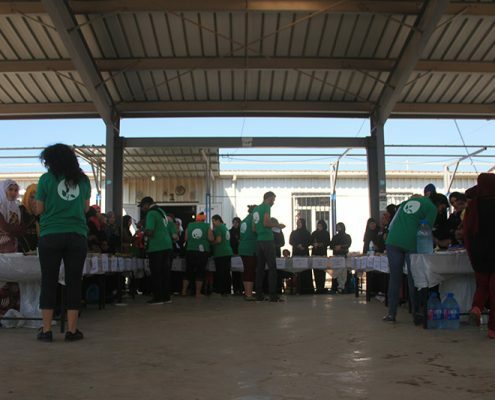 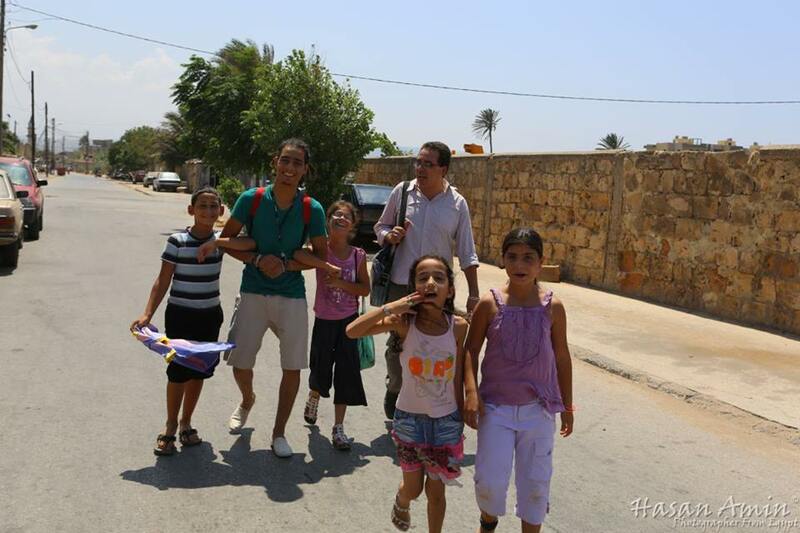 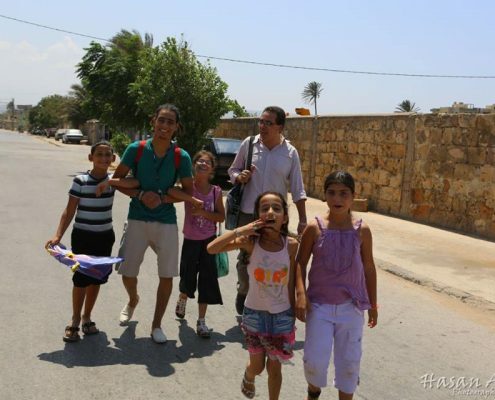 Idriss took part in Assiut convoy in Egypt, AlMarj camps and Akkar convoy in Lebanon and one convoy to Jordan. 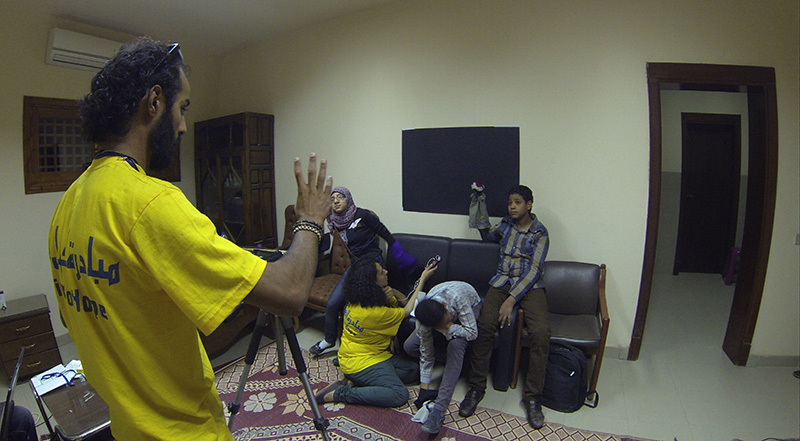 An Egyptian artist who studied film animation at the High Institute of Cinema in Cairo. 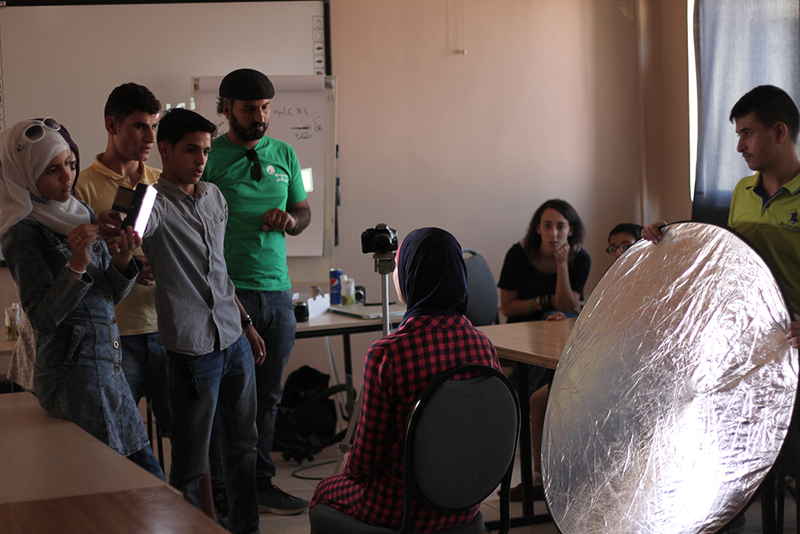 Layla worked as an assistant film stylist for 5 years in many feature films including the Blue Elephant. 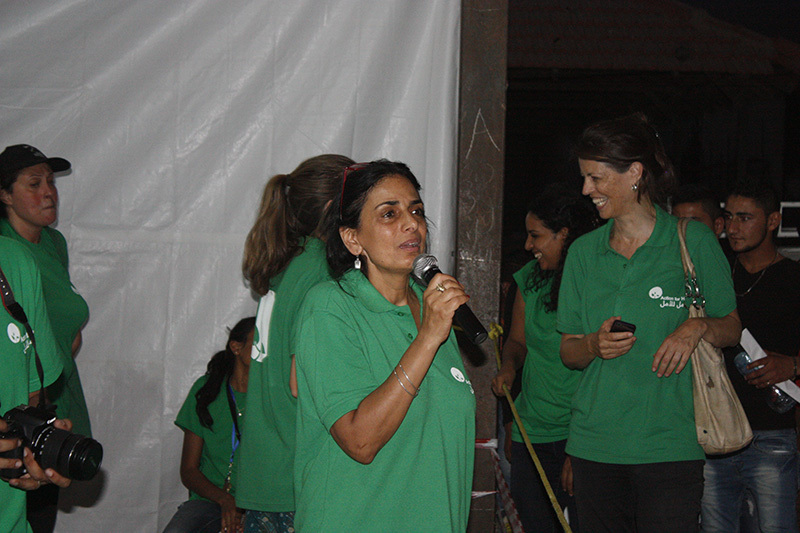 She is, currently working as an assistant director in films and TV series. 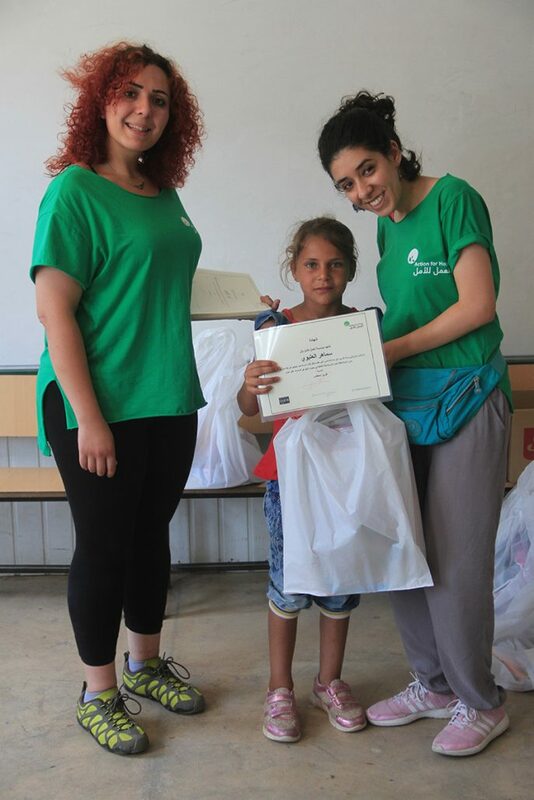 Layla took part in baidar camps convoy in Lebanon. 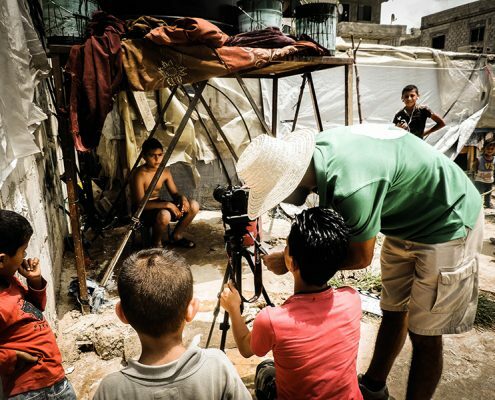 A Jordanian photographer and a filmmaker. 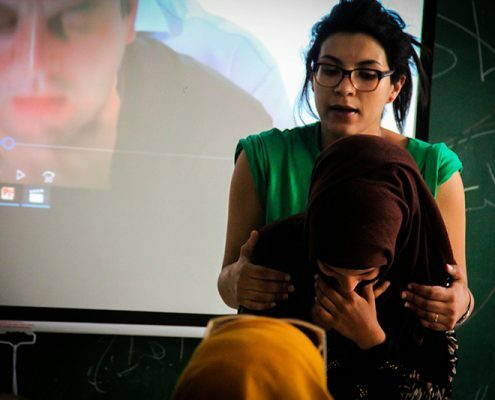 She has a BA in Journalism and media, and works as a freelancer in the photography and filmmaking industries. 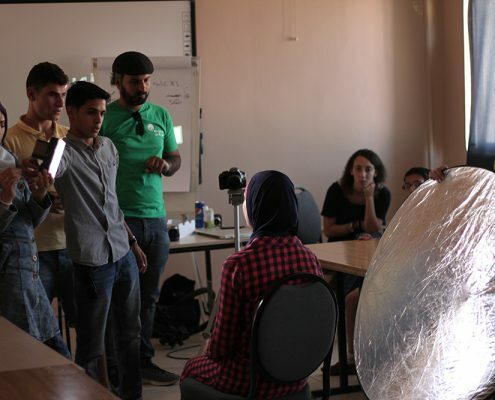 Her first short film received the audience vote award in 2015 for the best Jordanian short film at the Franco-Arab film festival, Amman. 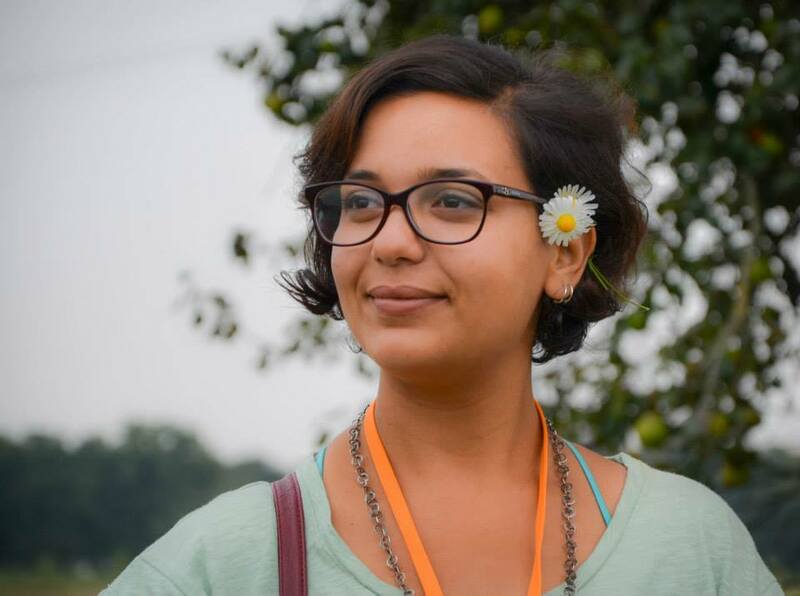 She is currently working at the Royal Film Commission. 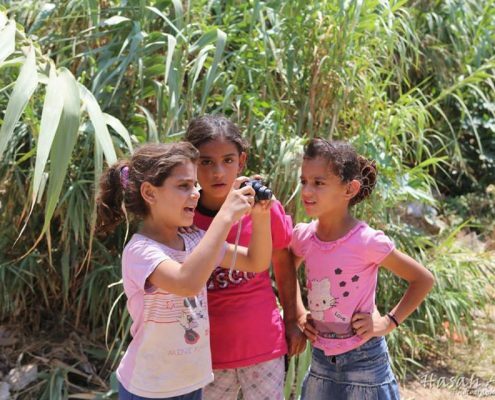 In 2016 she gave a photography workshop with Action For Hope for children from Jordan, Palestine and Syria. 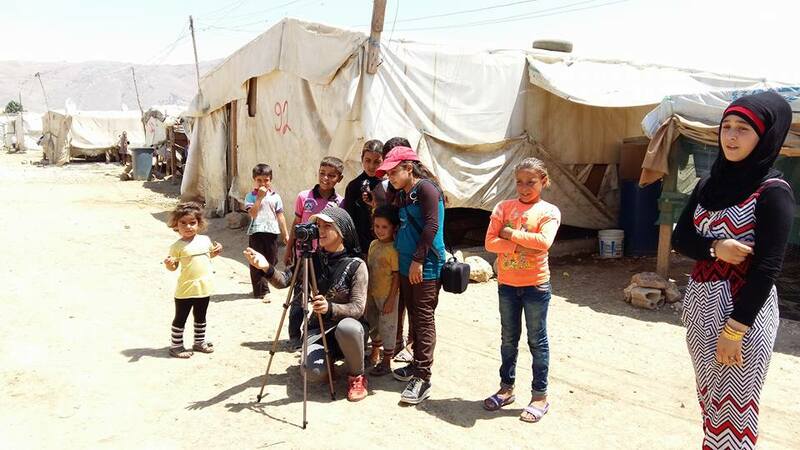 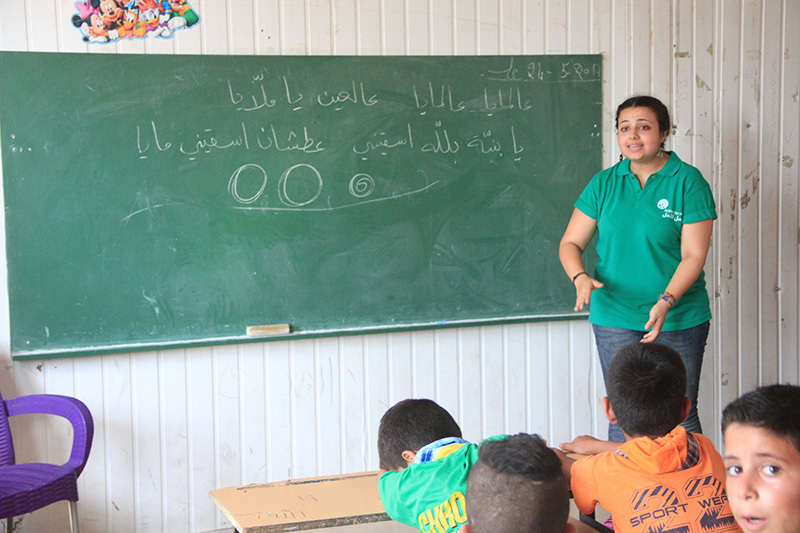 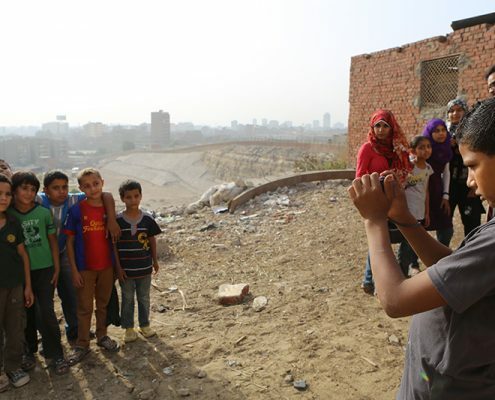 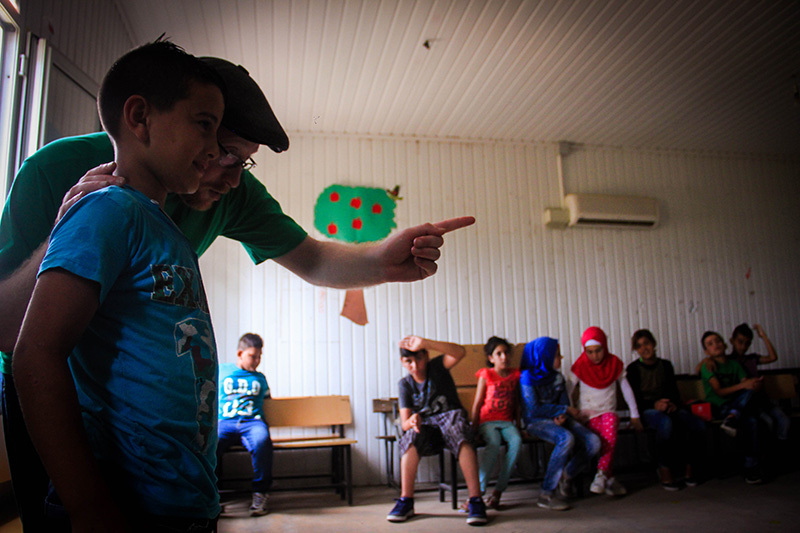 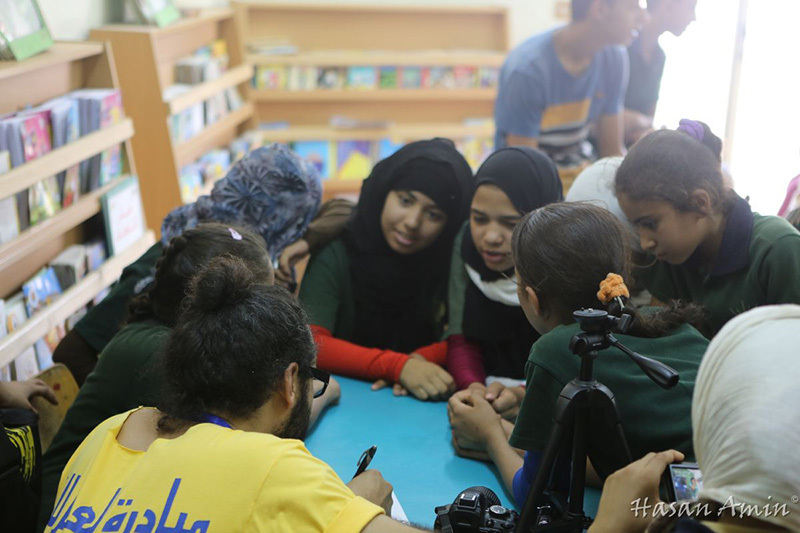 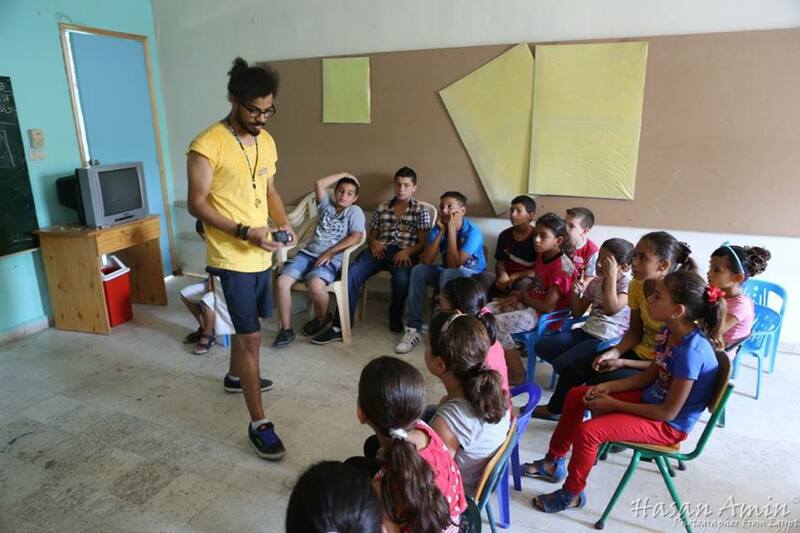 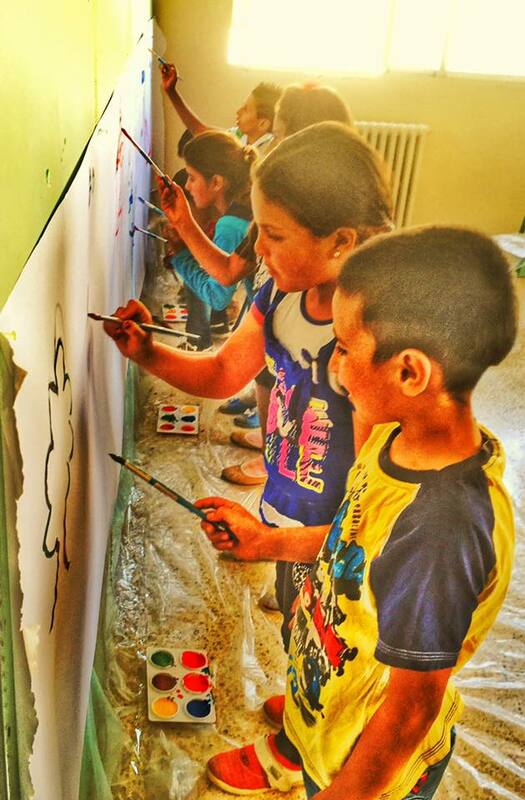 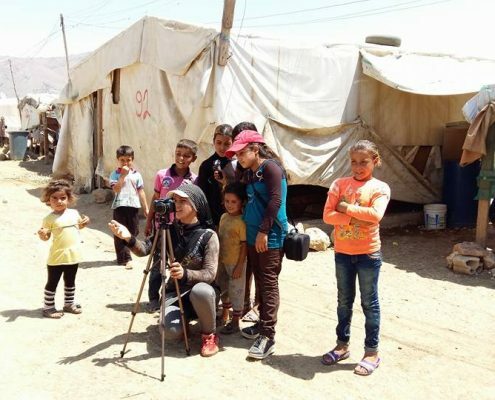 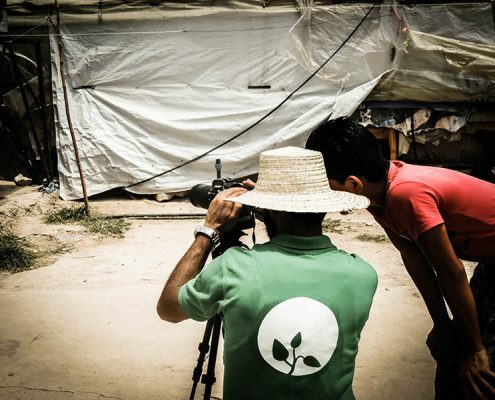 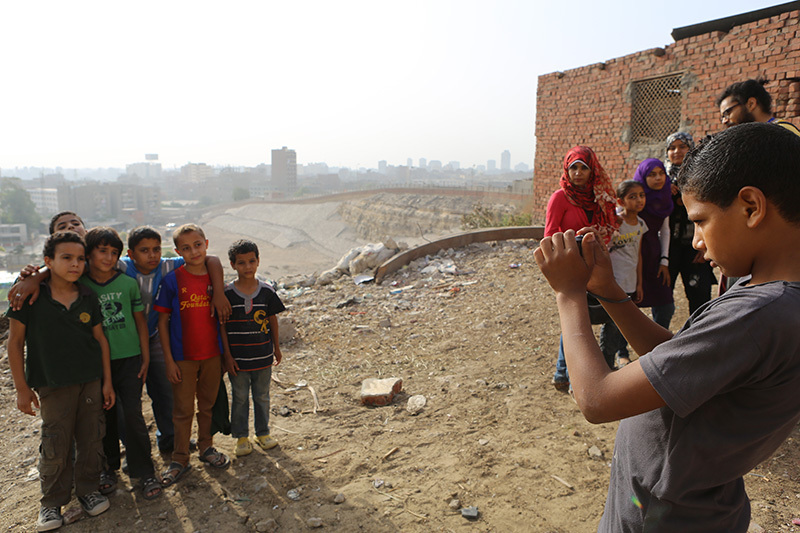 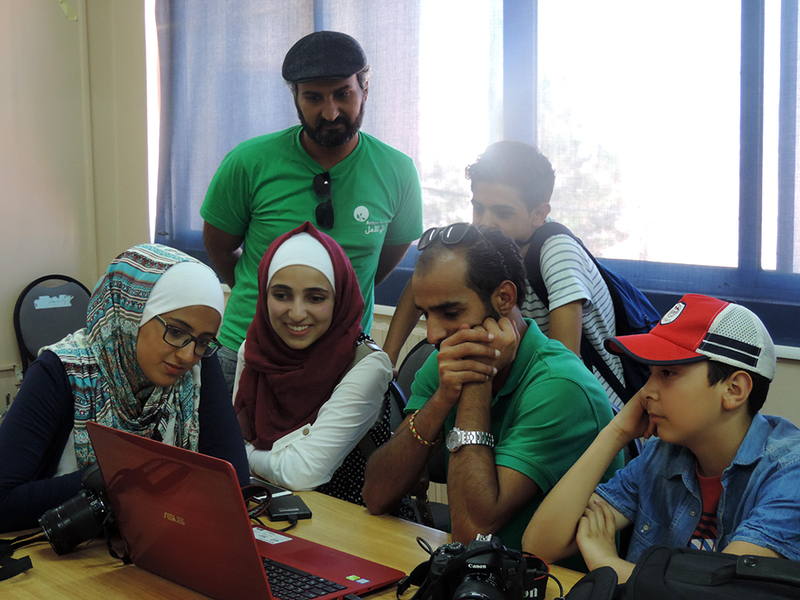 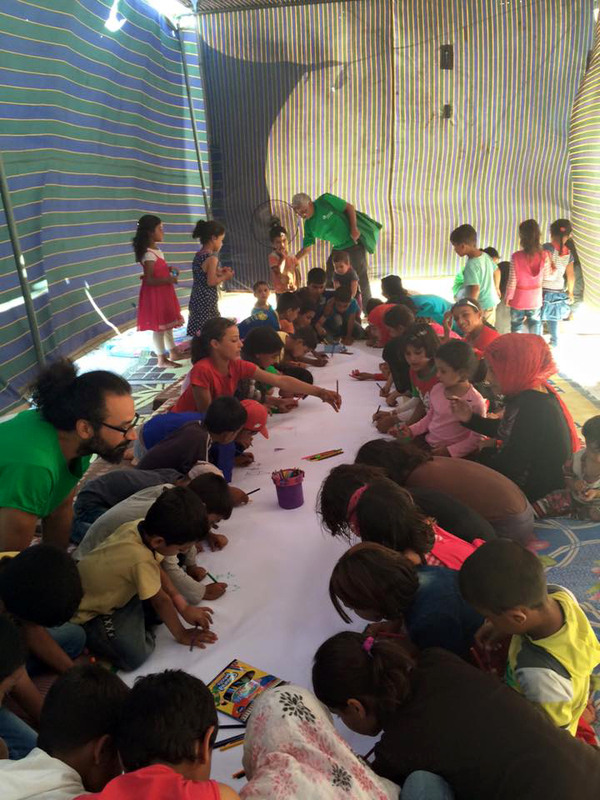 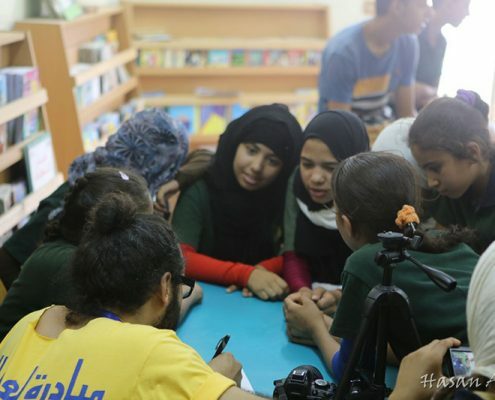 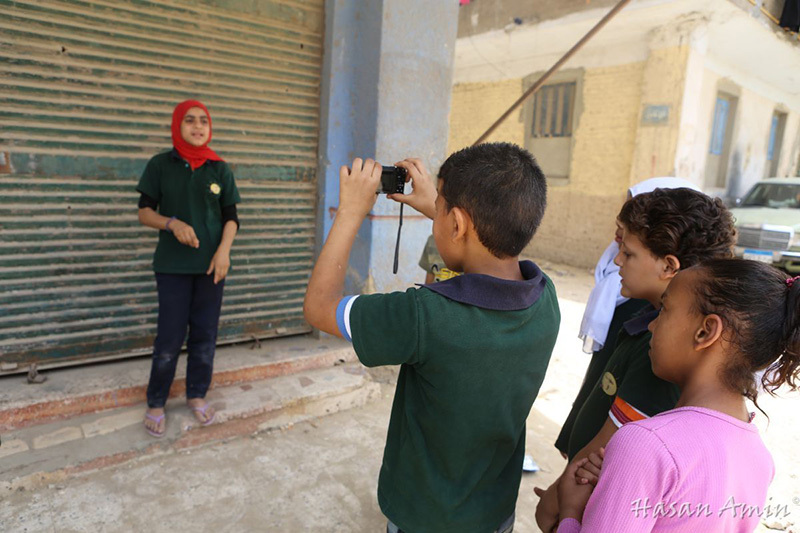 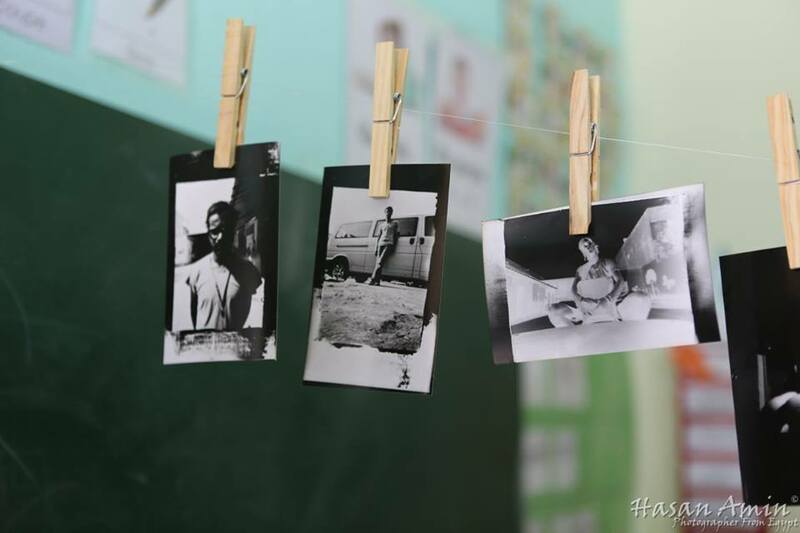 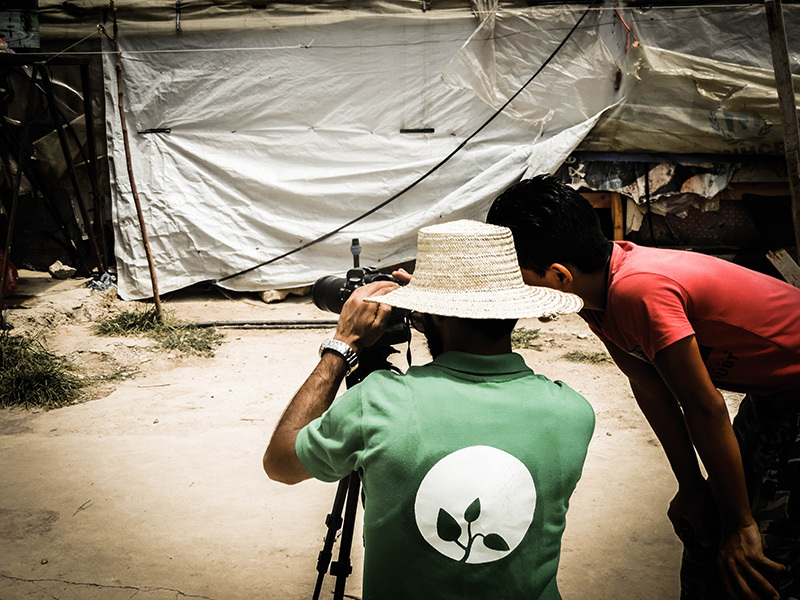 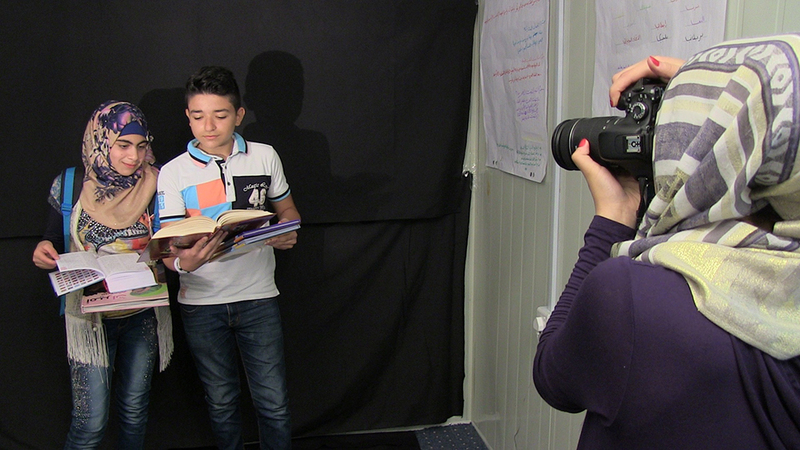 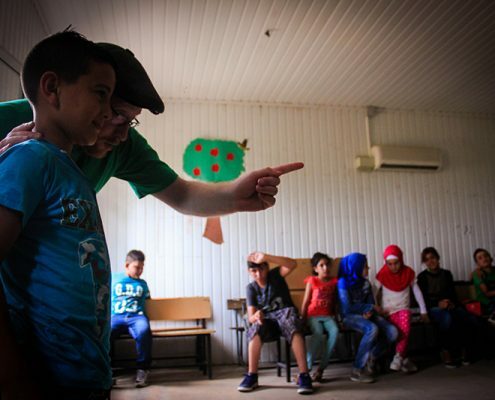 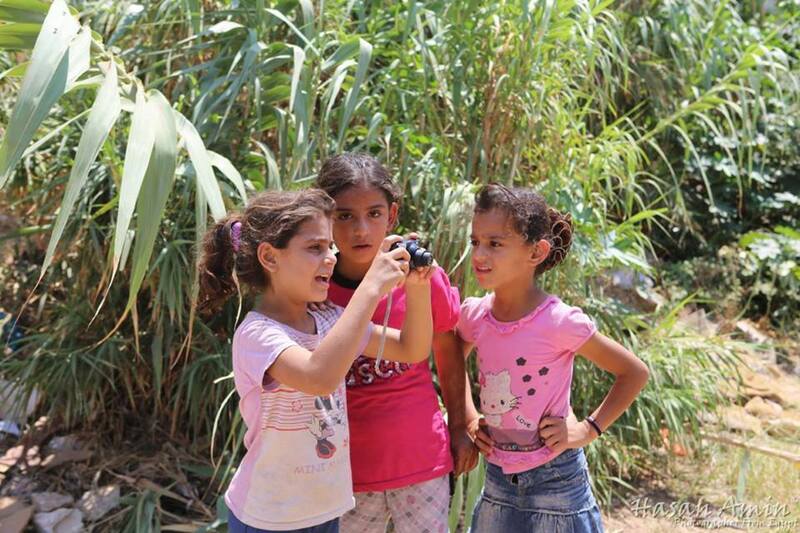 She is currently working with Syrian refugee kids at Al-Zaátri refugee camp as a photography trainer. 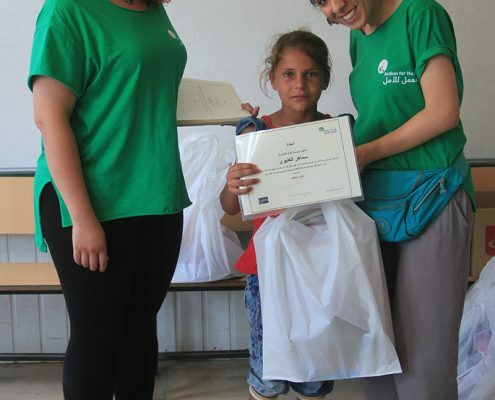 Lina took part in one convoy to Jordan and in Akkar convoy in Lebanon. 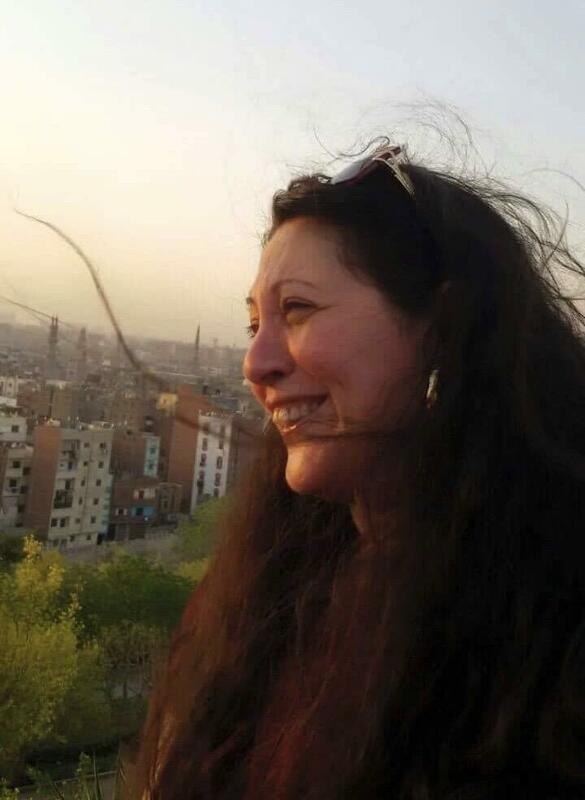 An Egyptian journalist with a wide experience in all forms of journalism: print, electronic and in television. 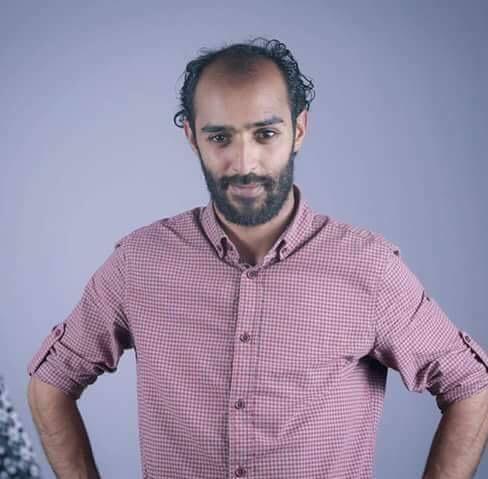 Mohamed won the Mostafa Al Hosseiny Prize for Best Article in 2013, and the Samir Kassir EU award for Freedom of the Press in 2014. 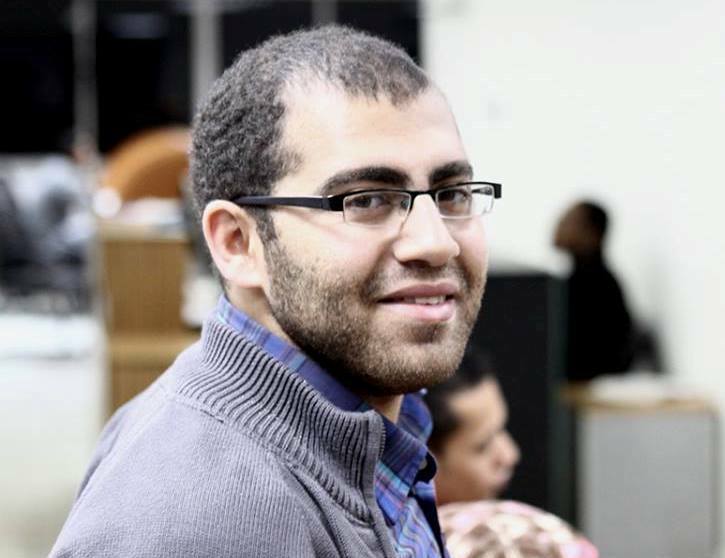 Mohamed graduated from the Faculty of Medicine, and then started working in journalism as a blogger and a literary writer. 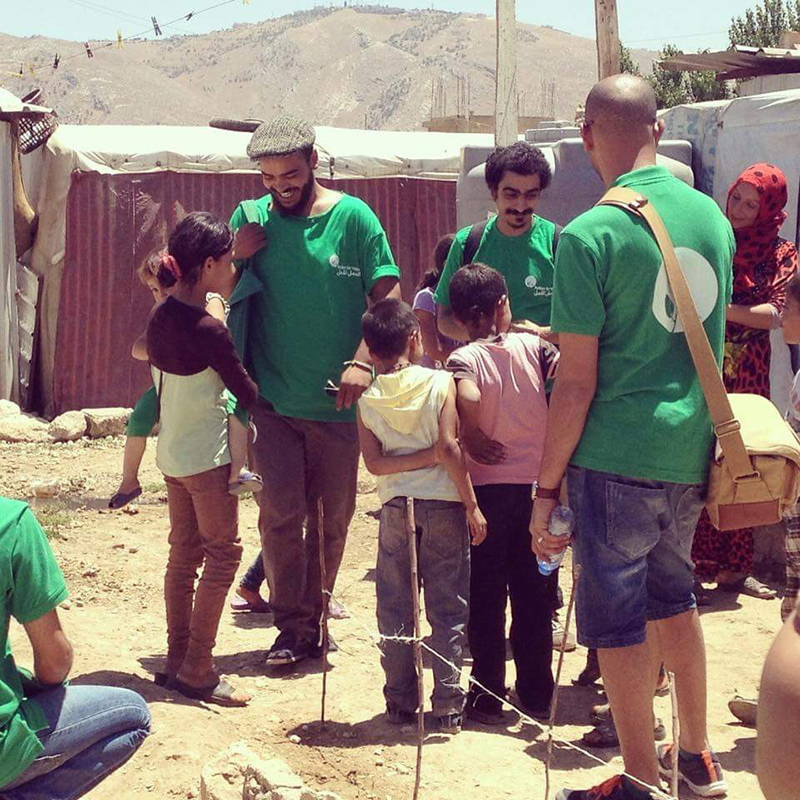 Mohamed took part in Baidar camps convoy in Lebanon. 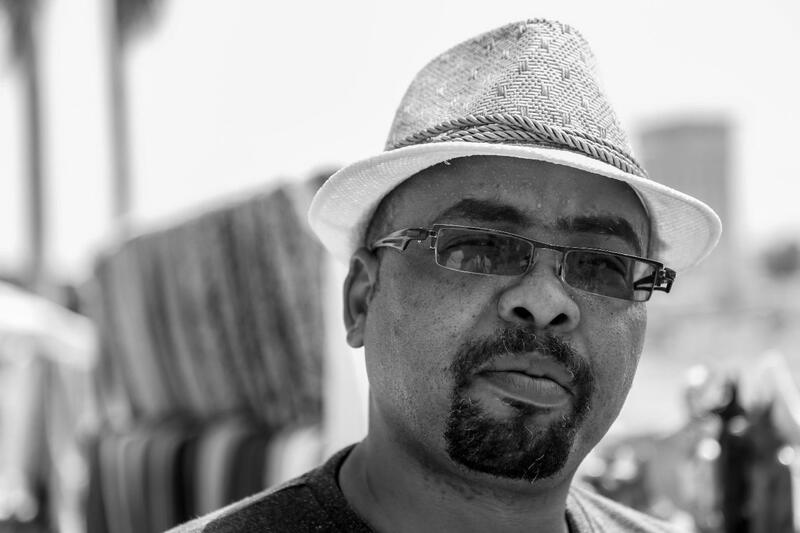 A Sudanese artist who obtained his Bachelor of Fine and Applied Arts degree from the University of Sudan for Science and Technology. 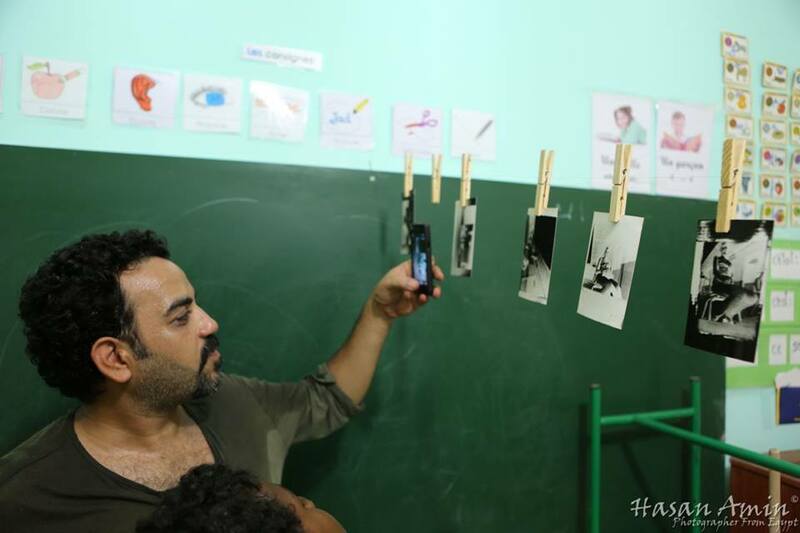 He works as a photography trainer in many training centers. 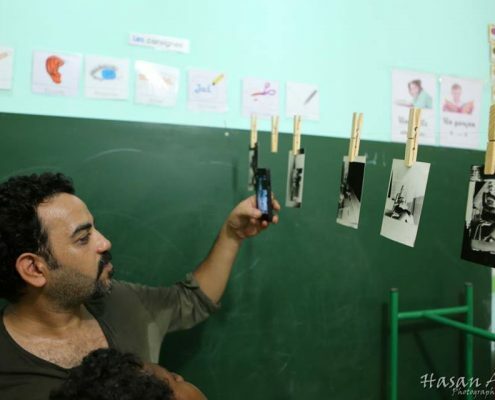 He works as a photographer with the UNICEF Sudan office in addition to his work at SEEMA Center for Training and the Protection of women's and child's rights as a documenter and consultant. 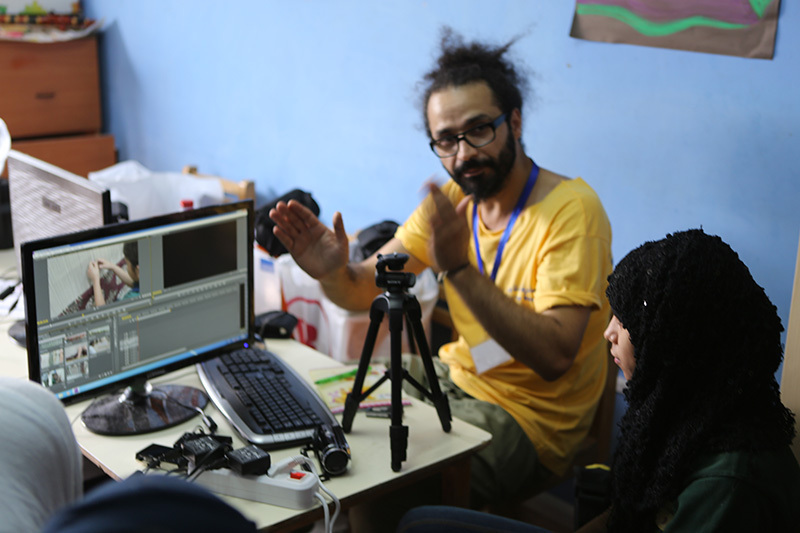 Musab also works as a designer consultant for BBC - Media Action / JUBA. 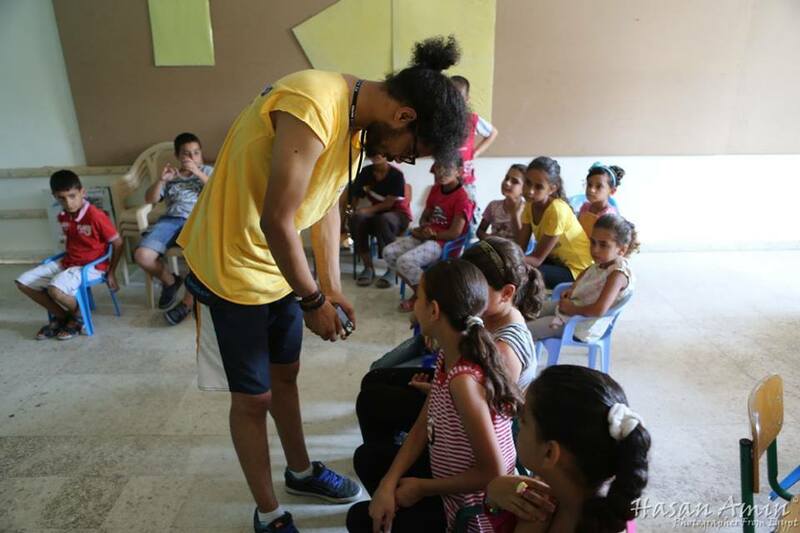 Beside his job, he is involved in volunteerism work and he trains on arts and photography in many civil society organizations, and different United Nations agencies. 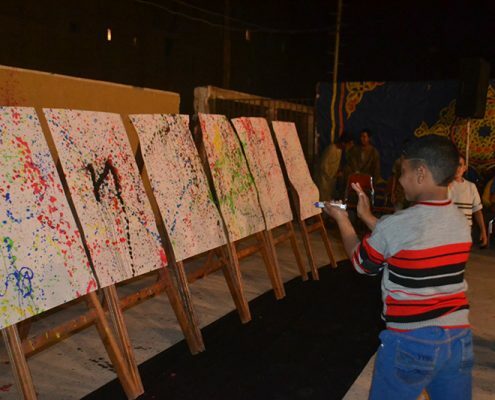 He also designed some of the art training programs in many poor and marginalized areas and participated in the implementation of those programs. 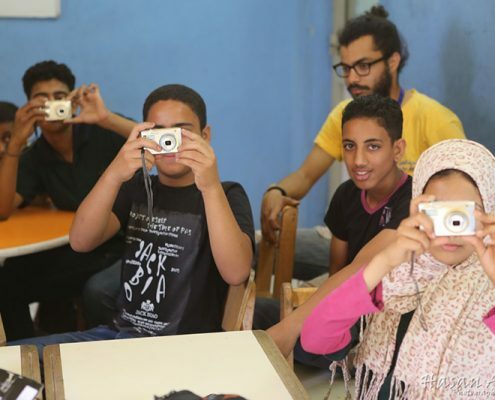 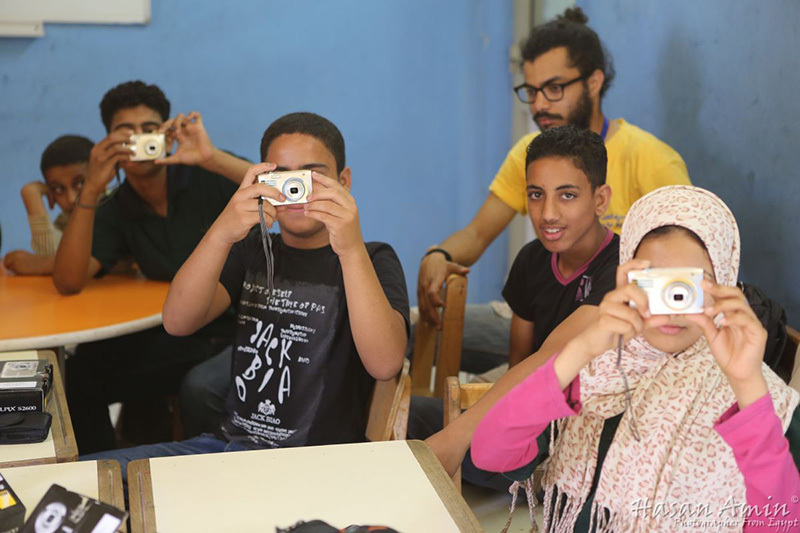 In partnership with a group of photographers, Musab Founded (Orange Group), which contributes to the development and promotion of artistic creativity. 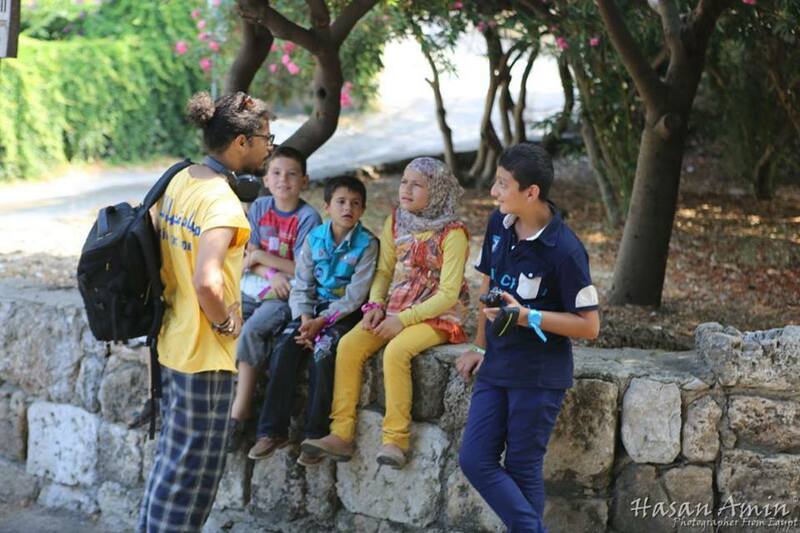 Musab took part in one convoy to Jordan and Akkar convoy in Lebanon. 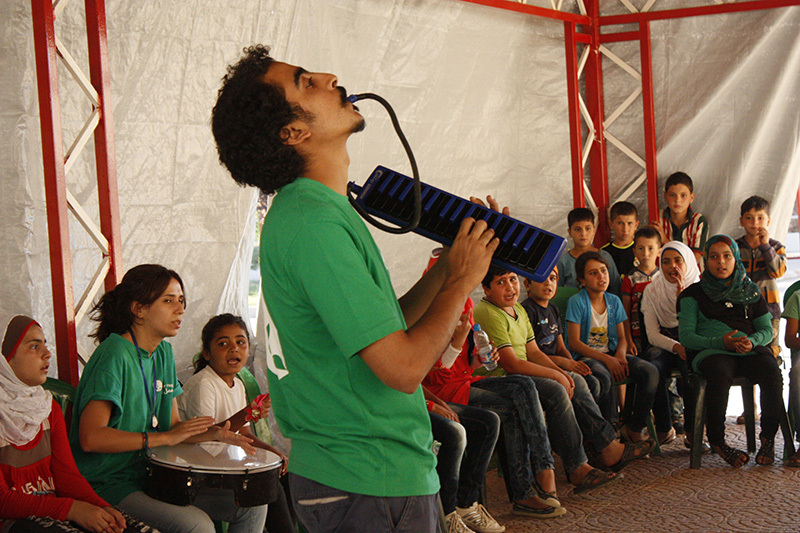 A Syrian performer and filmmaker. 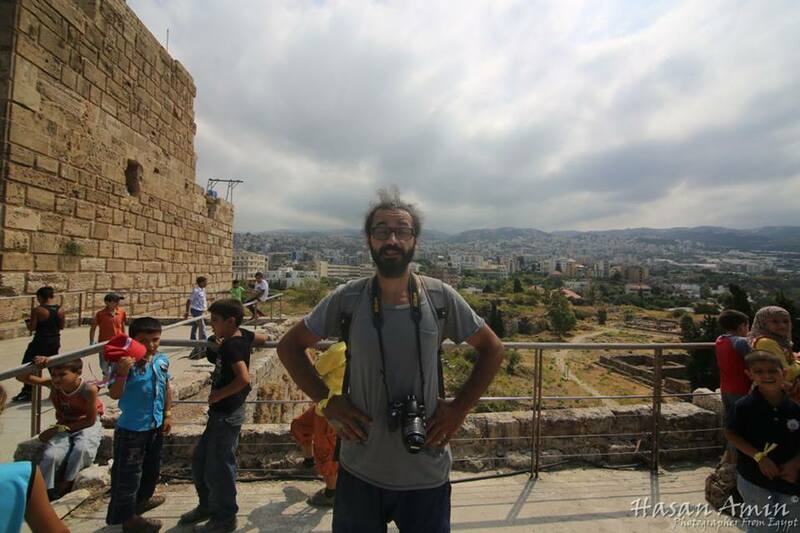 He studied dance in the Higher institutes for Drama and Arts in Damascus, and graduated from the Arab Film Institute in Amman. 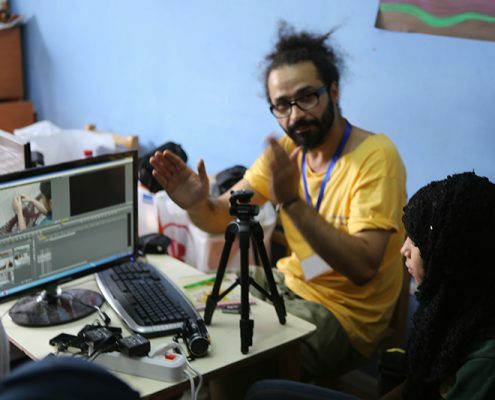 Rami directed his first film "Zamakan" in 2001, his second film, ''Point'' in 2003, and his third film "Silence", a 35min documentary about the Syrian – Israeli conflict of 1967, was finished in 2006. 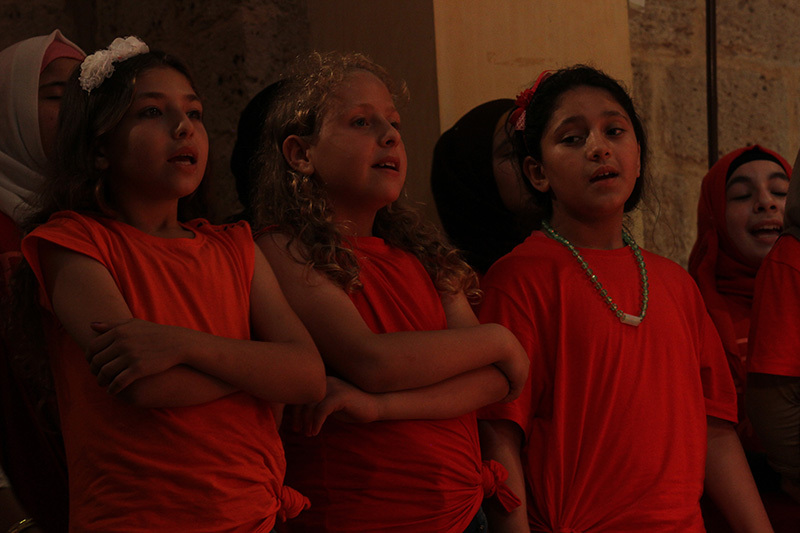 “Silence” received the Golden Hawk Award in Rotterdam Arab Film Festival in 2007. 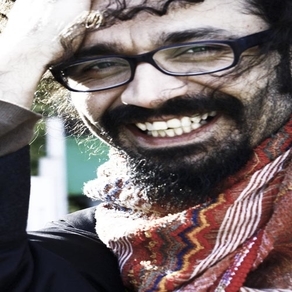 In 2008, he received the Golden Award in Berlin's New Media Festival for his film "Not a Matter of If but When”. 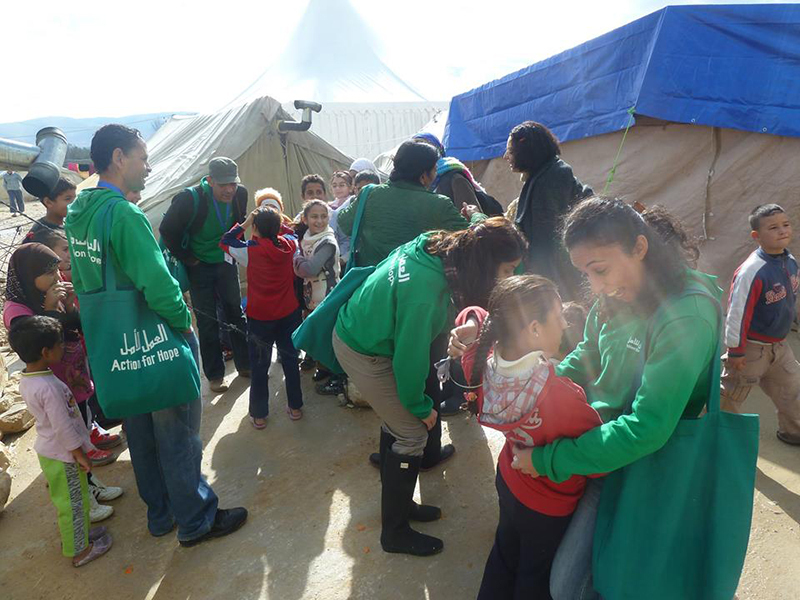 Rami took part in Baidar camps convoy in Lebanon. 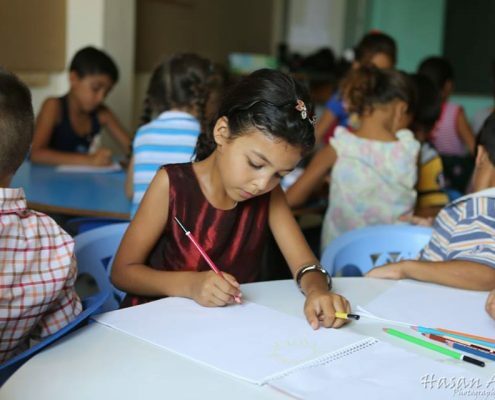 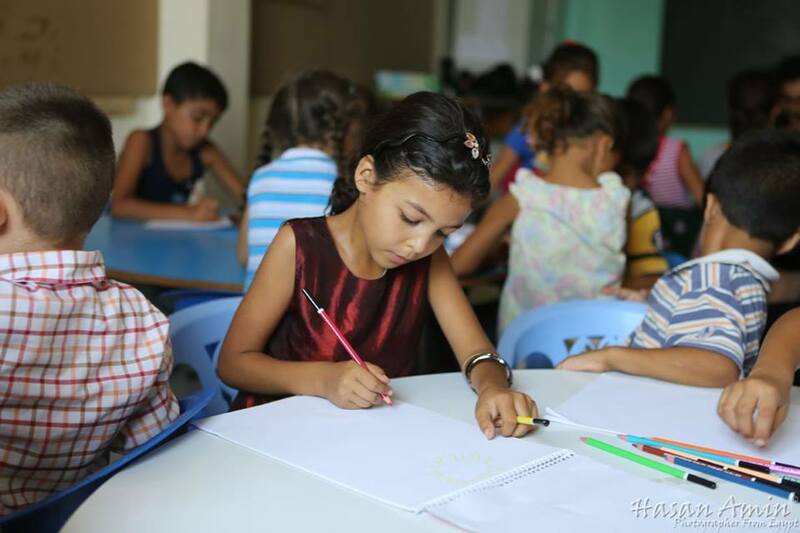 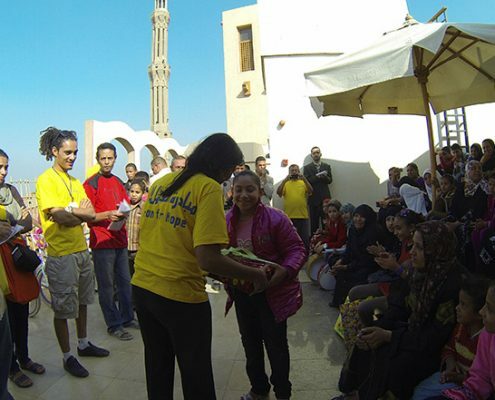 Safaa obtained her BA in design and graphics from the faculty of arts education, Helwan University in Cairo. 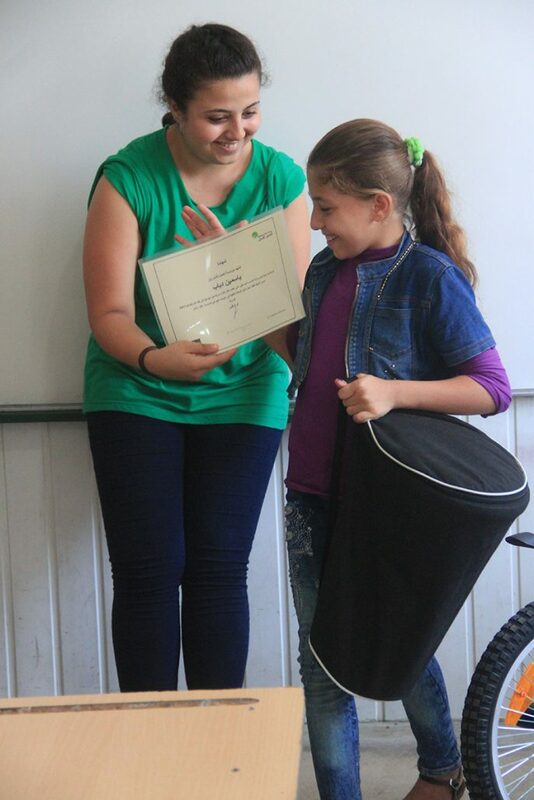 Her special interests are mainly in arts and culture. 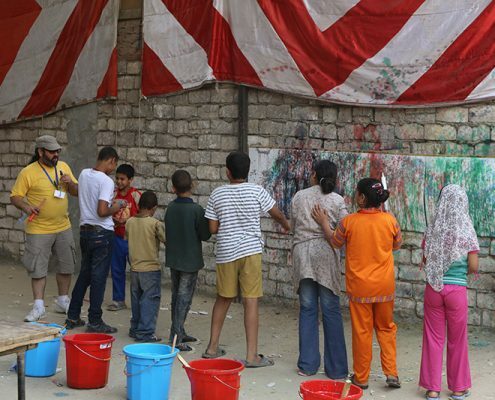 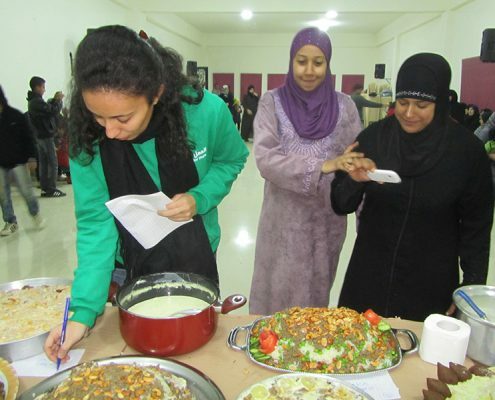 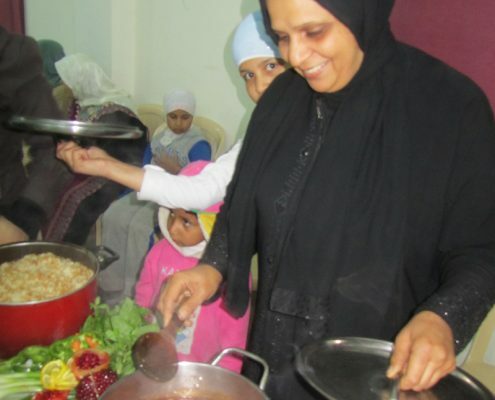 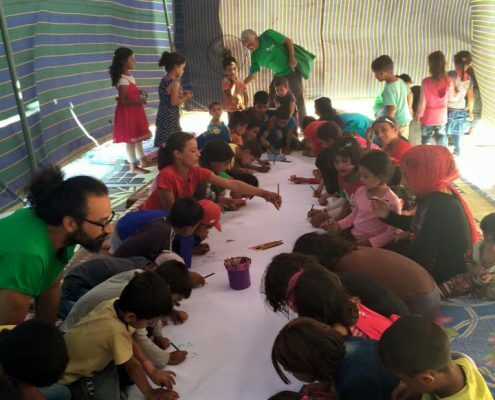 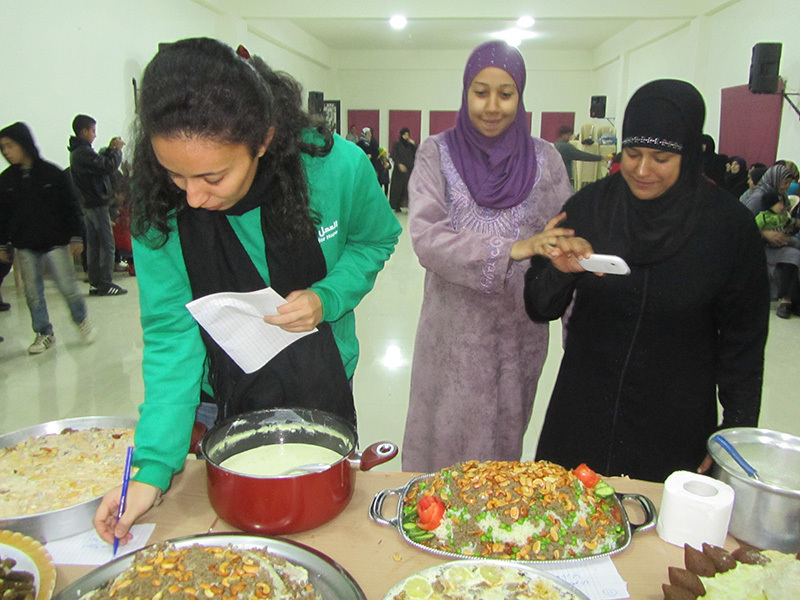 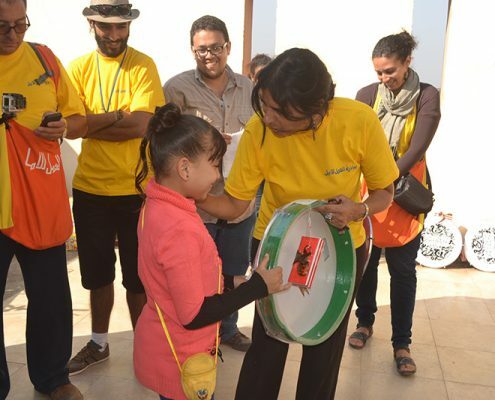 She organized many artistic workshop for school students and also she is one of the organizers of "ُEl Fan Midan" cultural initiative in Egypt. 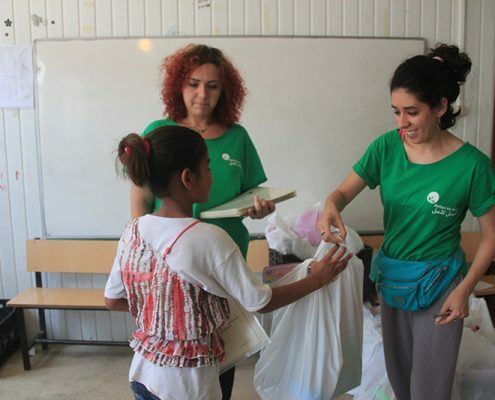 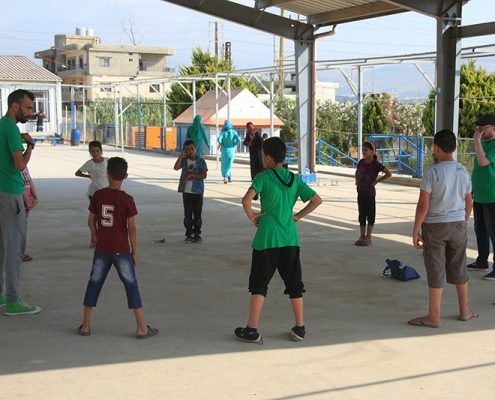 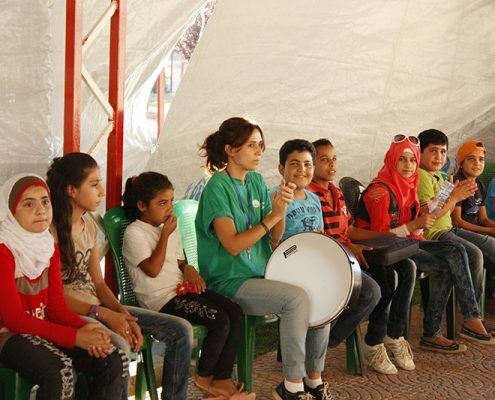 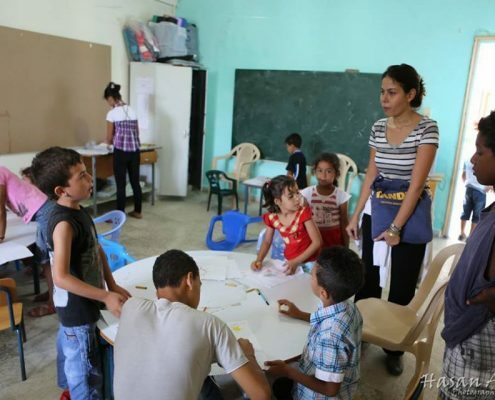 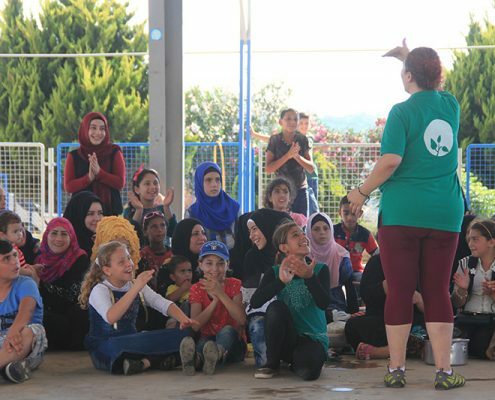 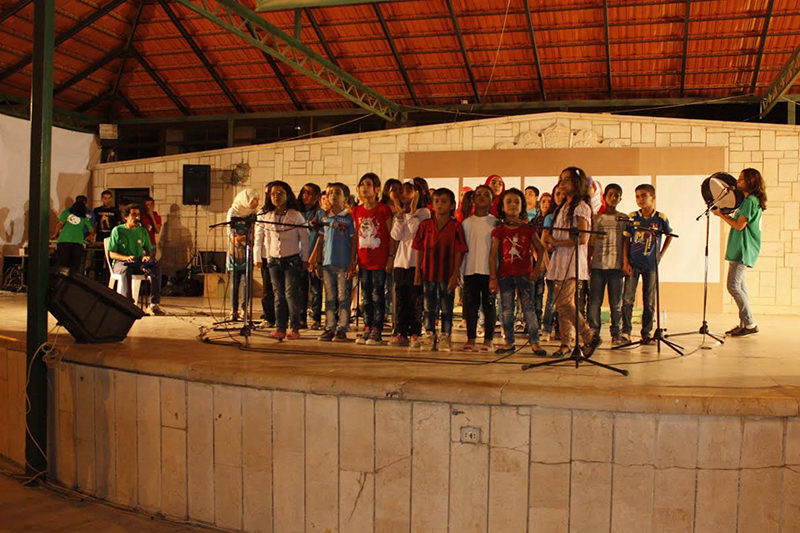 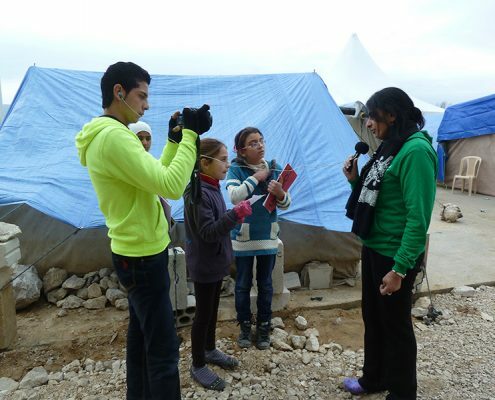 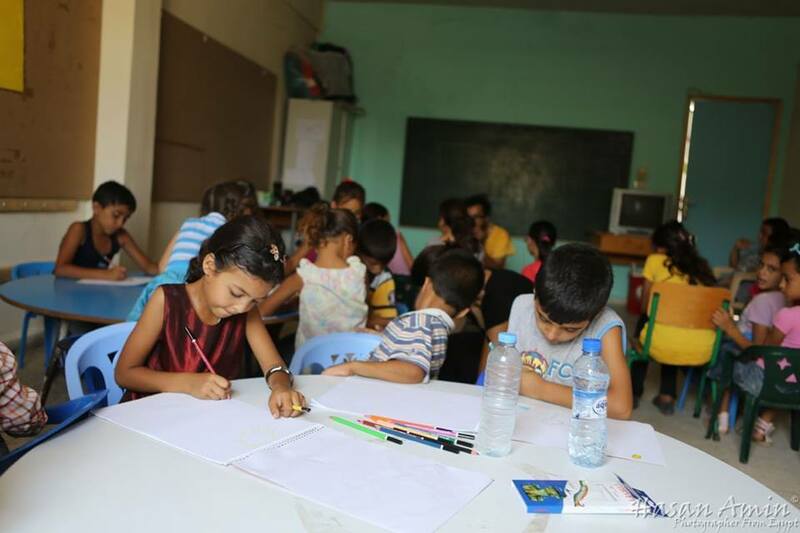 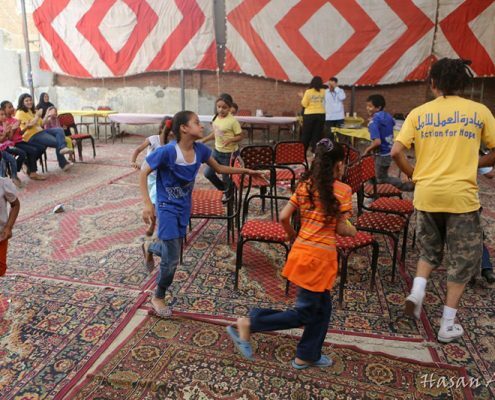 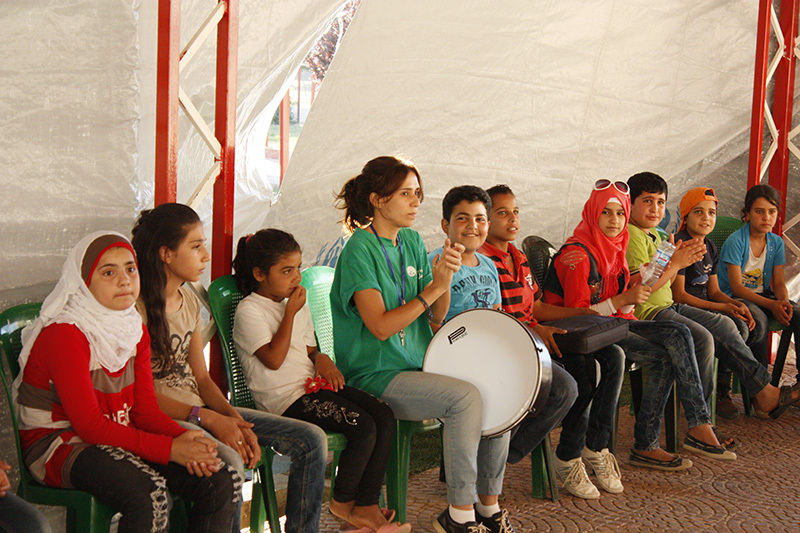 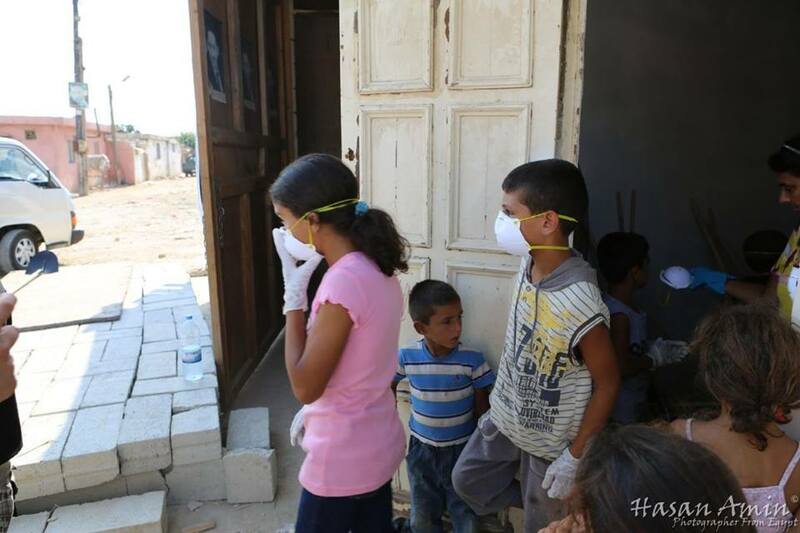 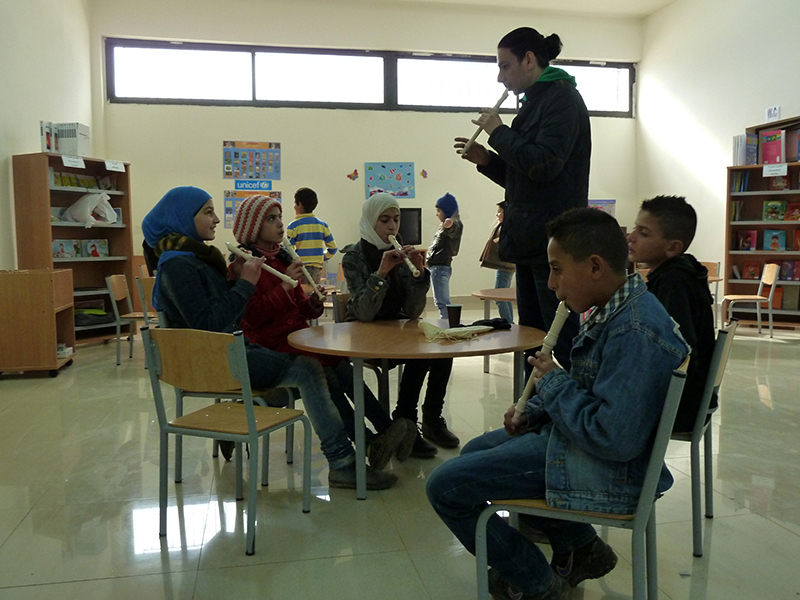 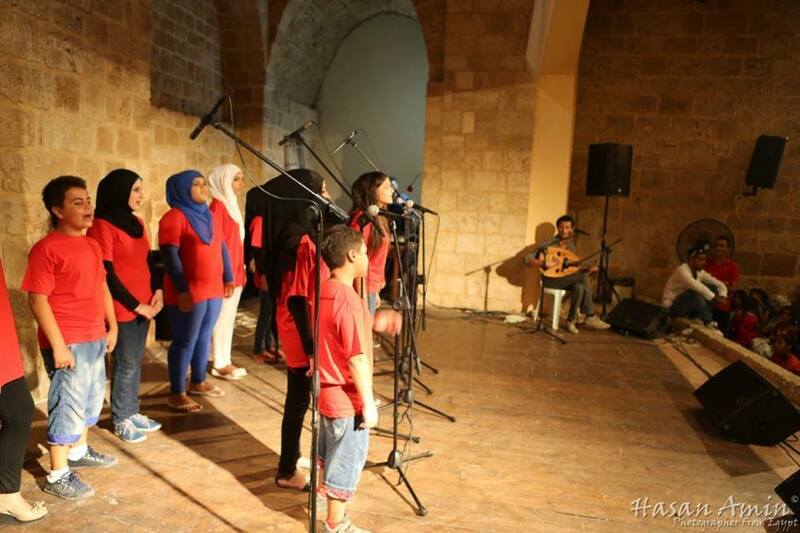 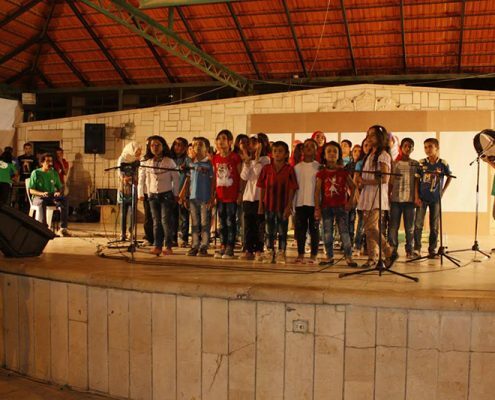 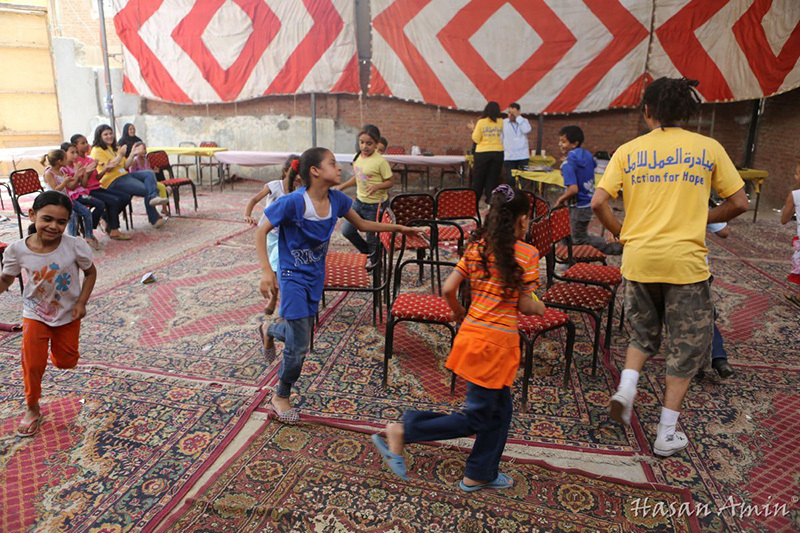 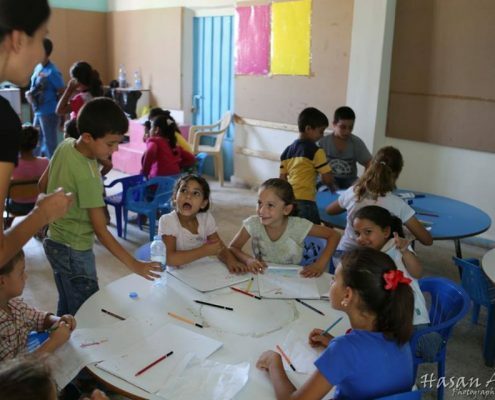 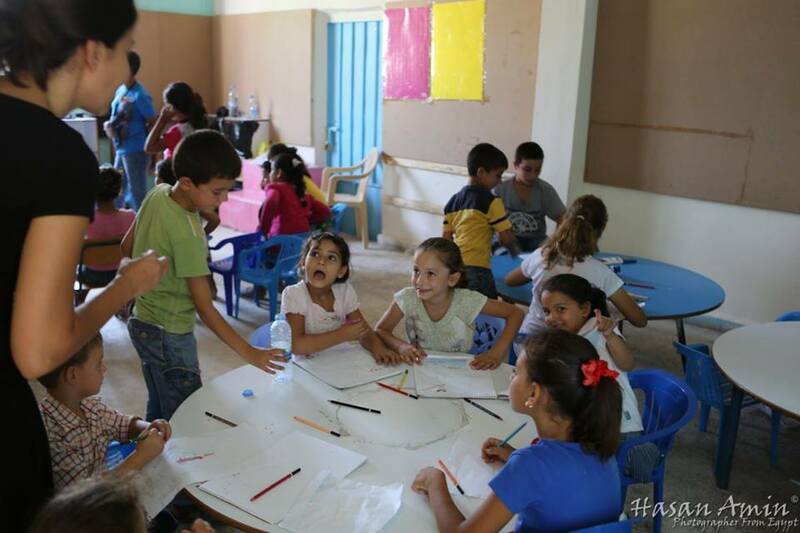 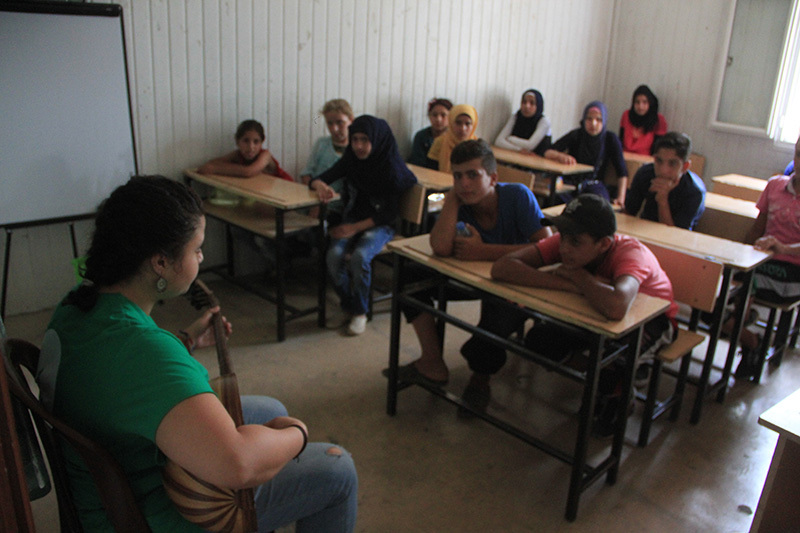 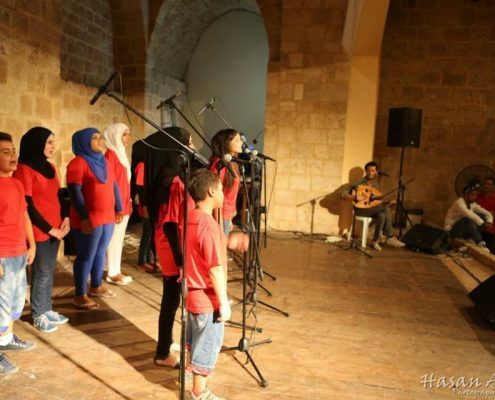 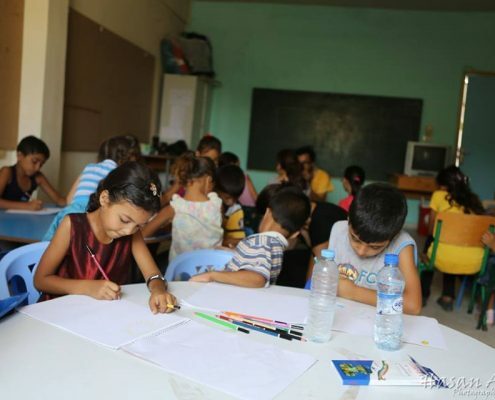 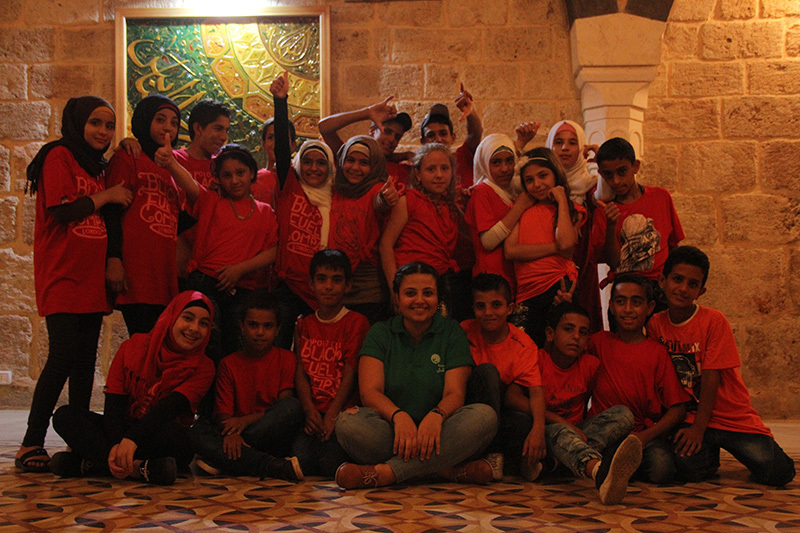 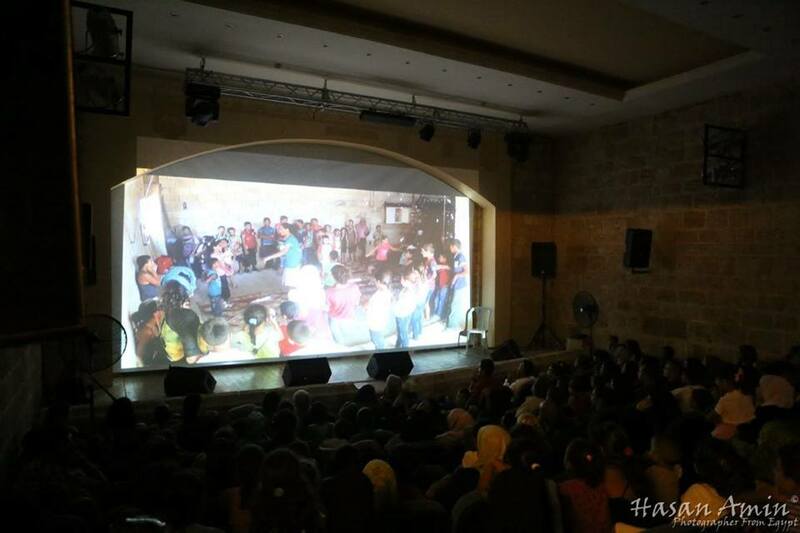 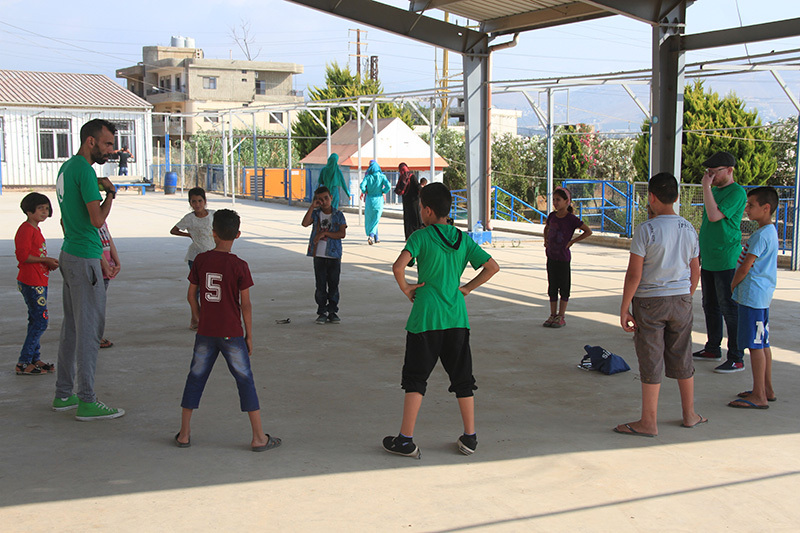 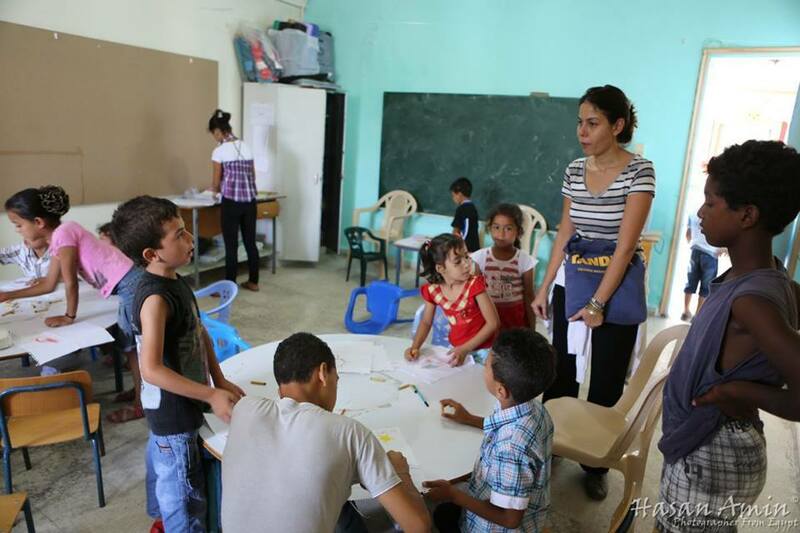 Safaa took part in Baidar camps and Akkar convoys in Lebanon. 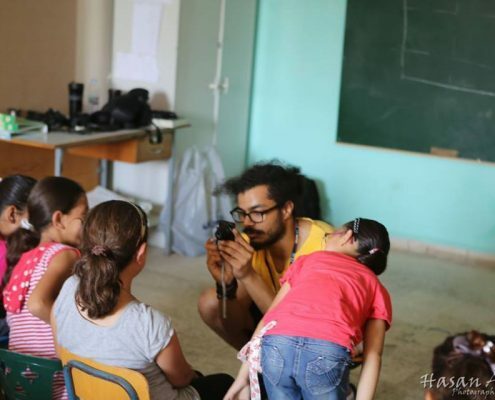 A Tunisian photographer with a passion for visual arts, Samah is active within the cultural and civil society scenkhoe in Tunisia. 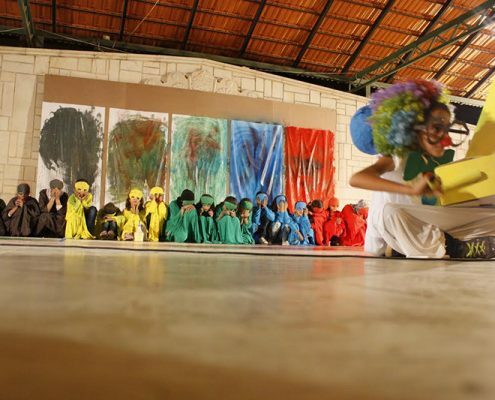 She participated in several exhibitions and festivals in Tunisia and worldwide, in cities such as Paris, Madrid, Maribor, São Paulo, Montreal, Siberia, etc. 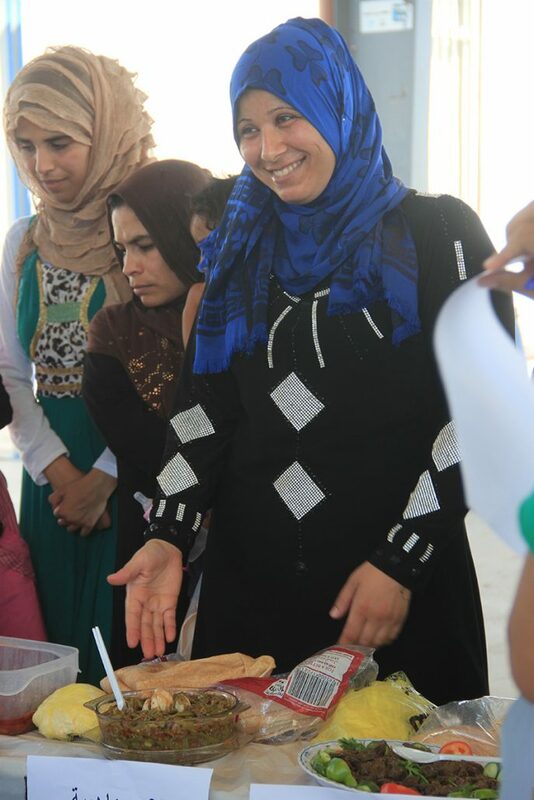 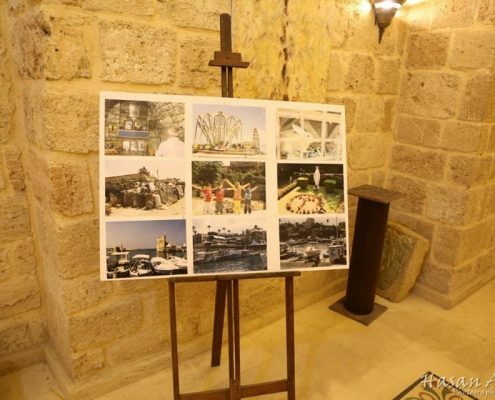 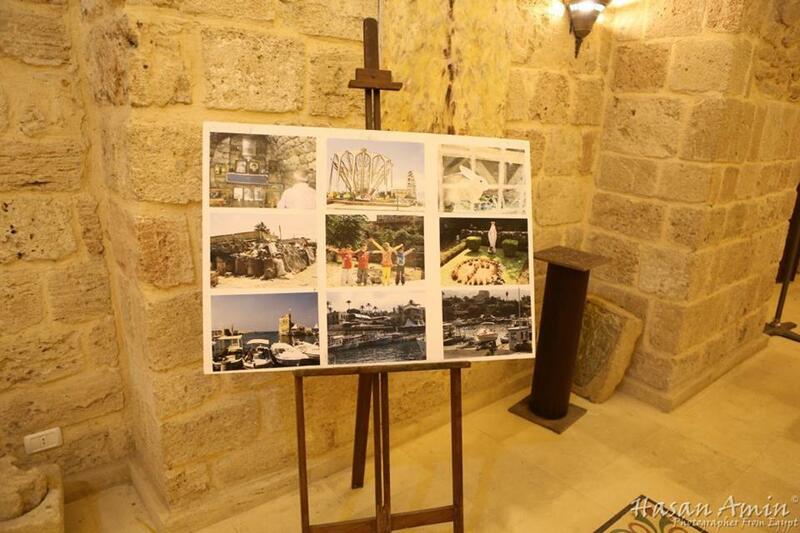 Samah studied interior and spatial design, and is now completing a master's degree in heritage and museology. 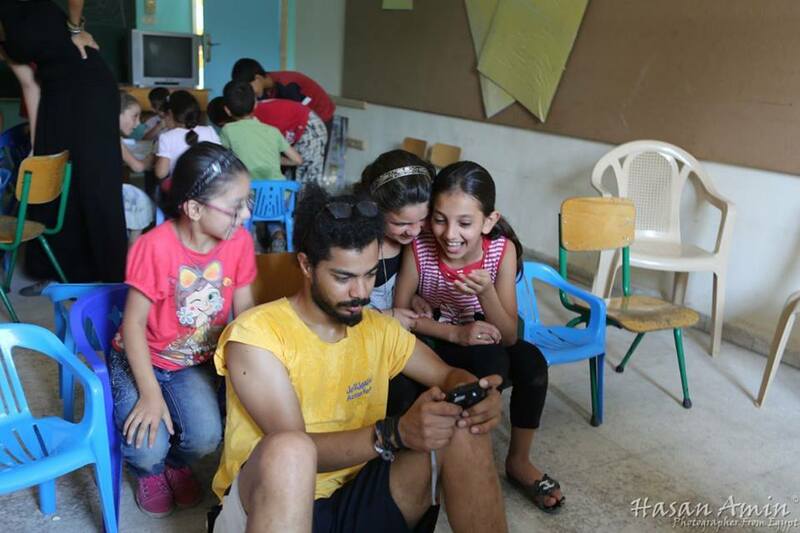 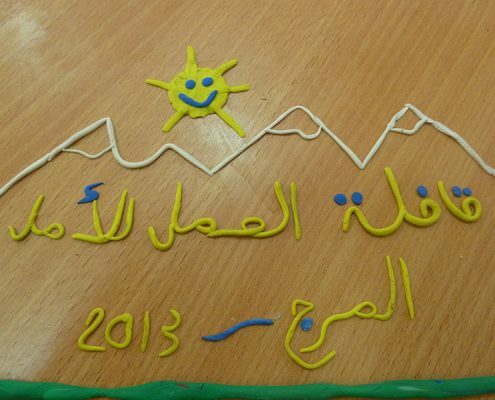 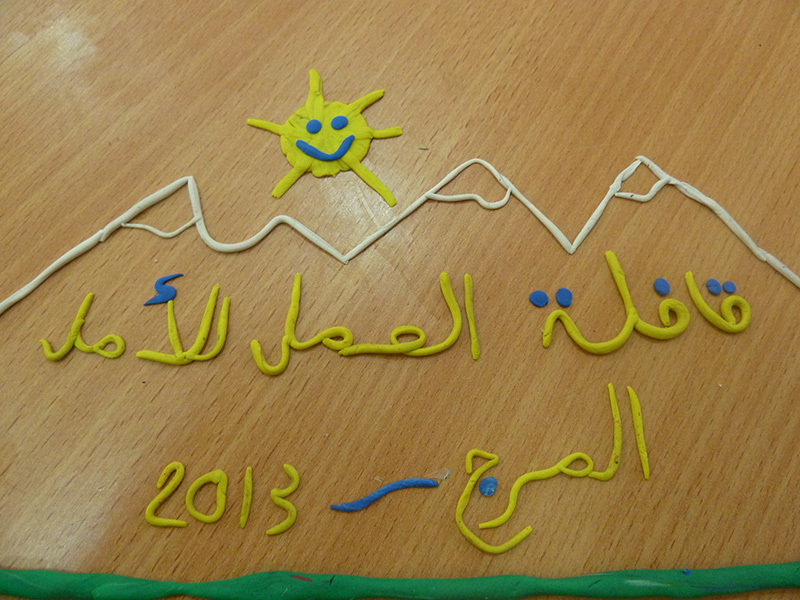 Sameh took part in Baidar camps convoy in Lebanon. 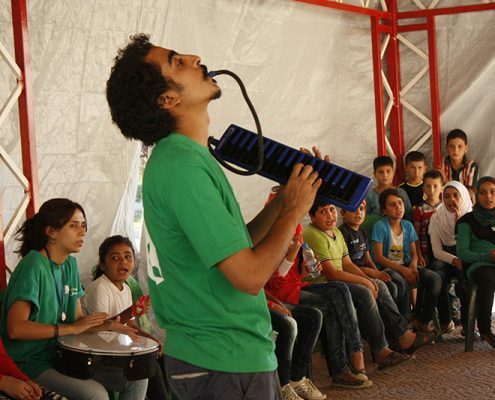 An Egyptian pianist, composer, actor, and a translator. 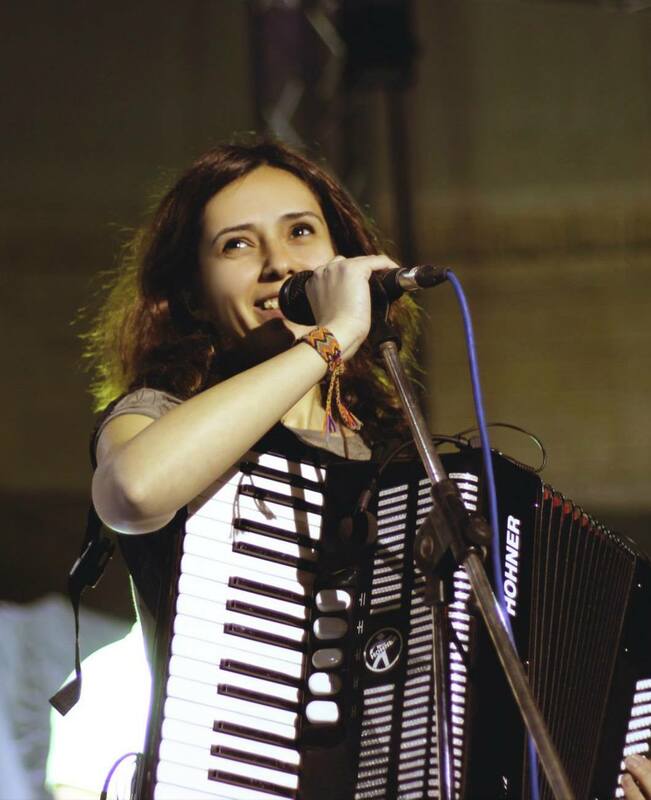 Shadi plays regularly with Egyptian singer Mariam Saleh, Palestinian Oud player Tamer Abu Ghazala, and Egyptian Accordionist and singer, Youssra El Hawary, in addition to playing with Darwasha band. 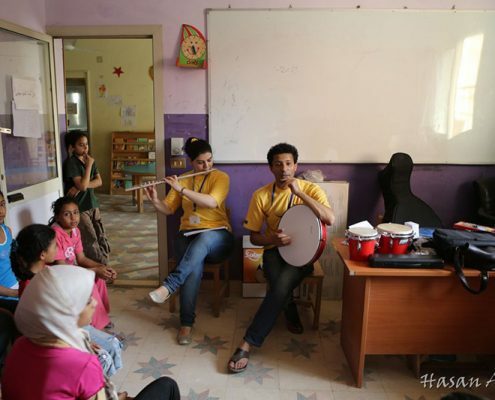 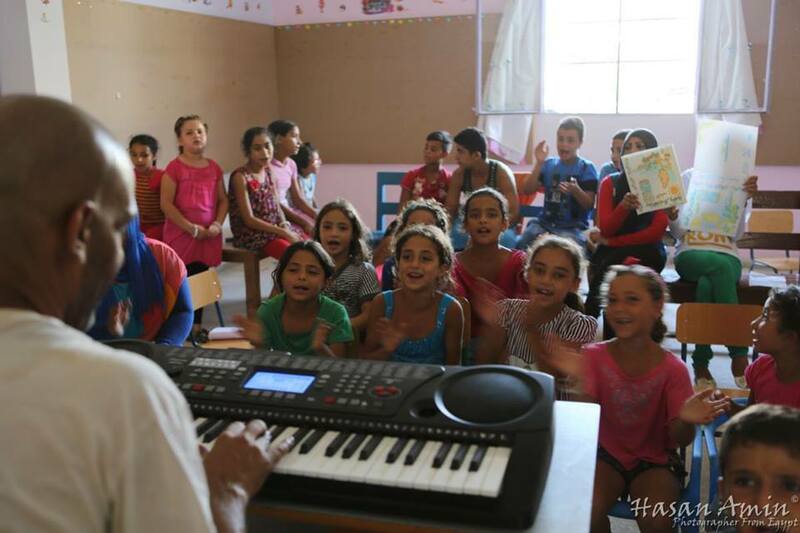 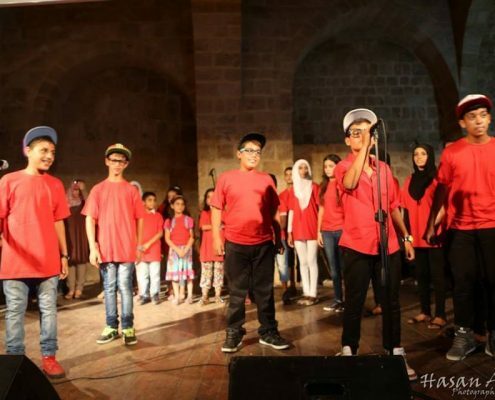 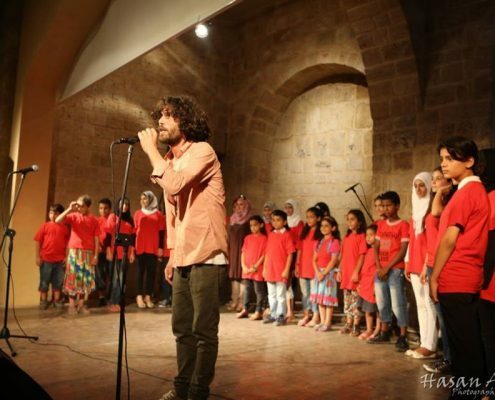 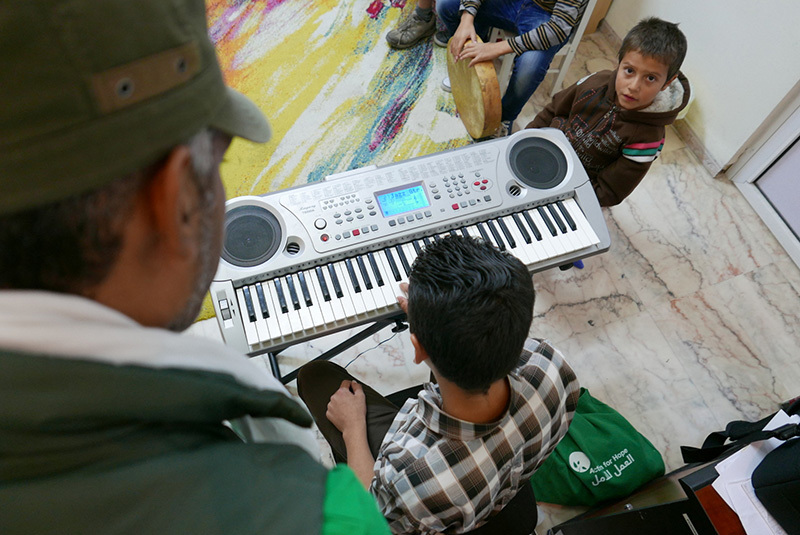 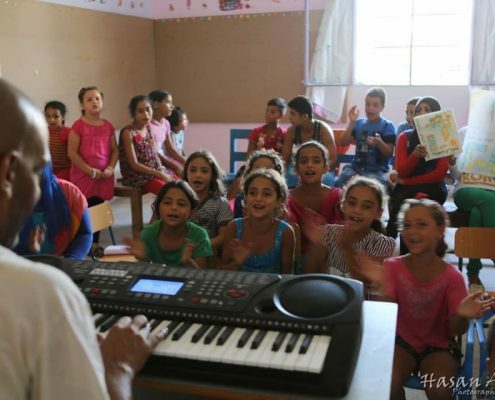 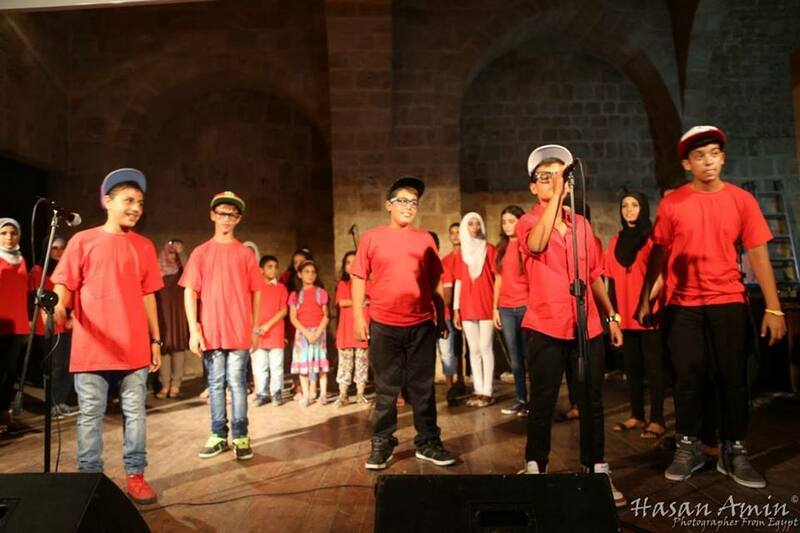 Shadi is also a part of the team that established The Choir project in 2010, a series of workshops on writing and composing music. 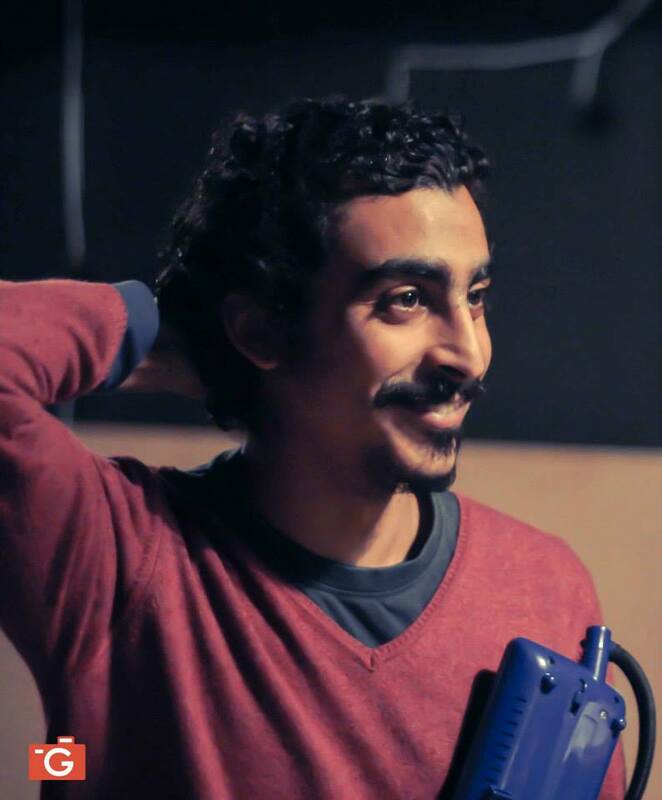 Shadi also composed music for many short and long films for independent Egyptian filmmakers. 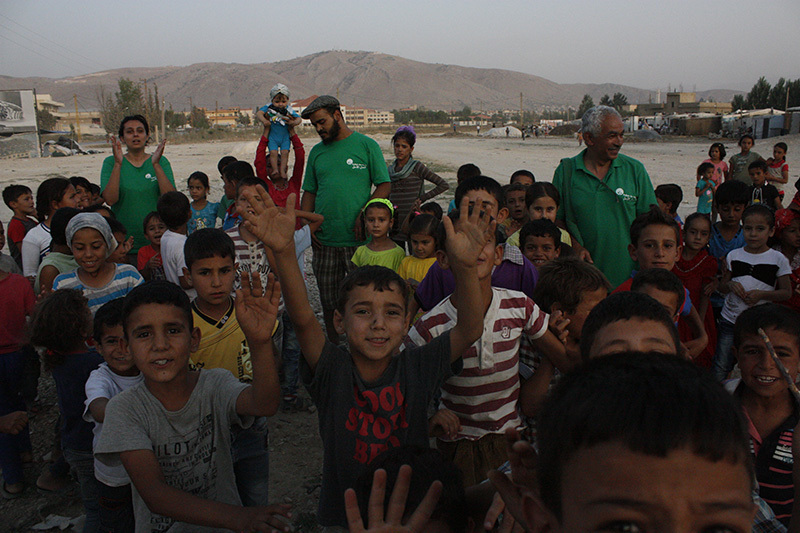 He took part in Baidar camps convoy in Lebanon. 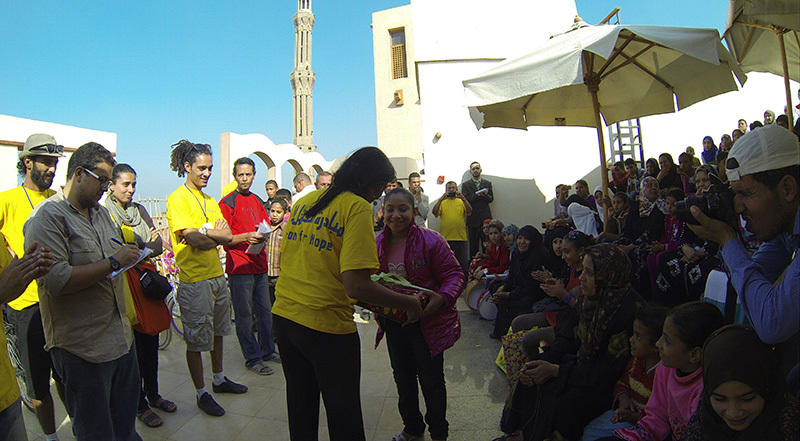 An Egyptian Doctor who graduated from the Faculty of Medicine, Alexandria University in 2008. 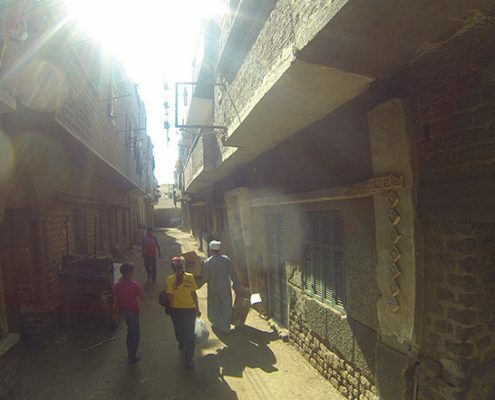 Taher is a former member of the Alexandria Medical Syndicate Council. 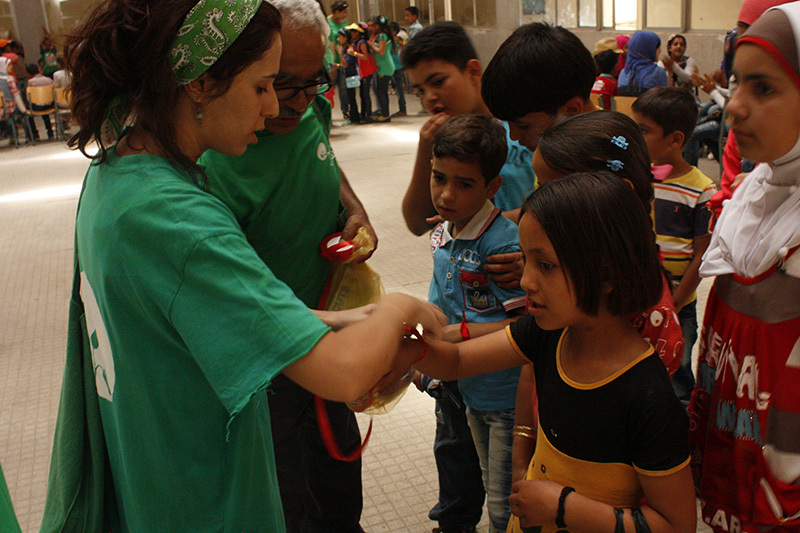 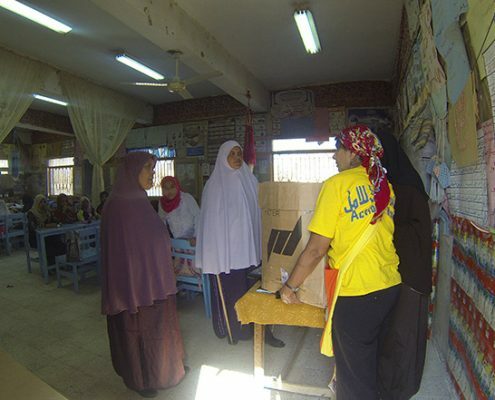 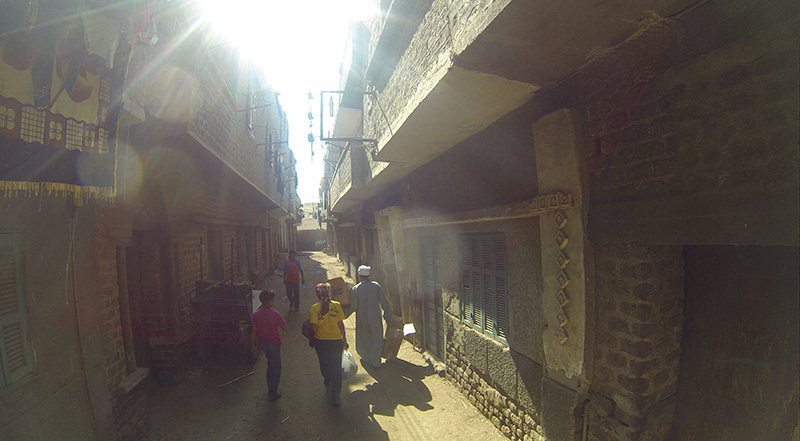 Taher was amongst the founders of the field hospital in Alexandria during the events of the Egyptian revolution. 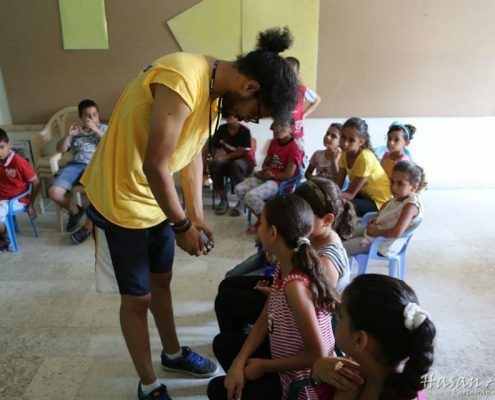 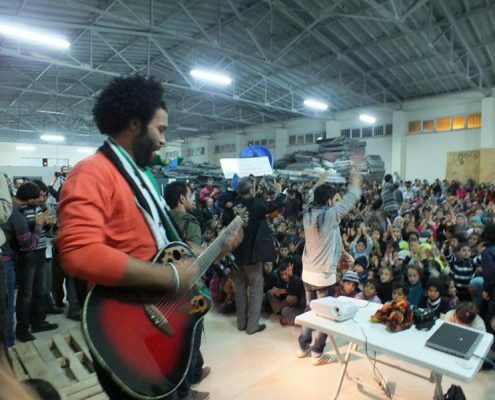 He also worked as a volunteer with the Refugees Solidarity Movement in Alexandria from 2013 until 2014, where they provided medicine and aids for Syrian and Palestinian –Syrians refugees detained in police stations. 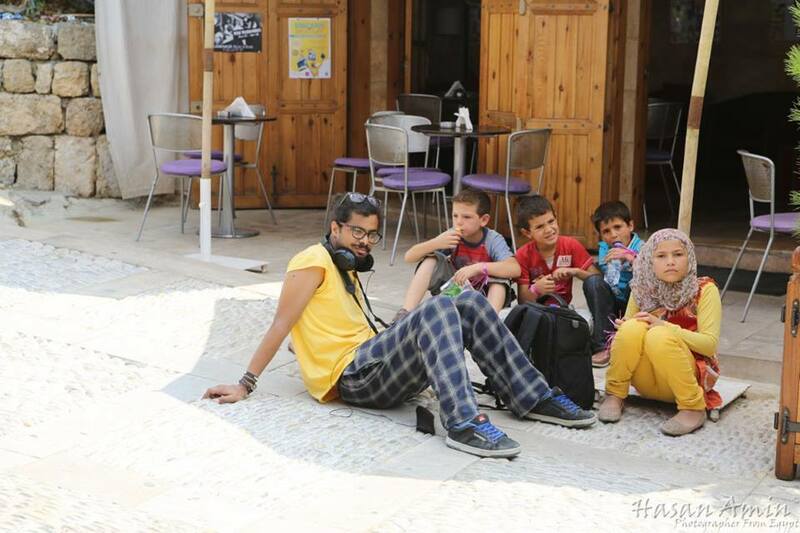 He joined the delegation of the Egyptian Medical Syndicate that visited the Gaza strip in September 2014, after the last war. 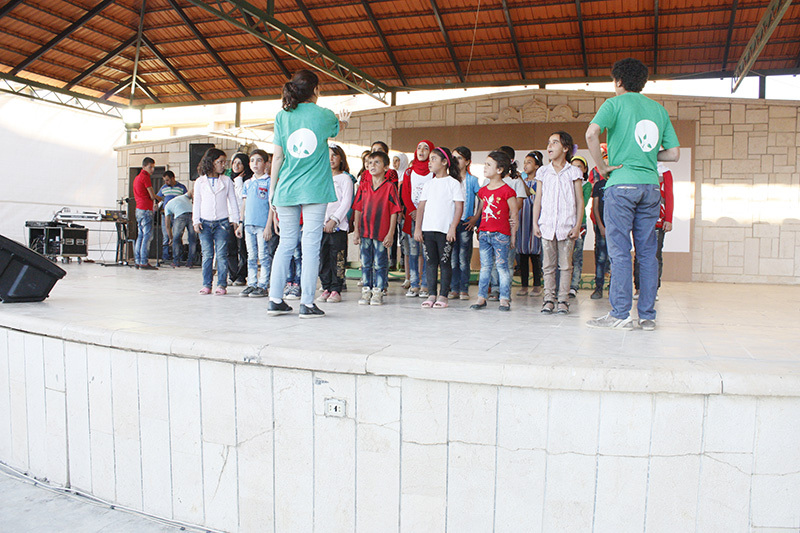 Taher took part in Baidar camps convoy in lebanon and one convoy to Jordan. 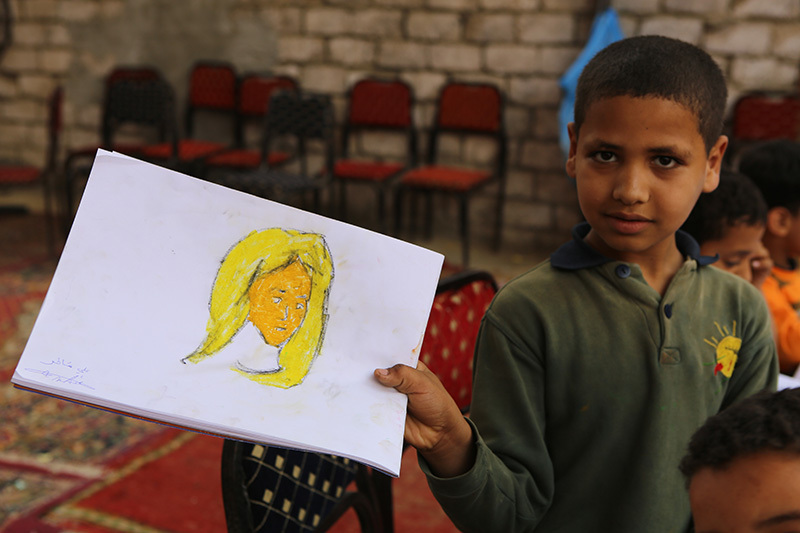 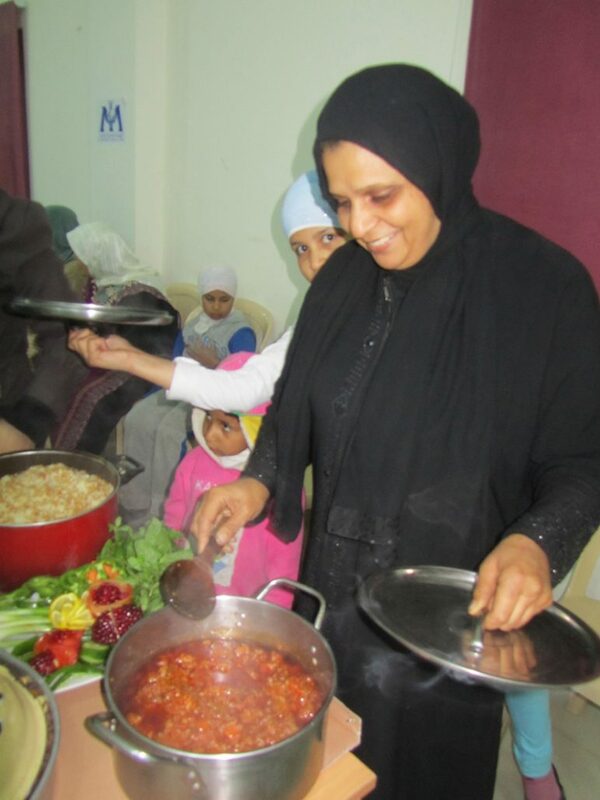 A Syrian widow from Homs who moved to Lebanon because of the situation in Syria. 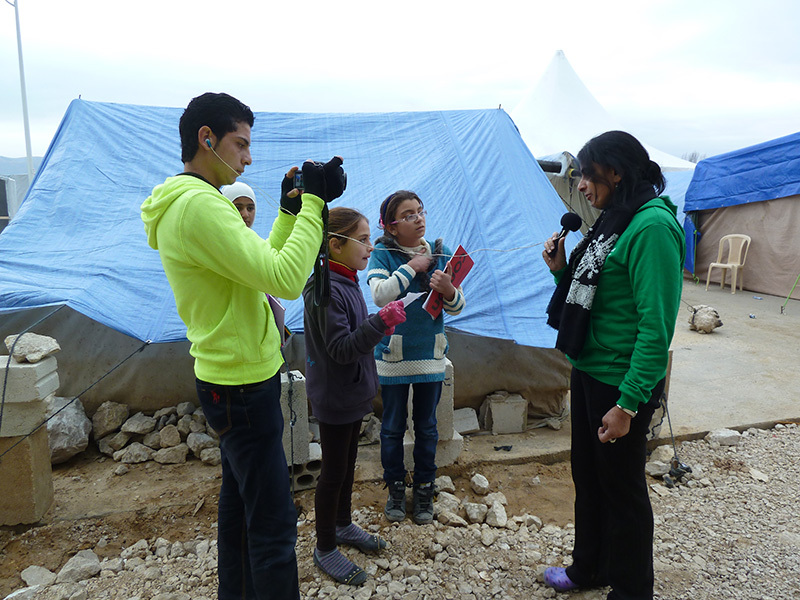 Um Oday lives in an informal refugee camp with her four children: three girls and a boy. 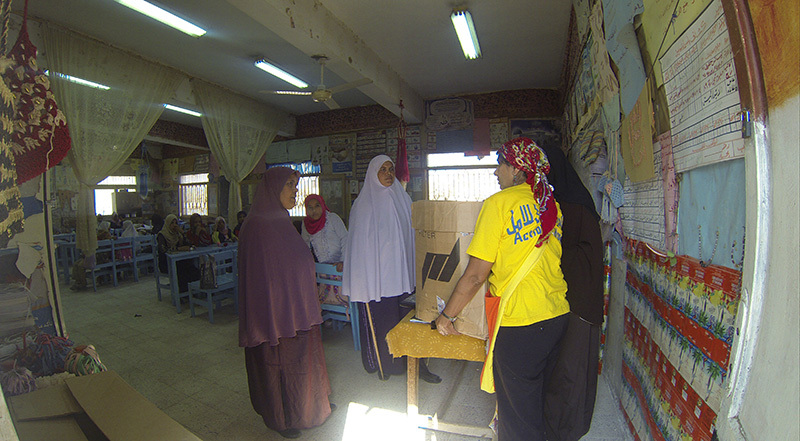 Um Oday works as a nurse and a doctor’s assistant. 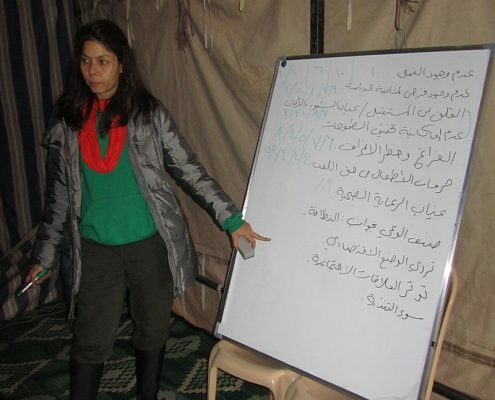 She took part in Baidar camps convoy in Lebanon. 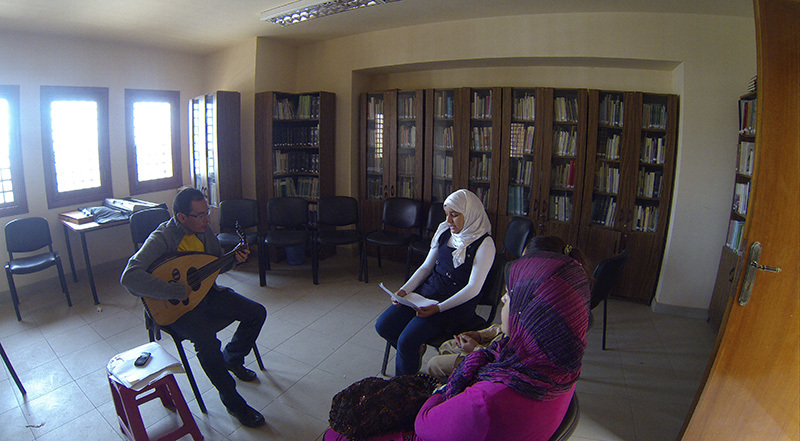 An Egyptian musician, Accordionist, singer, and actress. 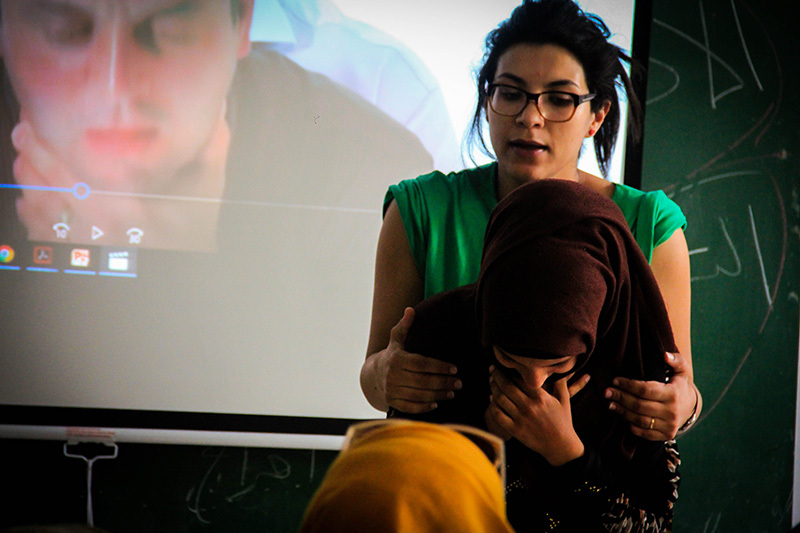 She graduated from the Faculty of Fine Arts, Department of Theater and Cinema Design in 2006. 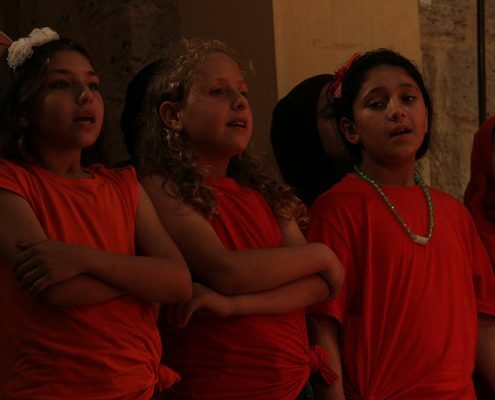 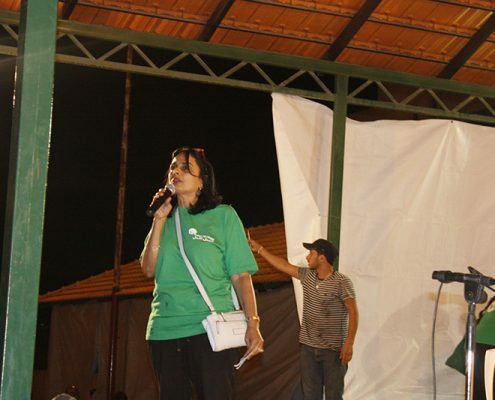 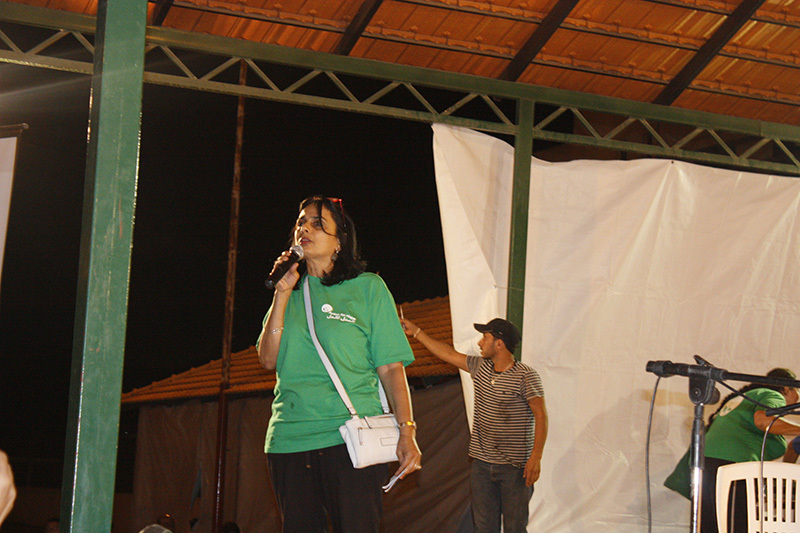 Yossra joined "Al Tamye" theatrical group in 2007, and she is a founder of "The Choir" project since 2010. 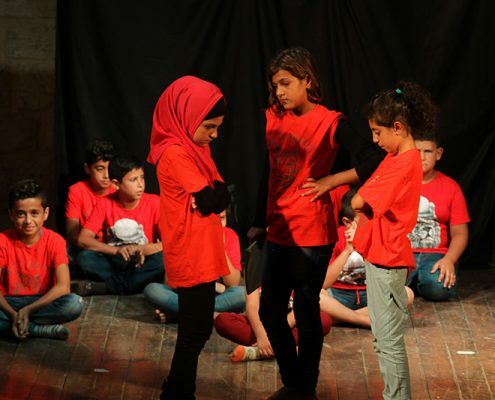 She participated in a workshop for producing the silent theater show "They Said Here", produced by the Cairo School of Acting and directed by "Jokhem Stafnauter and Jidou Klini". 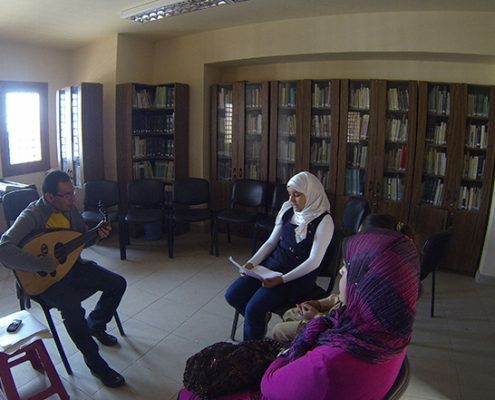 In 2012, Youssra established her private music project and in 2014, she managed workshops on theatrical improvisation and songwriting in the Jesuits Association and School in Minya for five months. 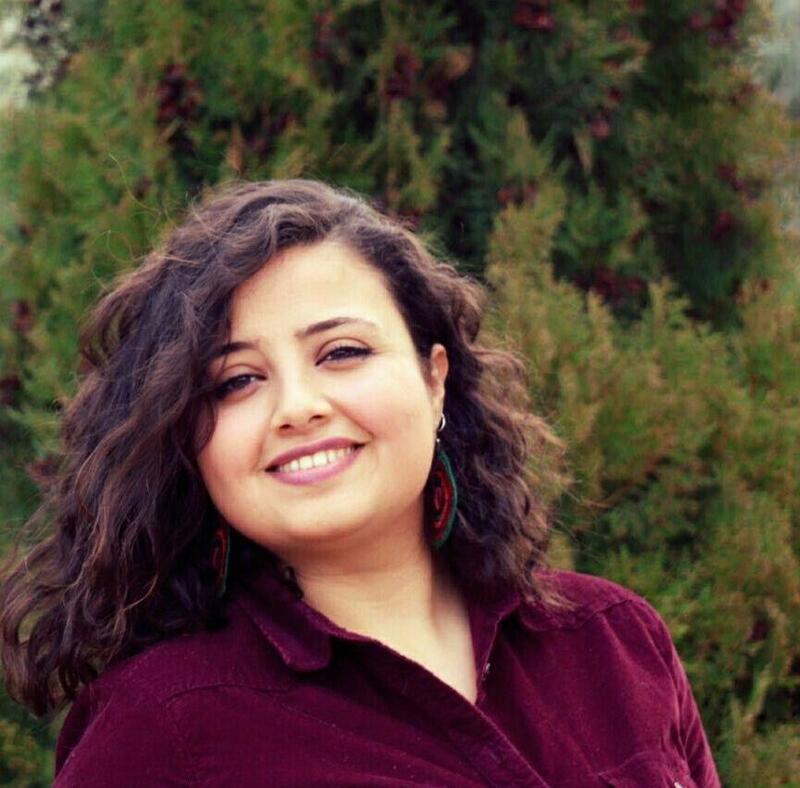 Youssra is also a radio host; broadcasting her show "Aadet Mazzika" on Nogoom FM radio station since January 2014. 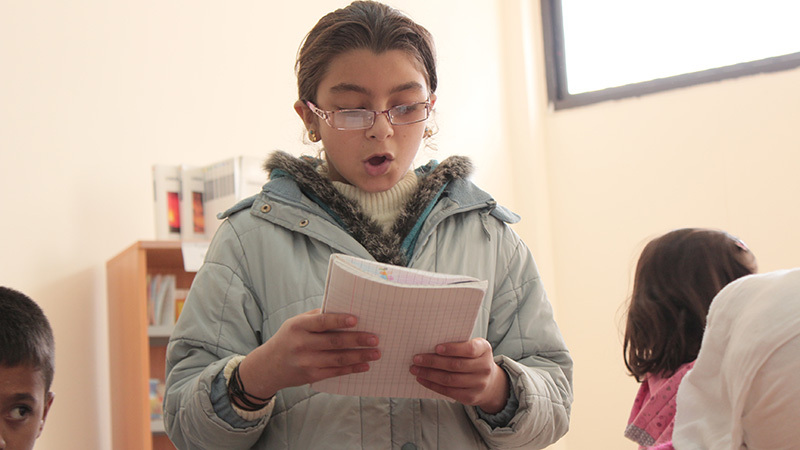 She took part in Baidar camps convoy in Lebanon.